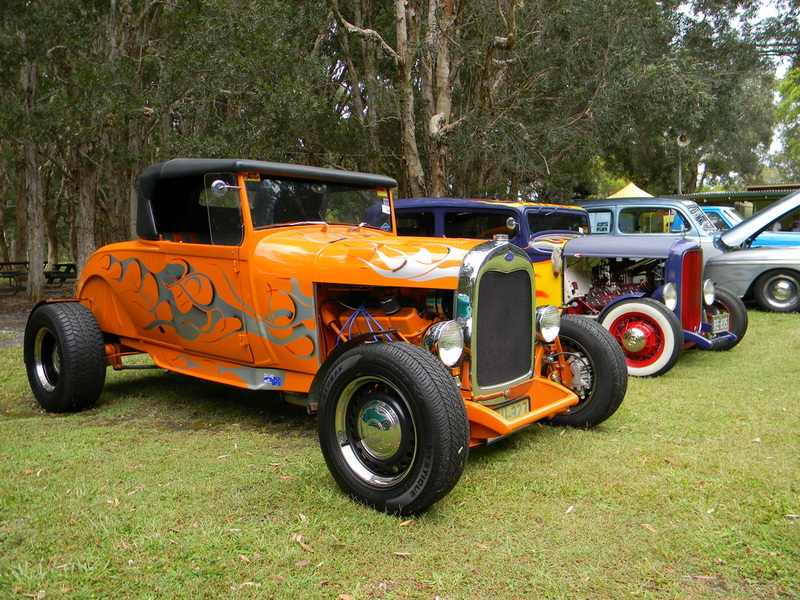 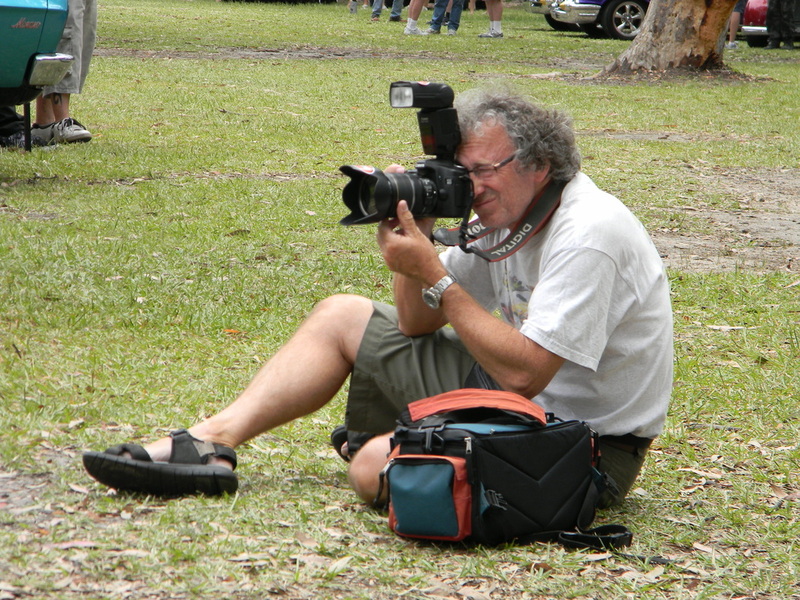 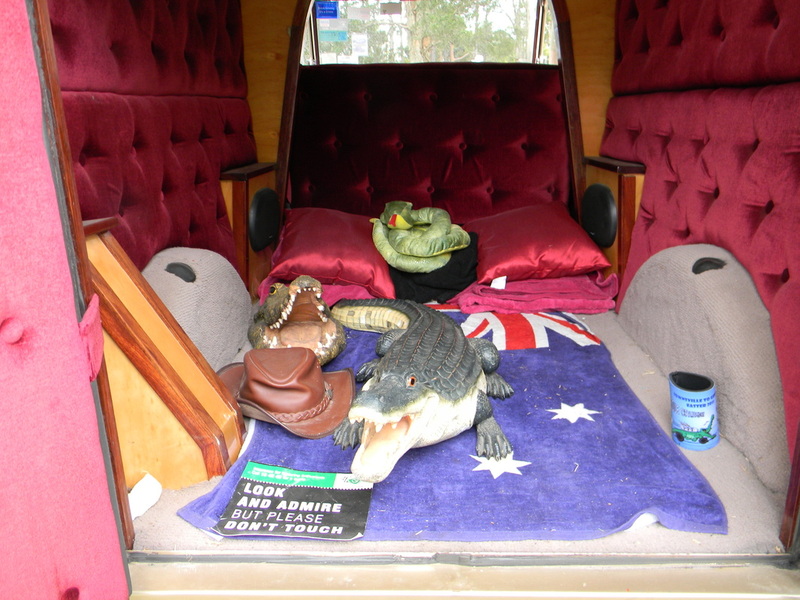 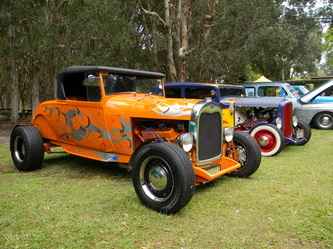 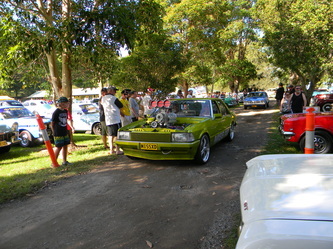 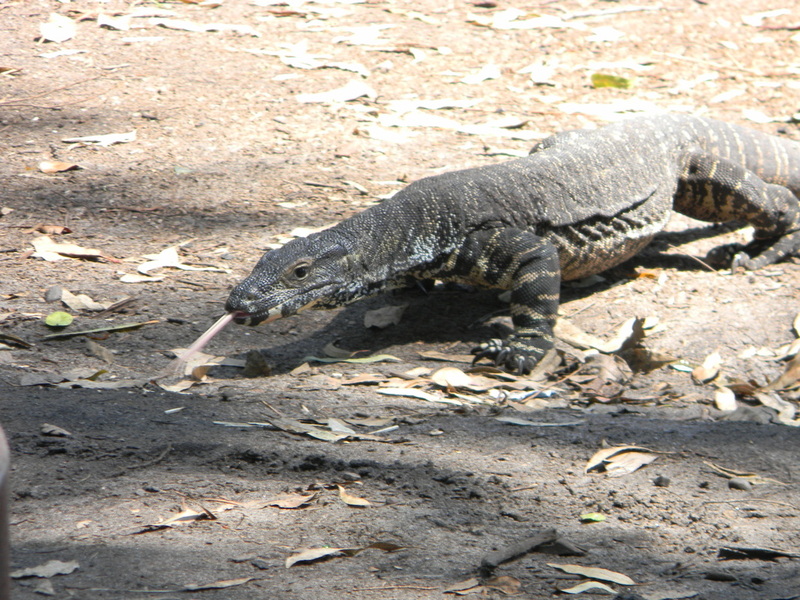 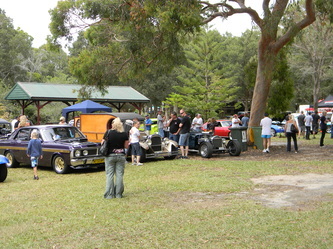 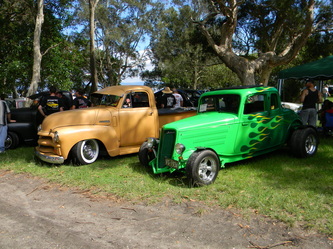 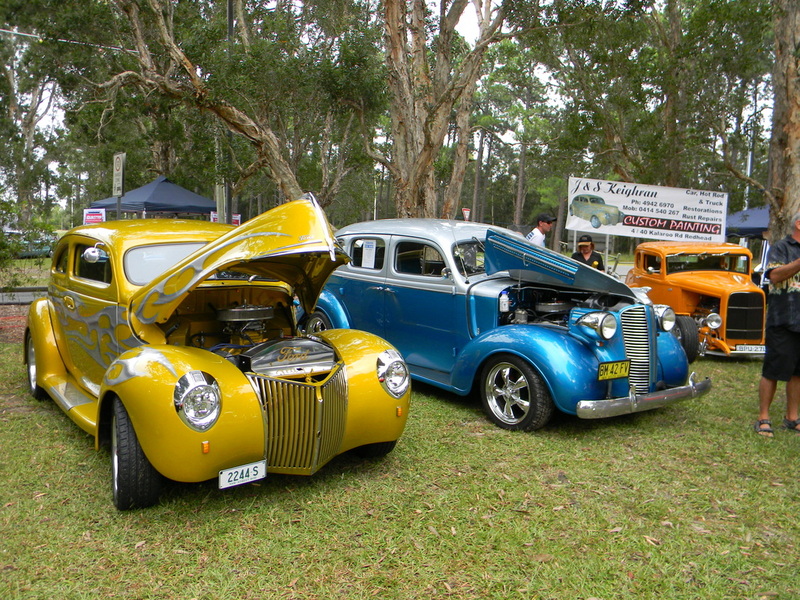 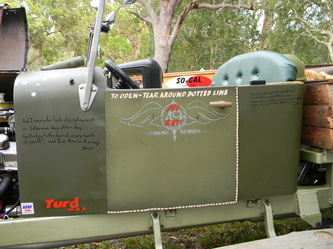 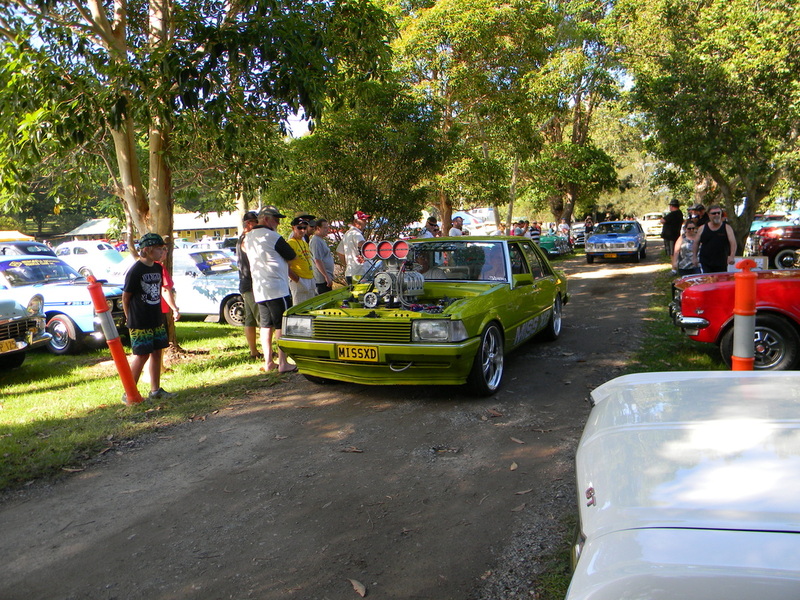 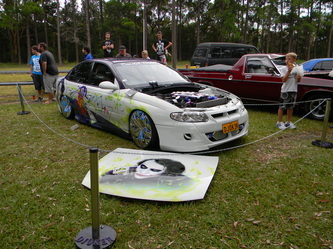 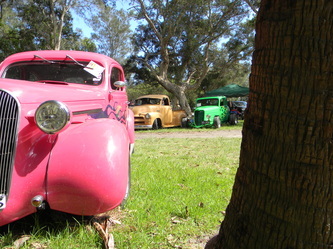 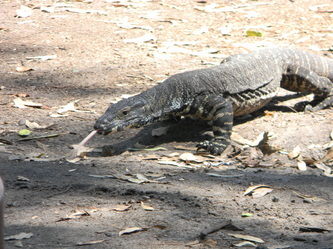 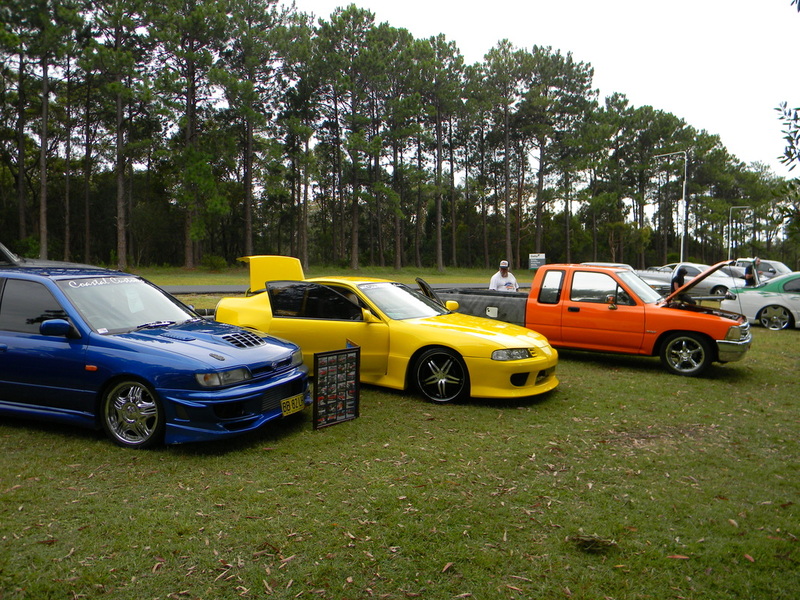 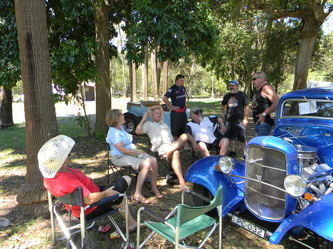 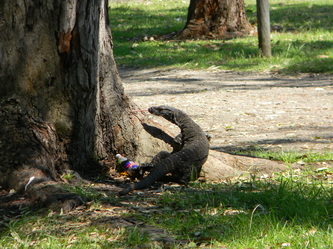 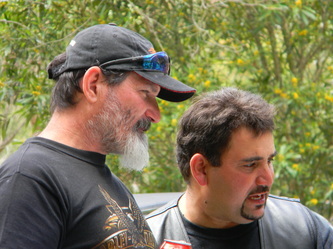 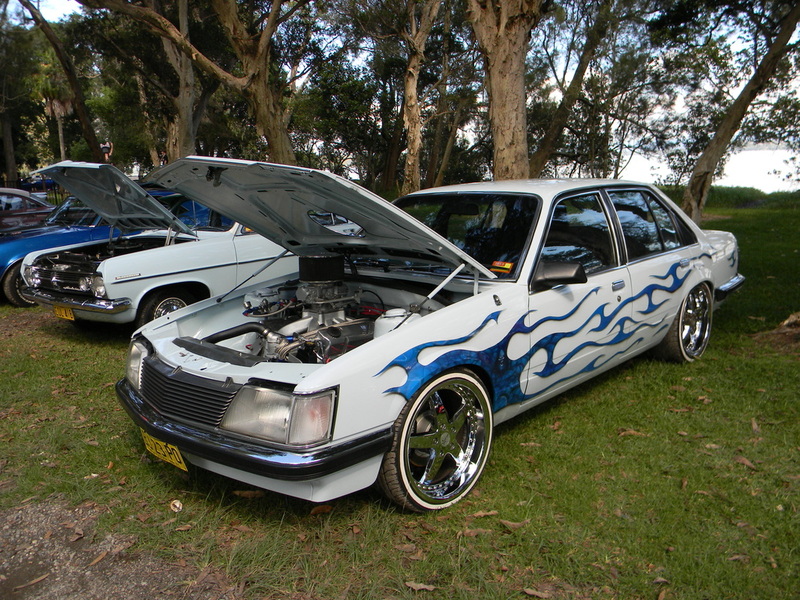 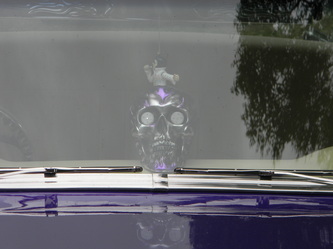 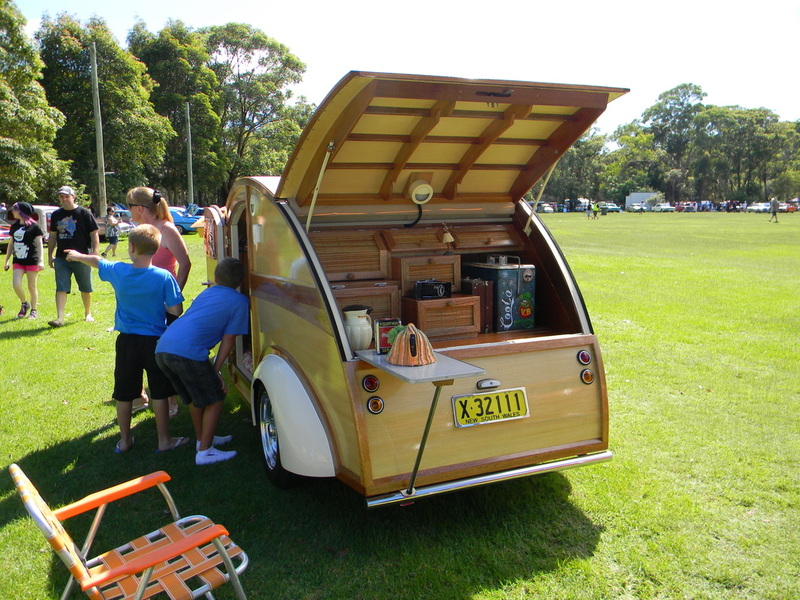 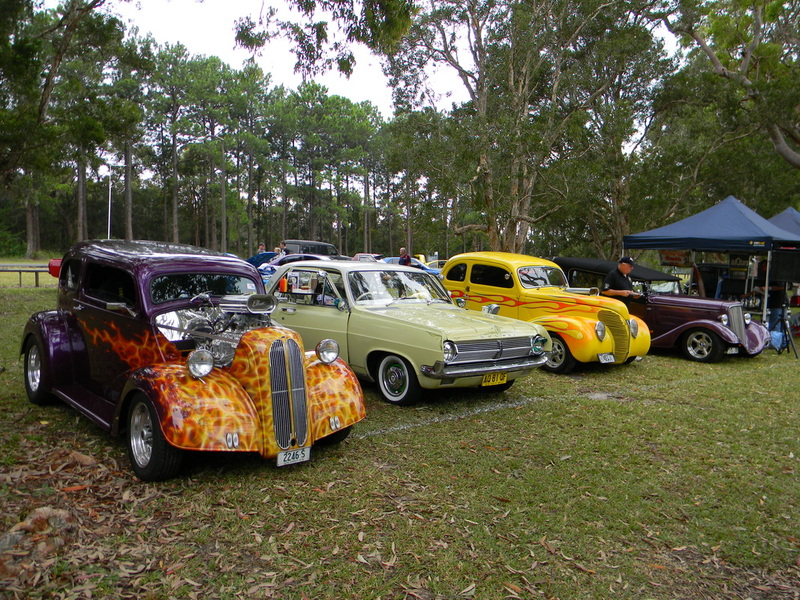 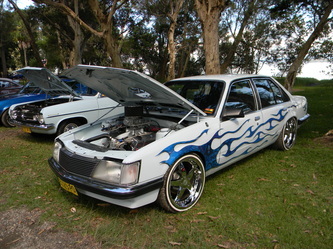 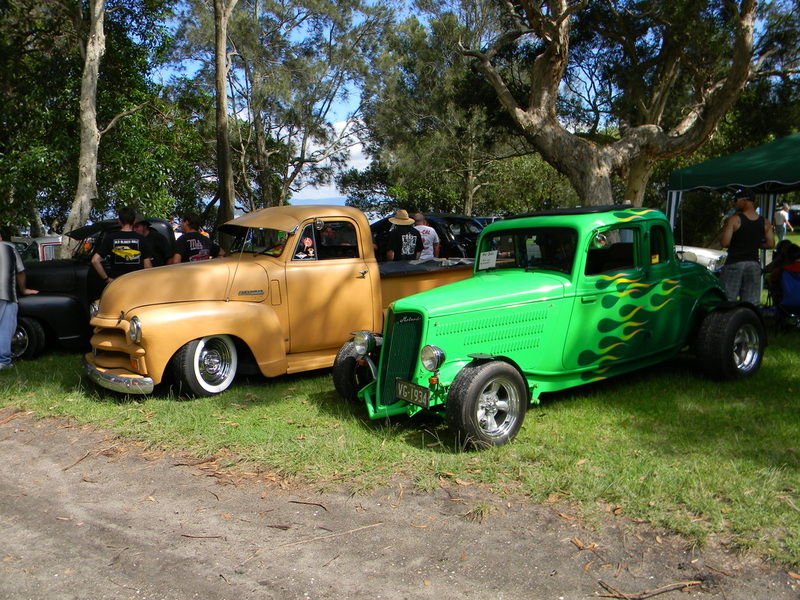 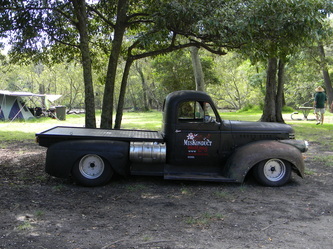 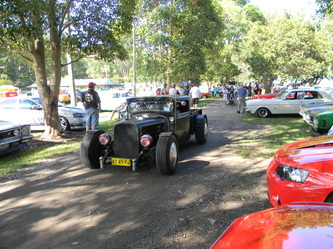 This page contains Street Ratz Summer City Rumble 4, Park Up East Maitland and Rickshaws M.A.D. 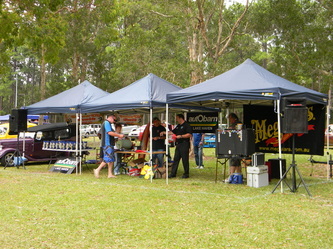 Summer City Rumble 4 moved to a new location at Koala Park, Doyalson this year and what a great move it turned out to be. 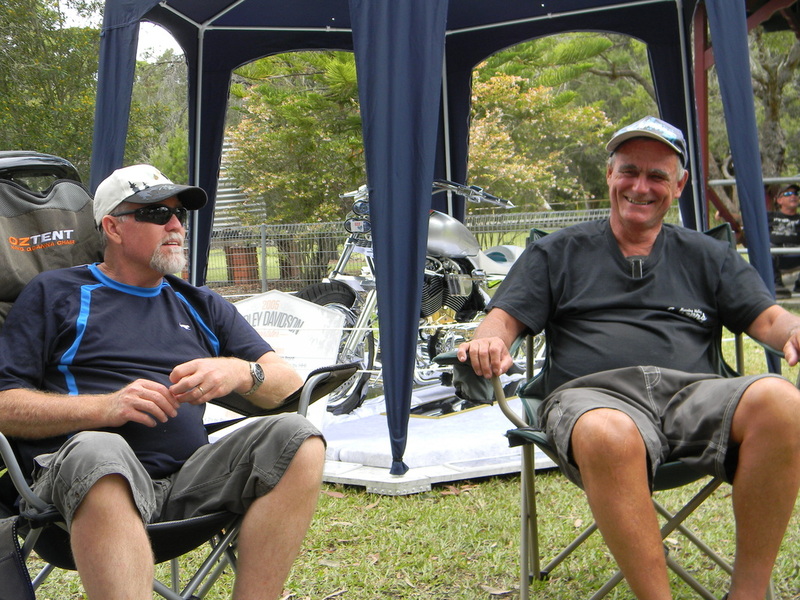 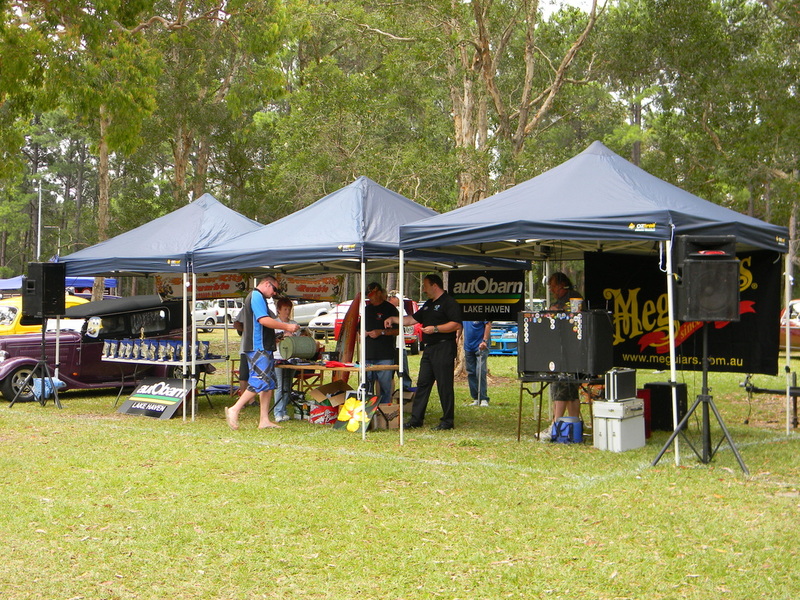 The benefits of this venue are evident with plenty of shade, shelter, seating and being situated between Newcastle and the Central Coast it all helps make this event very successful. 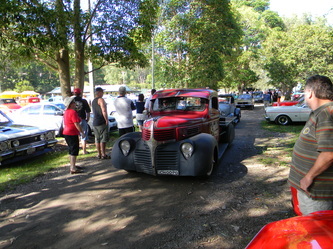 Street Ratz are to be congratulated for their running of the event. 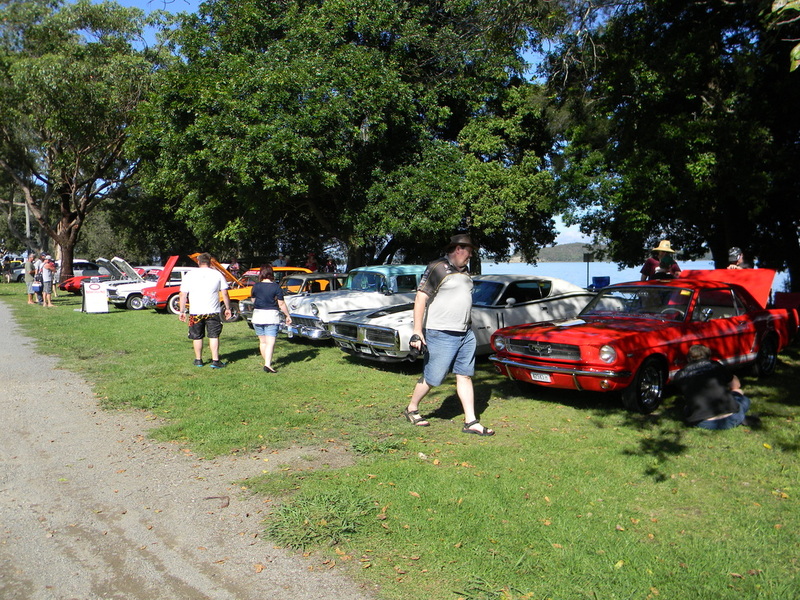 It was overcast for most of the day, cooler than other years which probably put a few entrants off arriving early but in the end an excellent number of vehicles attended and everyone had a great day. 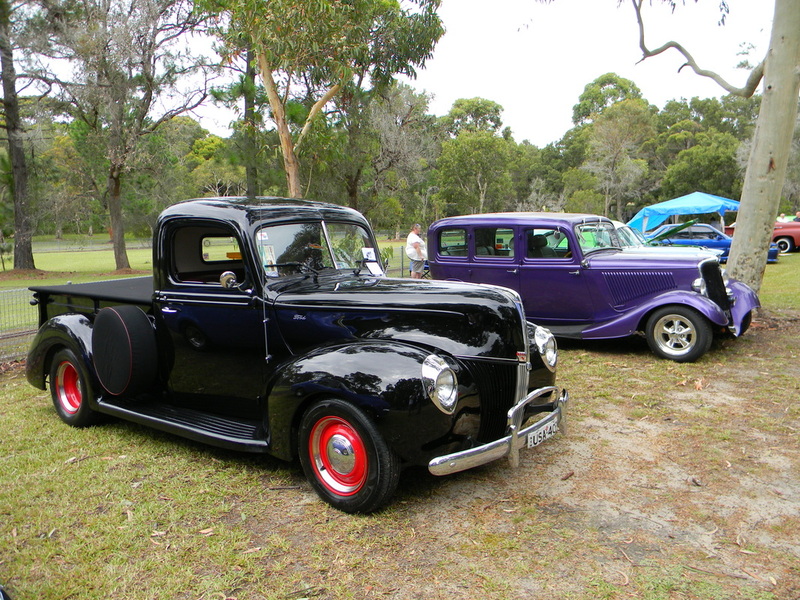 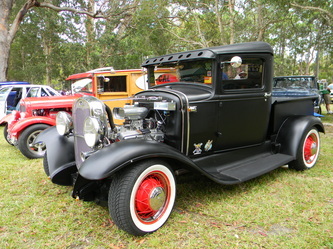 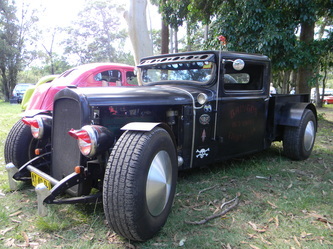 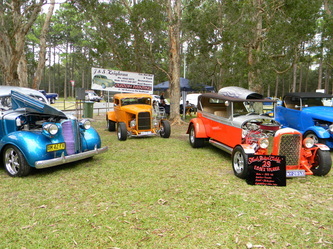 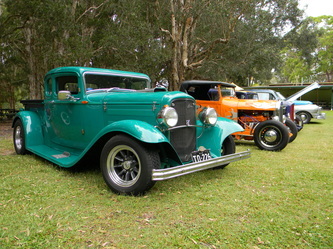 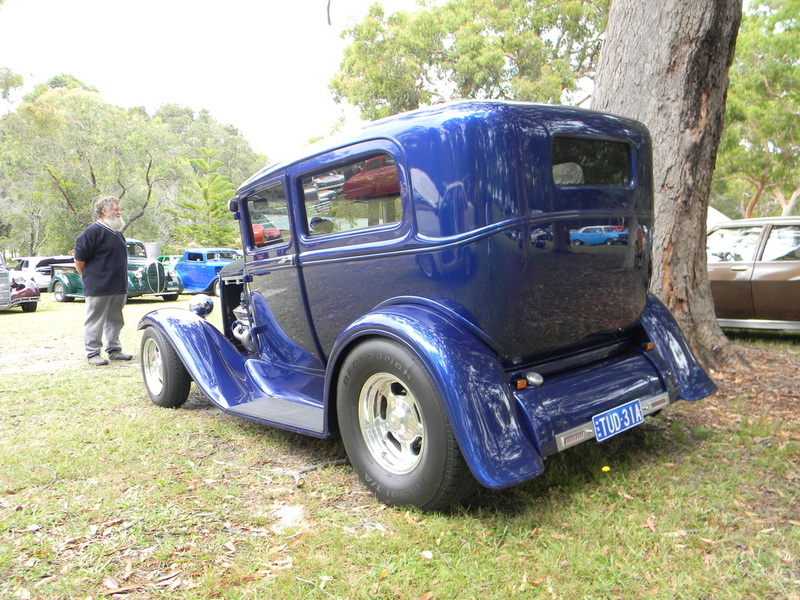 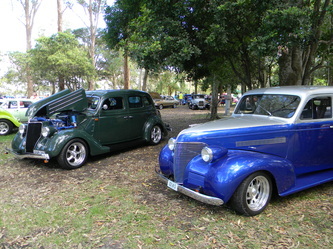 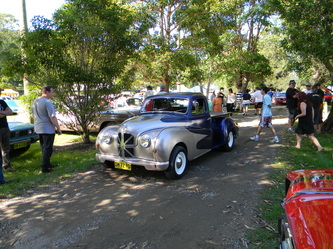 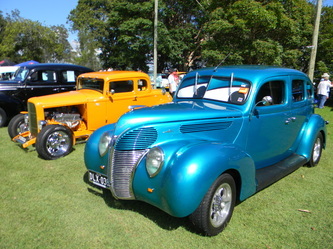 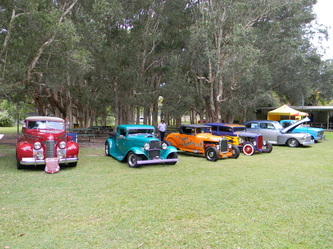 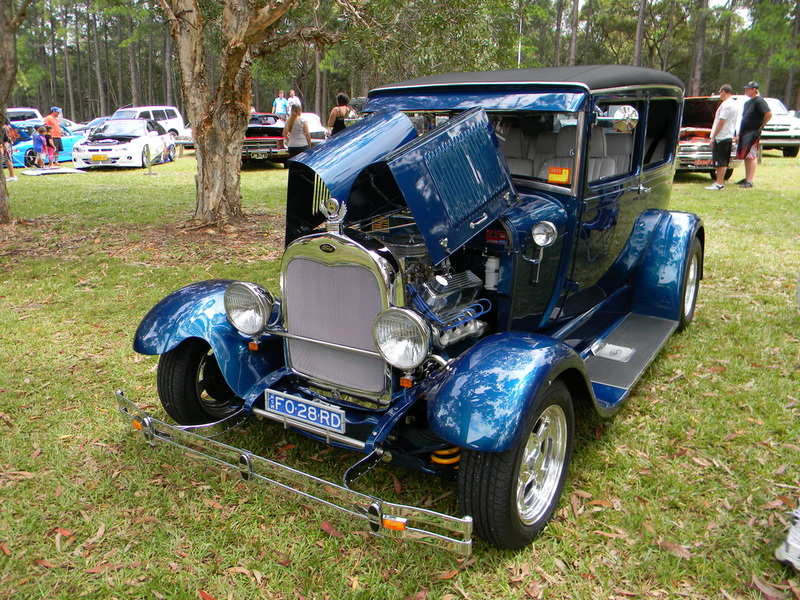 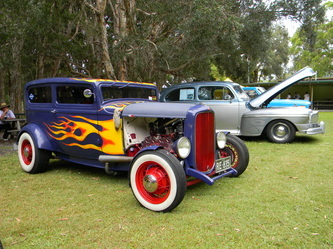 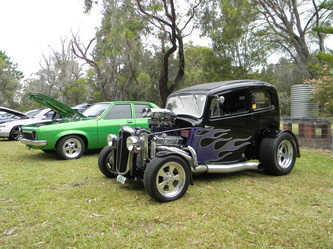 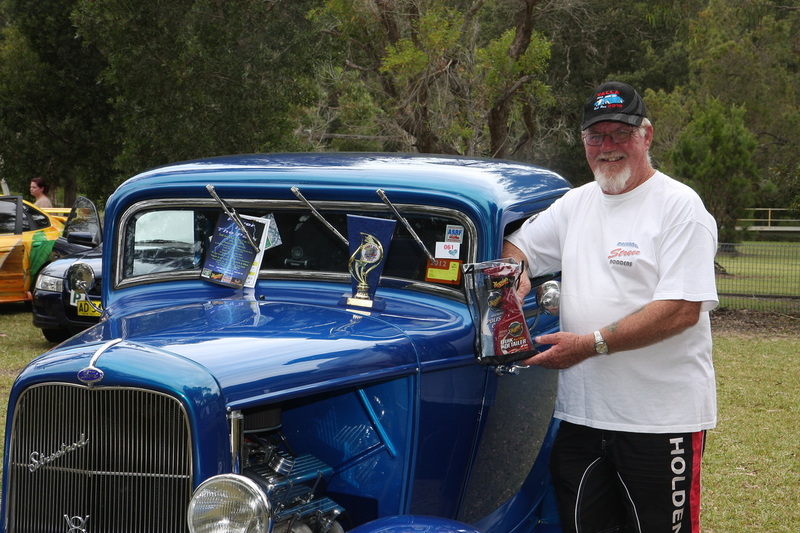 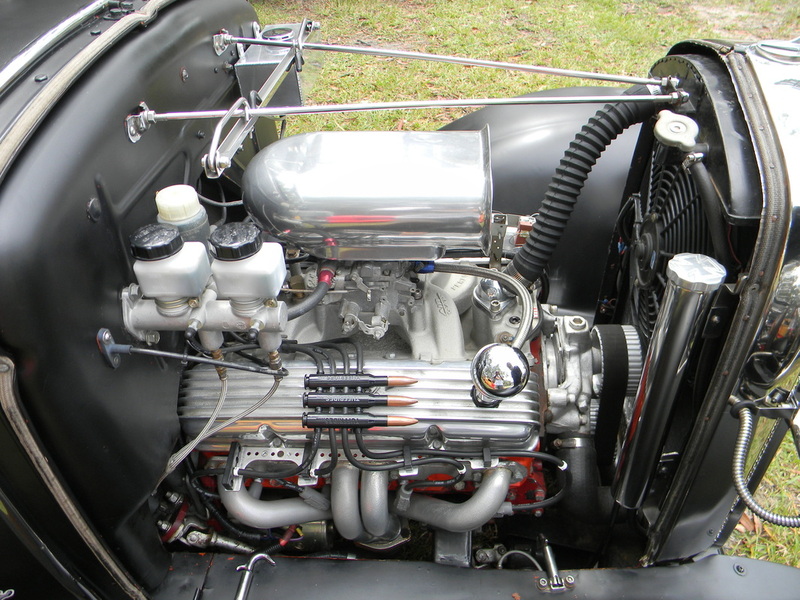 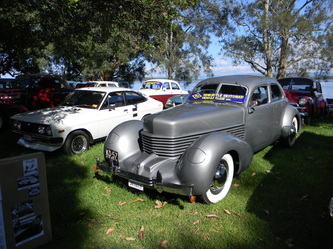 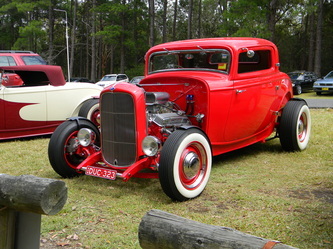 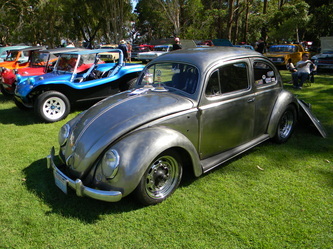 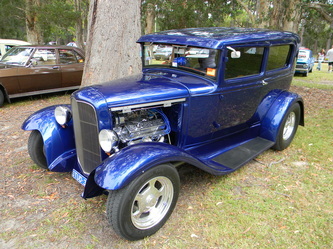 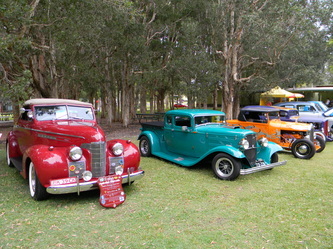 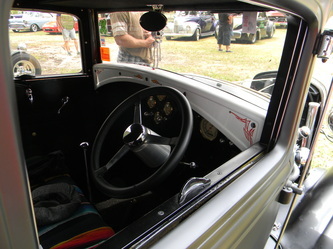 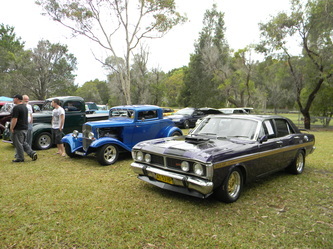 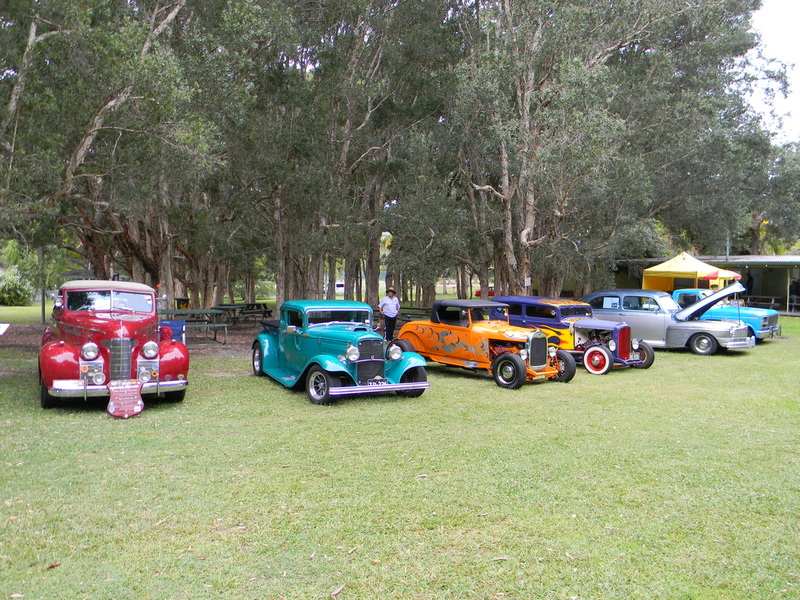 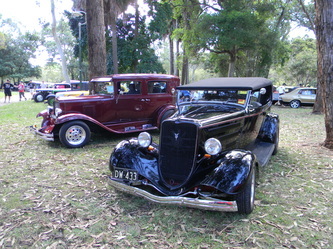 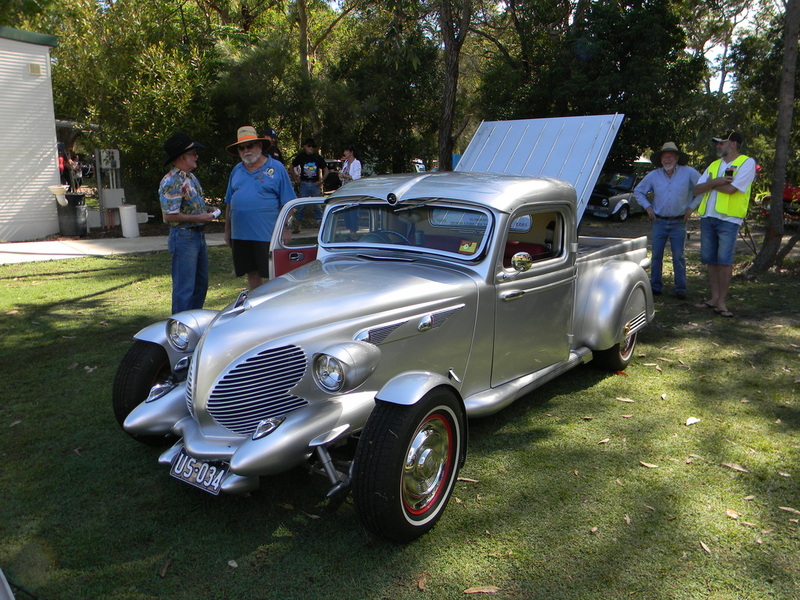 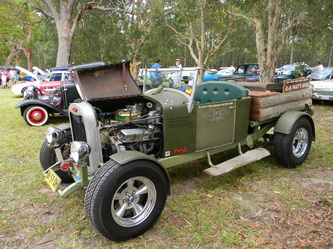 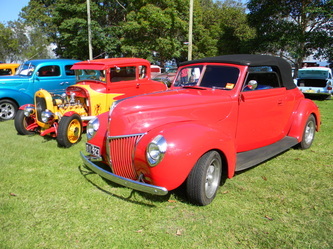 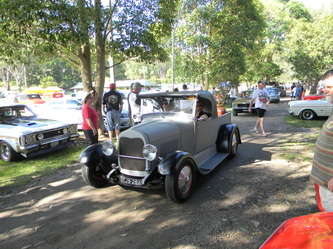 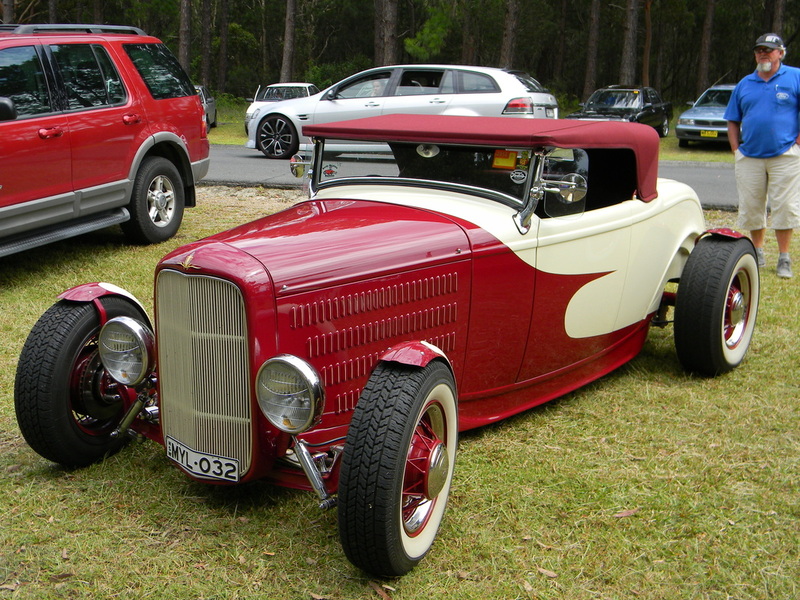 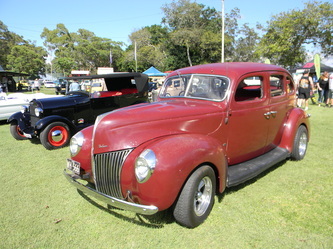 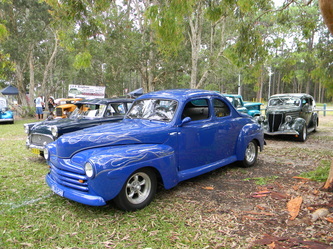 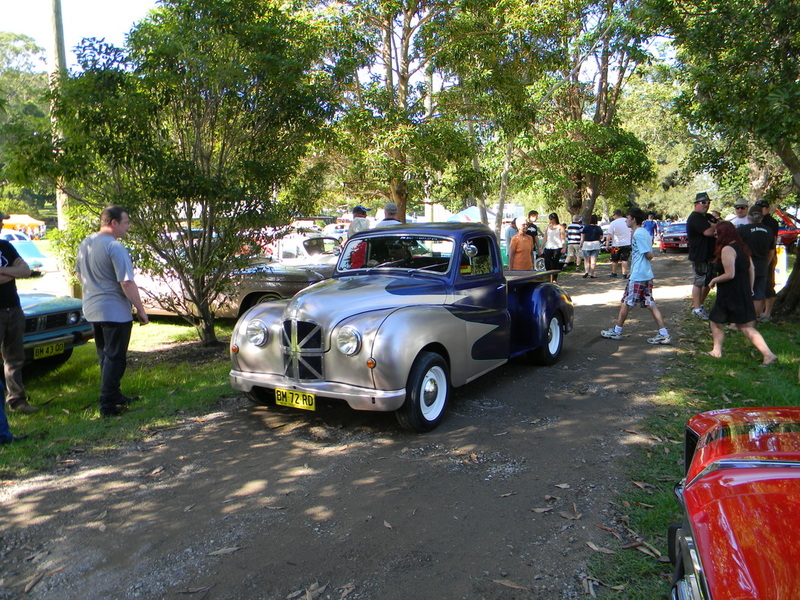 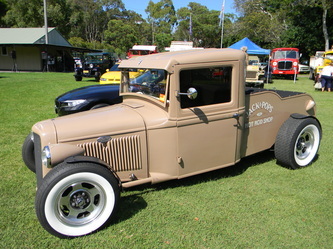 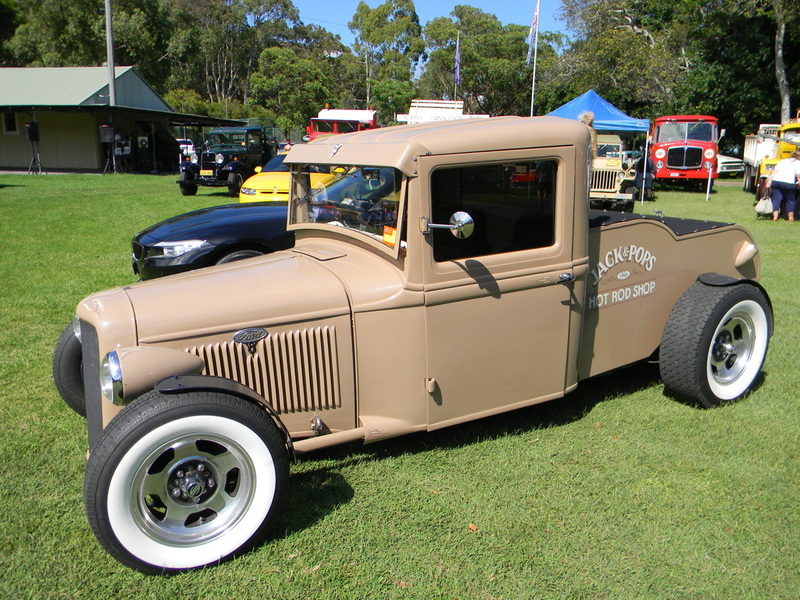 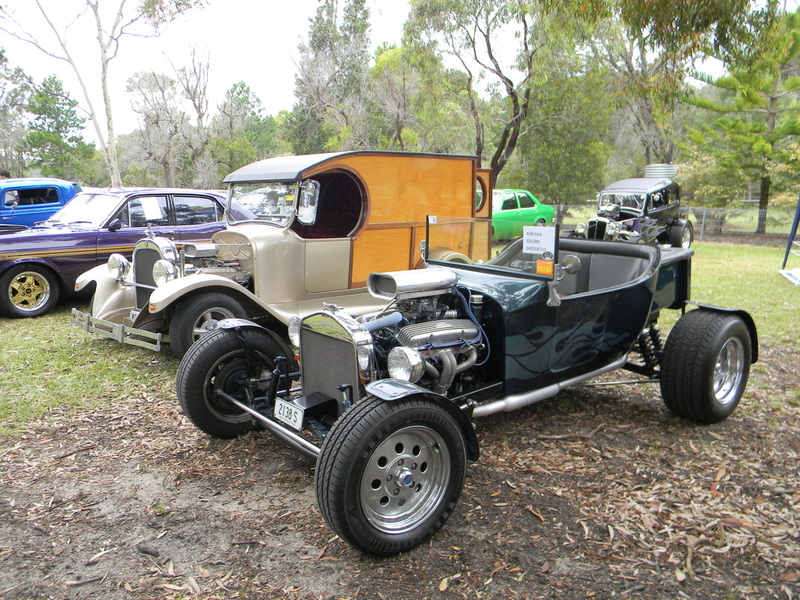 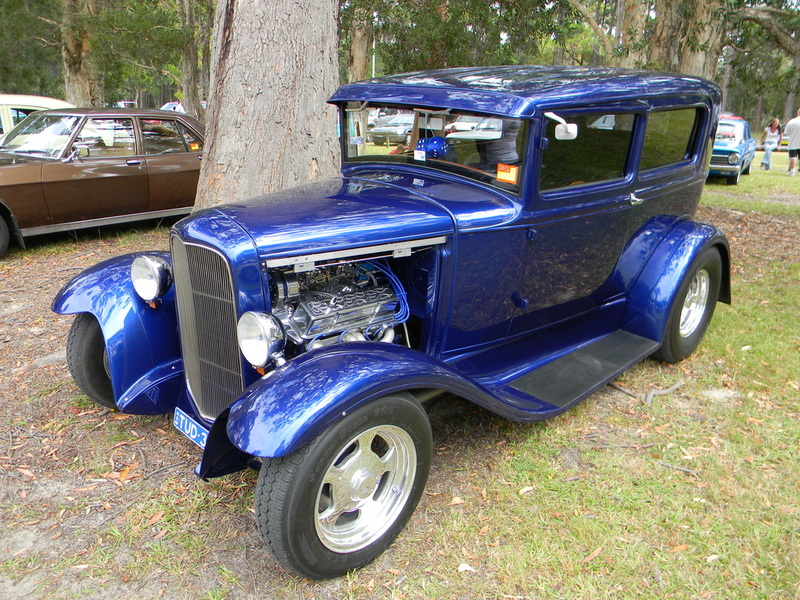 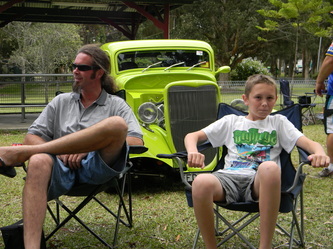 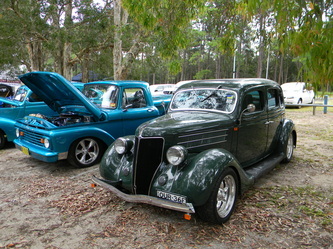 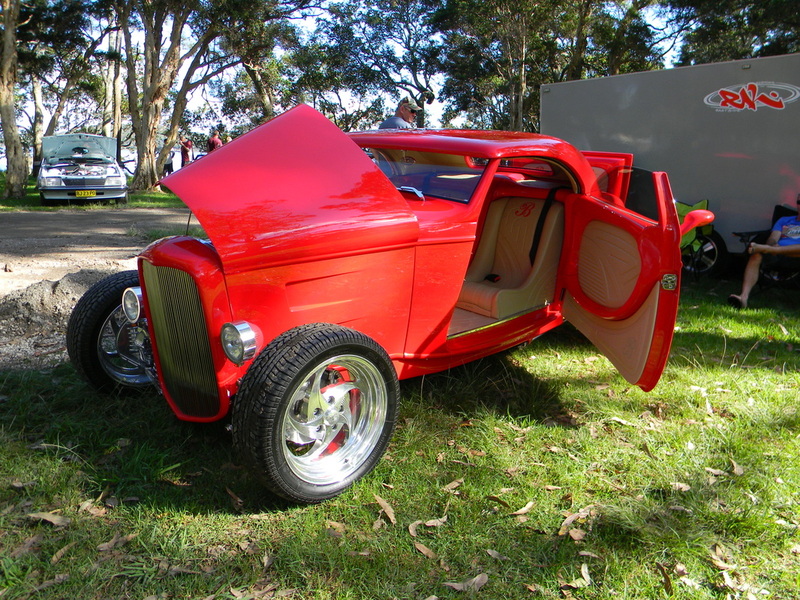 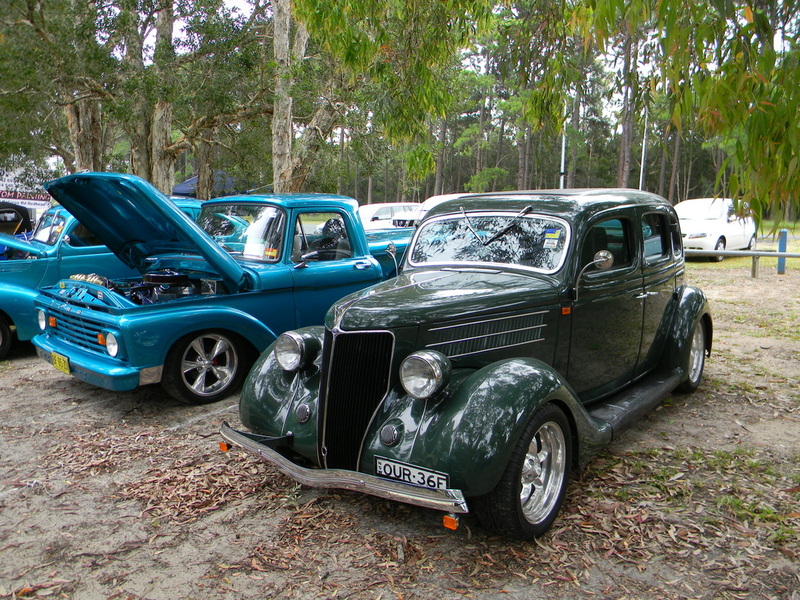 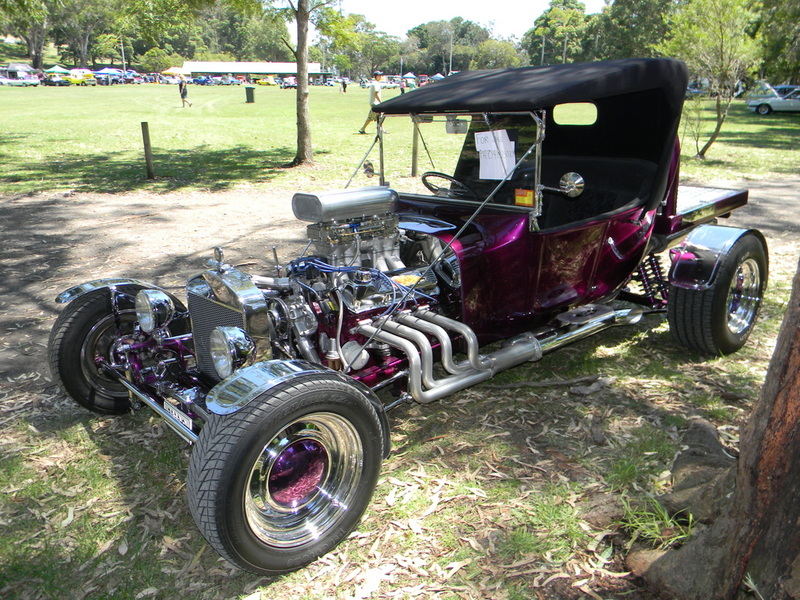 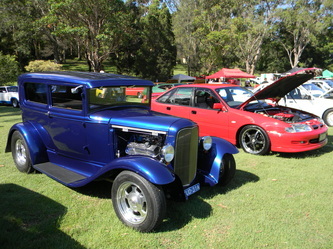 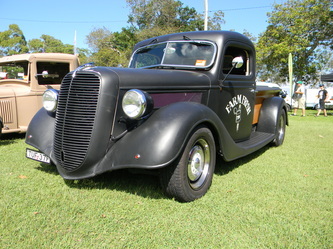 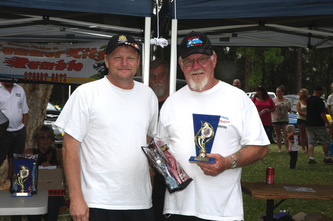 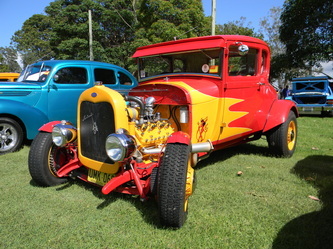 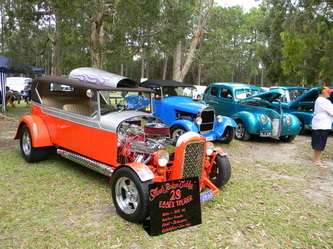 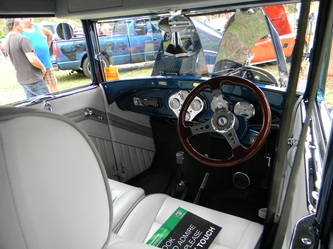 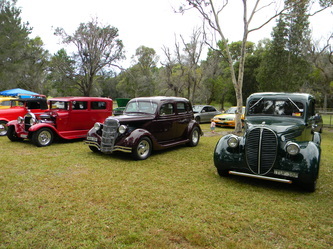 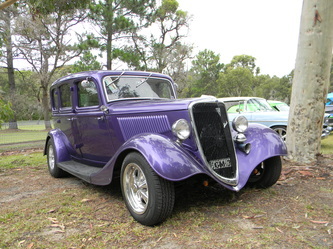 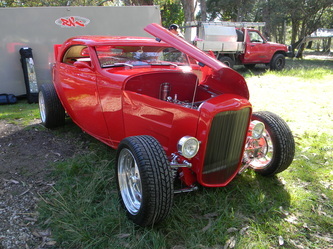 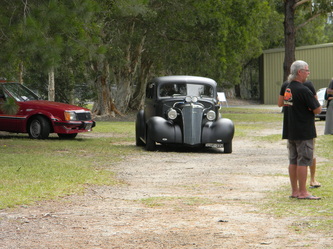 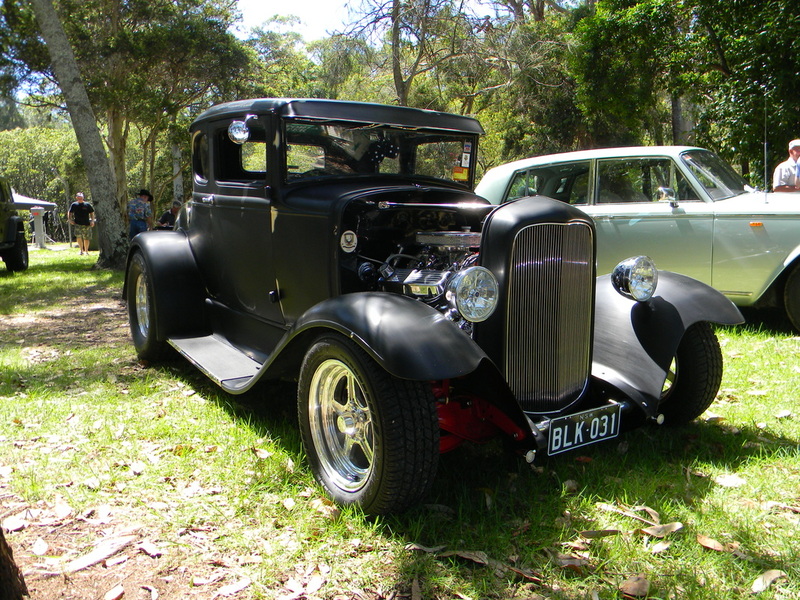 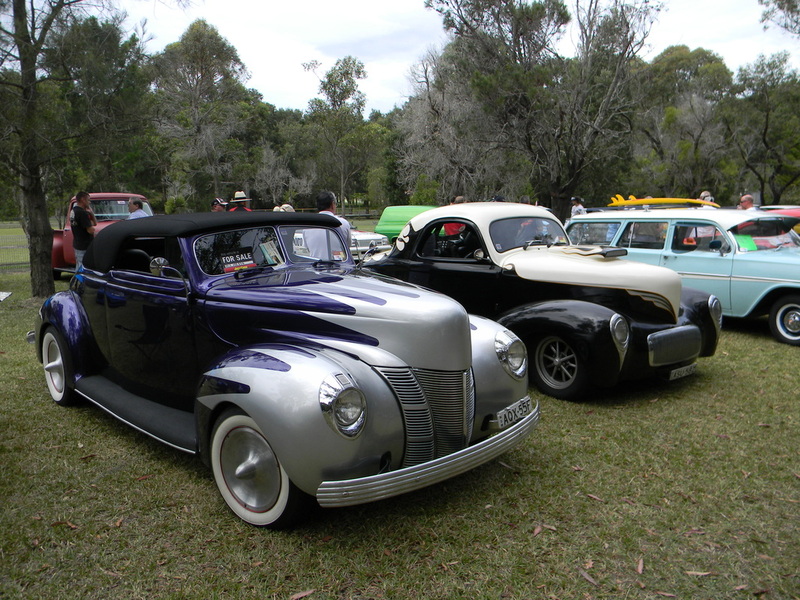 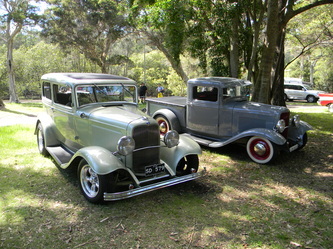 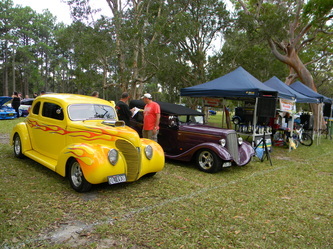 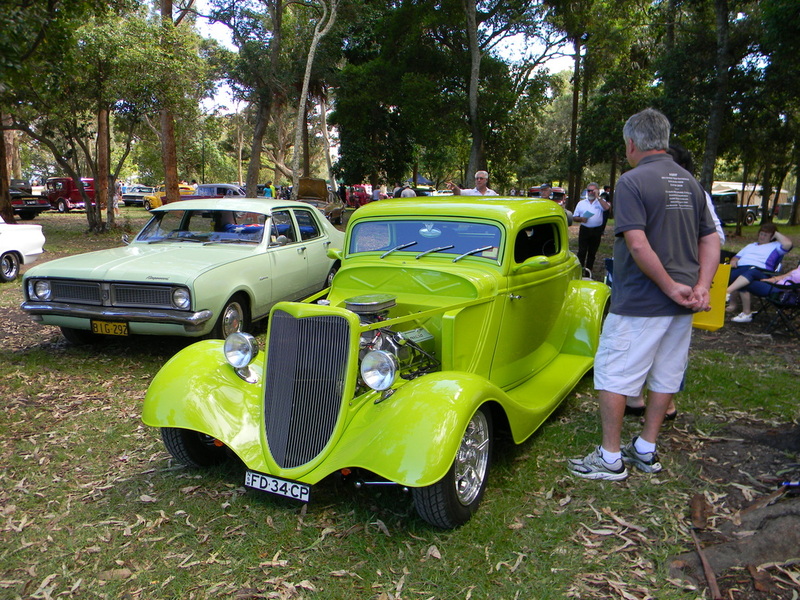 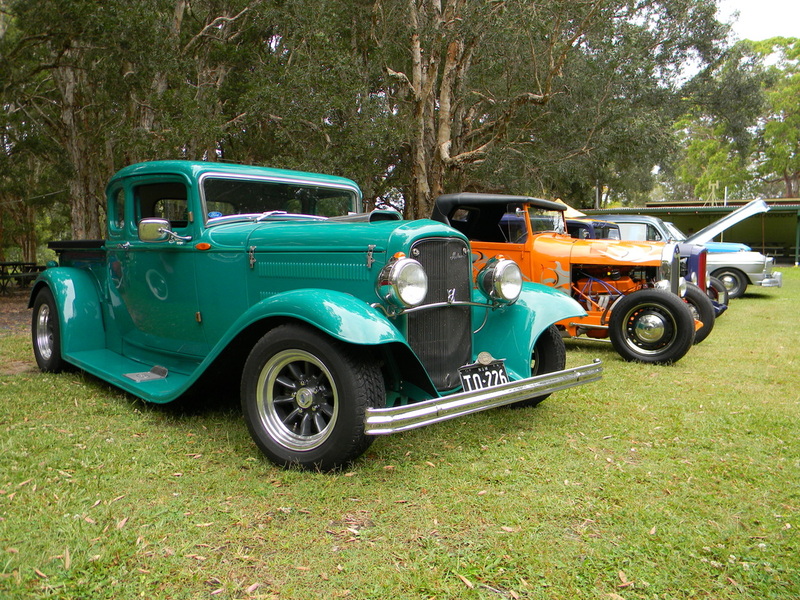 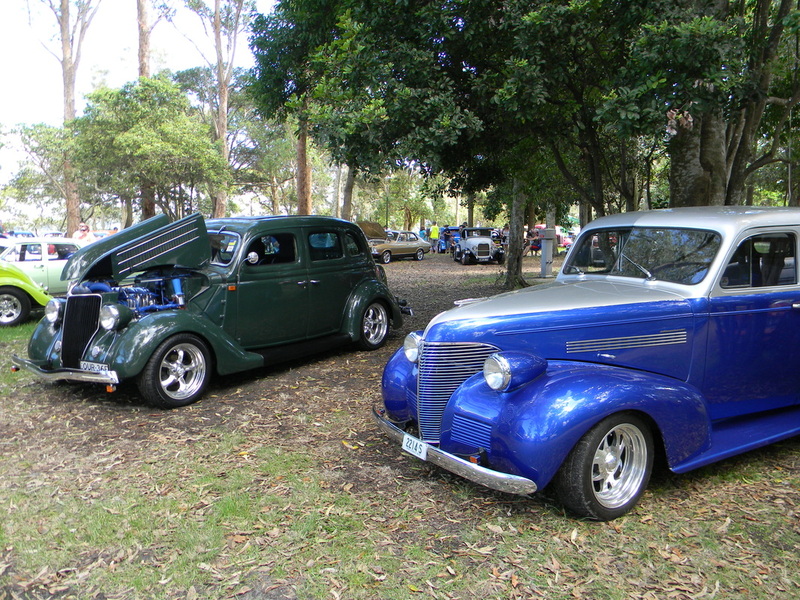 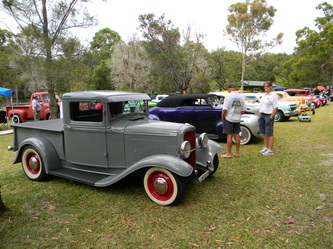 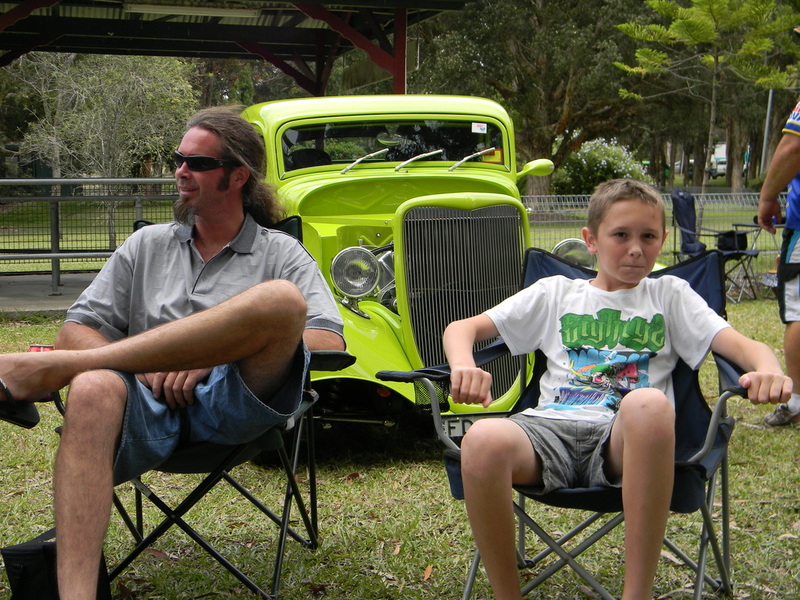 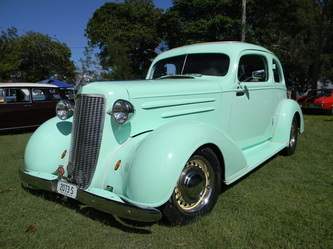 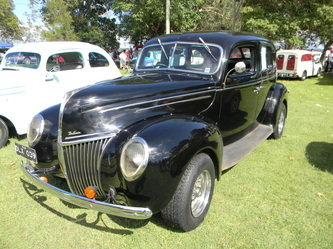 Our club had 8 rods and 11 members at the event and Paul won best Hot Rod with his 32 Ford Coupe. 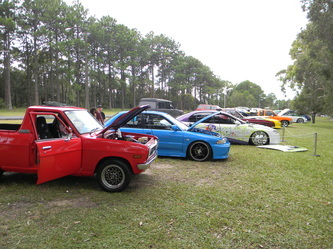 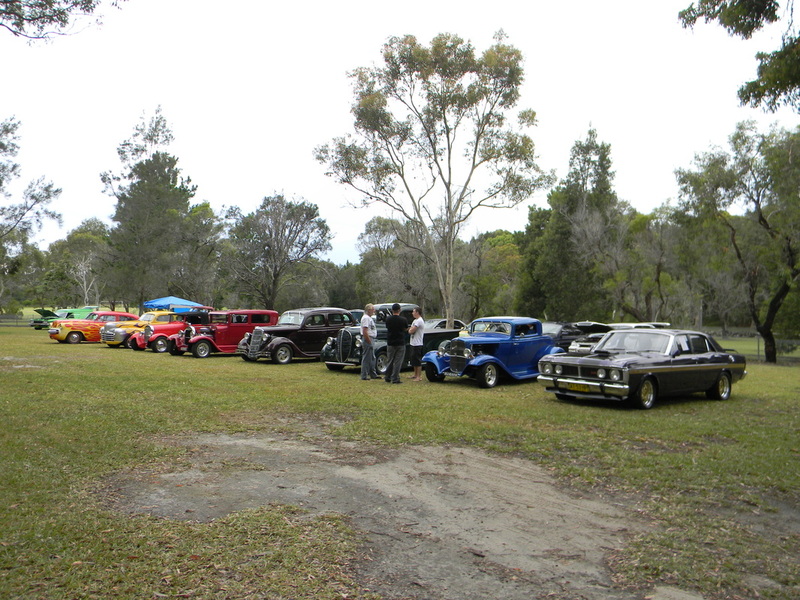 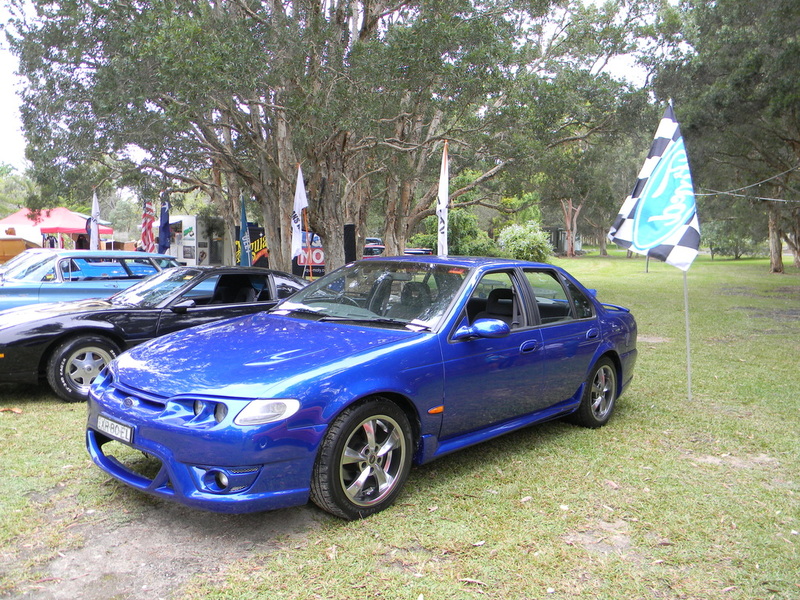 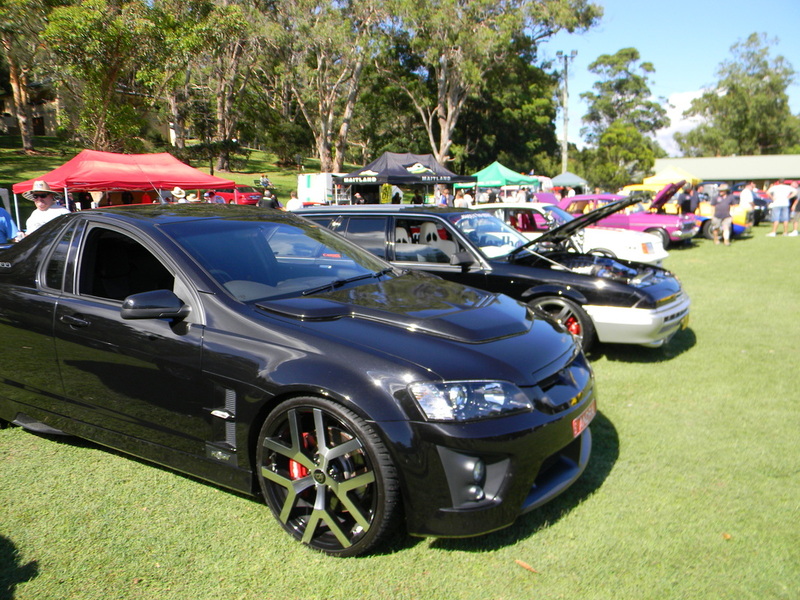 February's Park Up at the Bakery in East Maitland saw over 80 vehicles come and go during the evening making it the most successful Park Up to date. 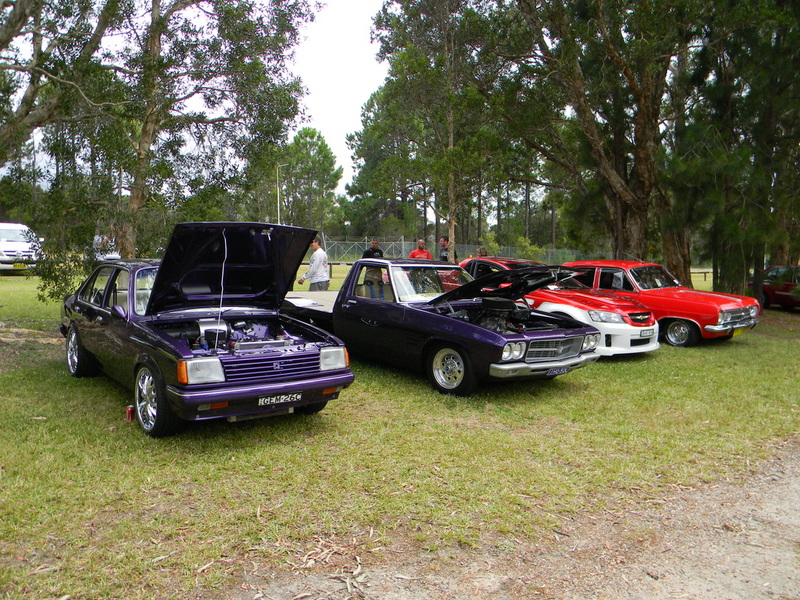 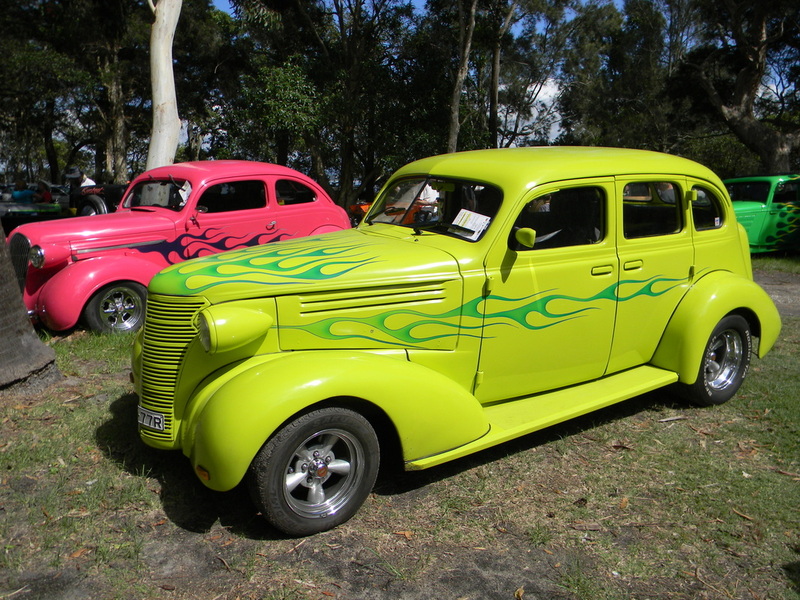 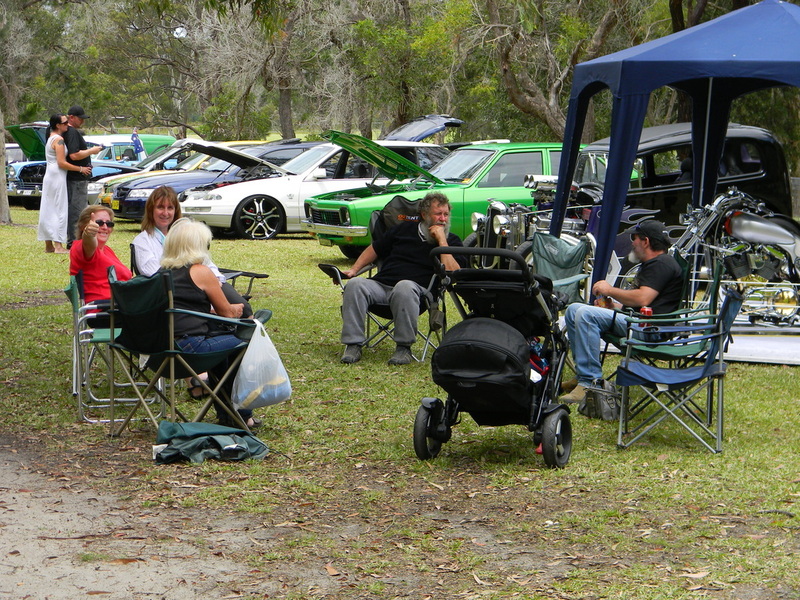 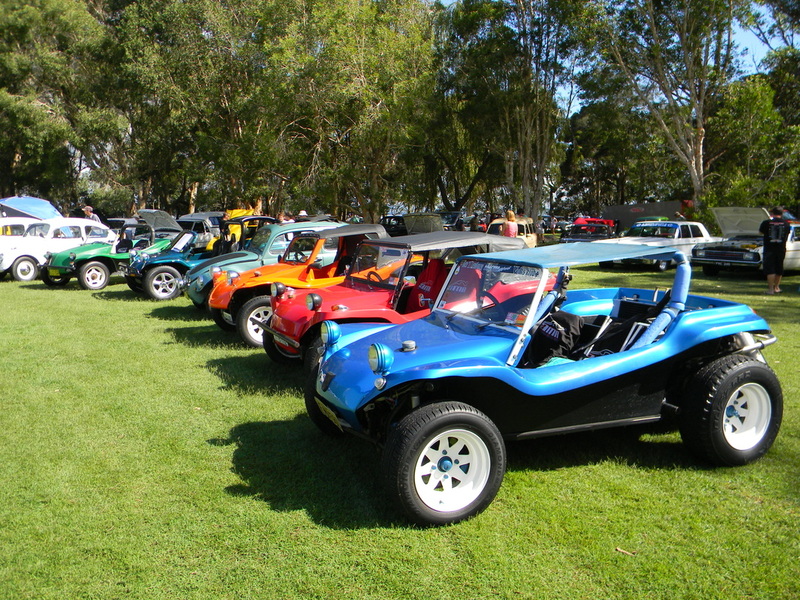 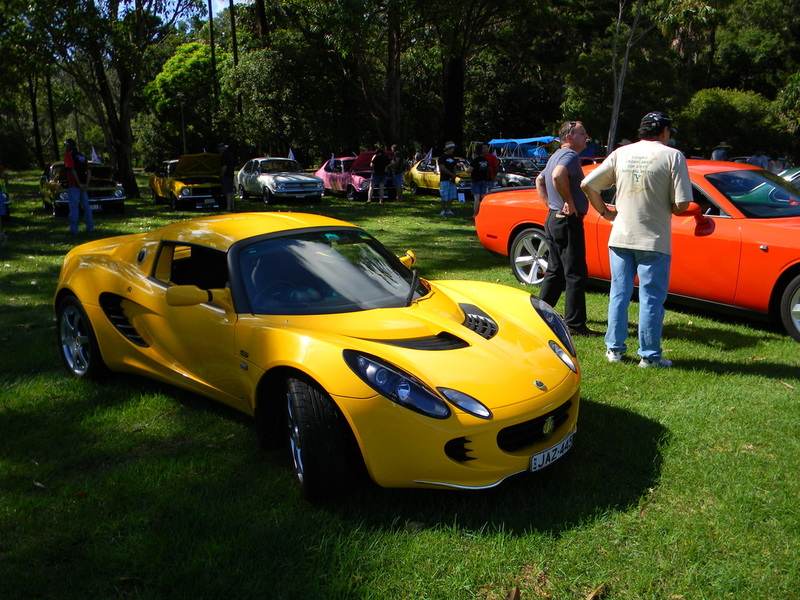 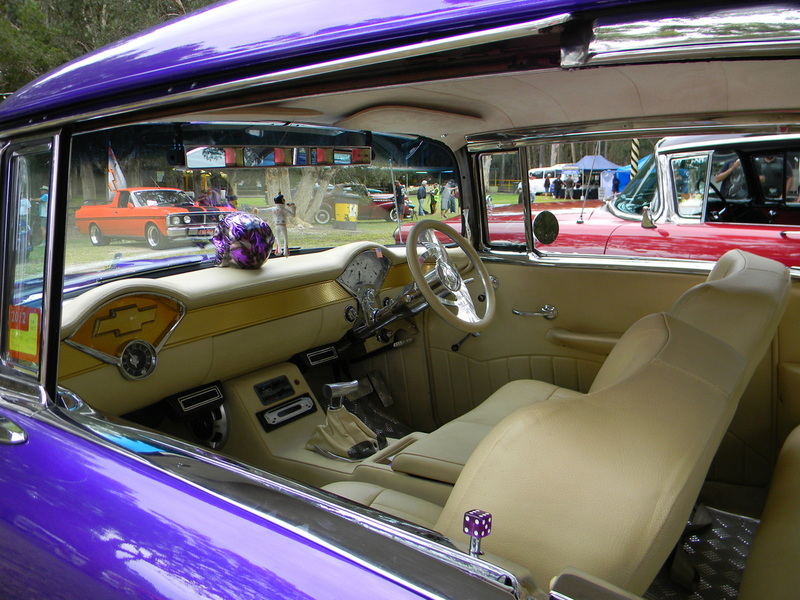 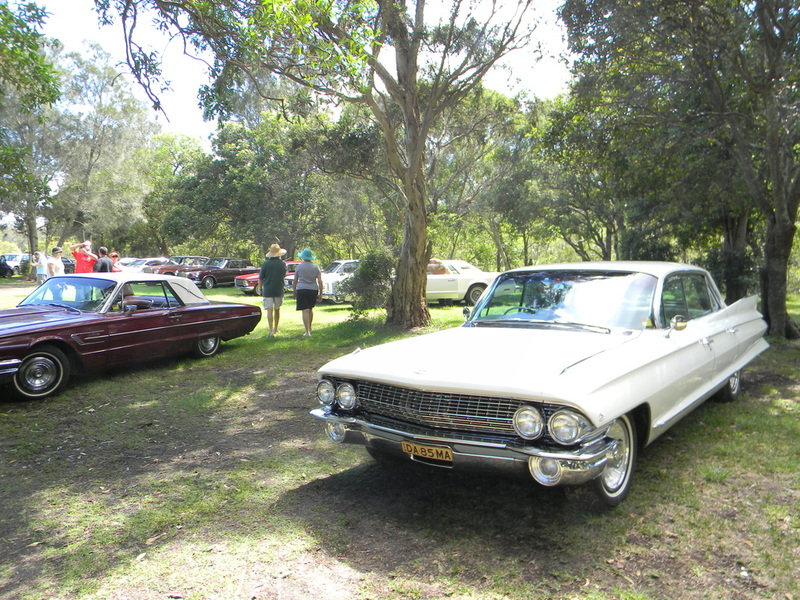 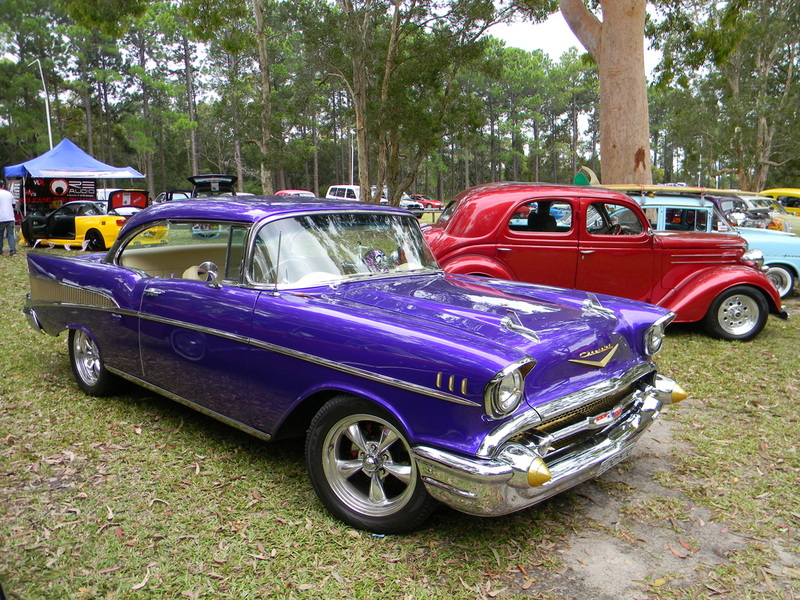 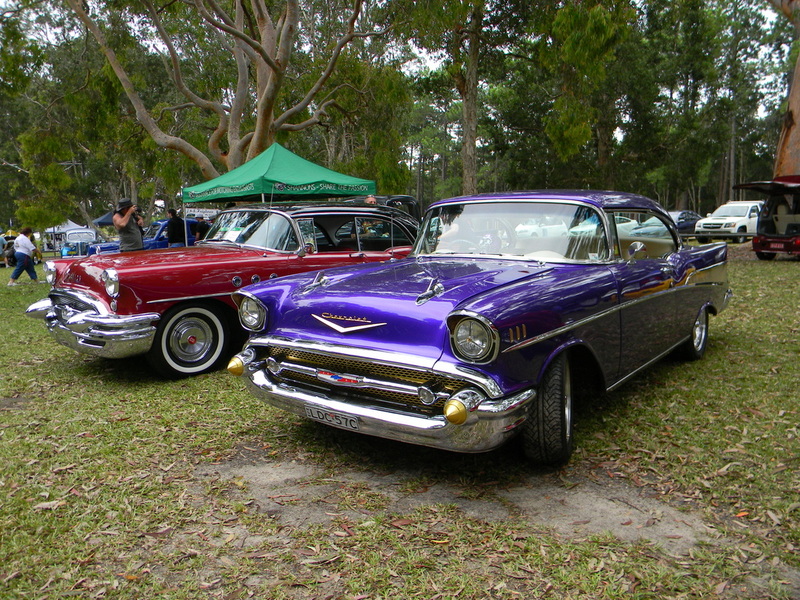 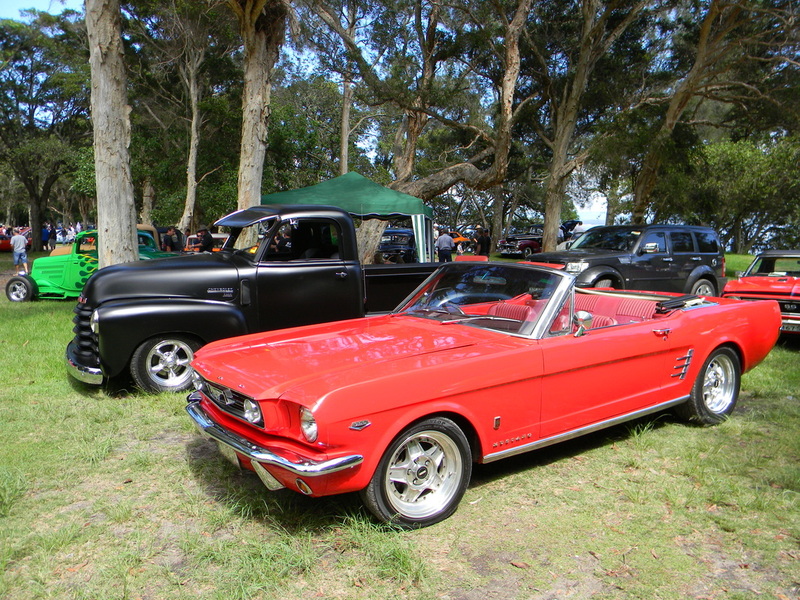 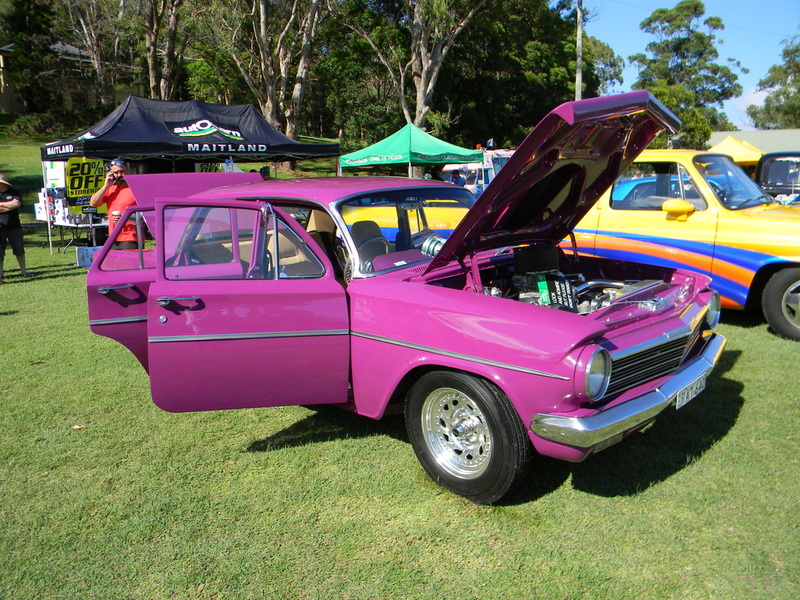 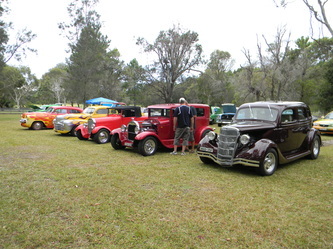 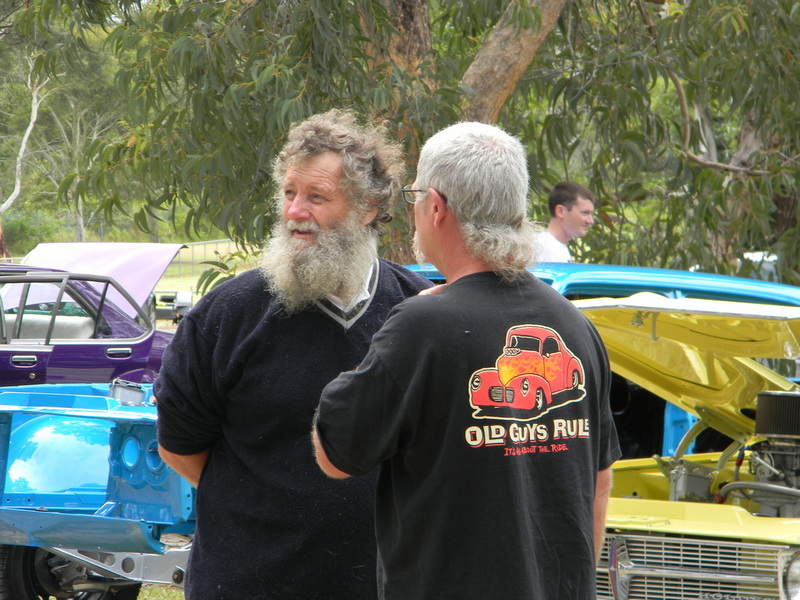 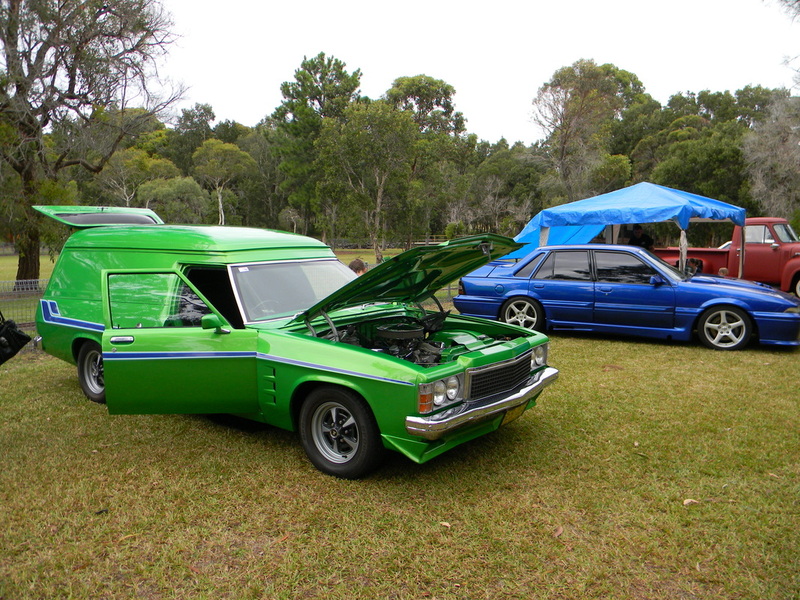 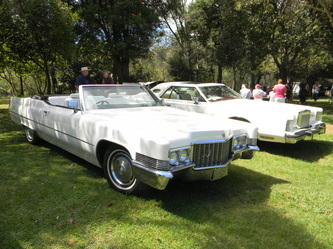 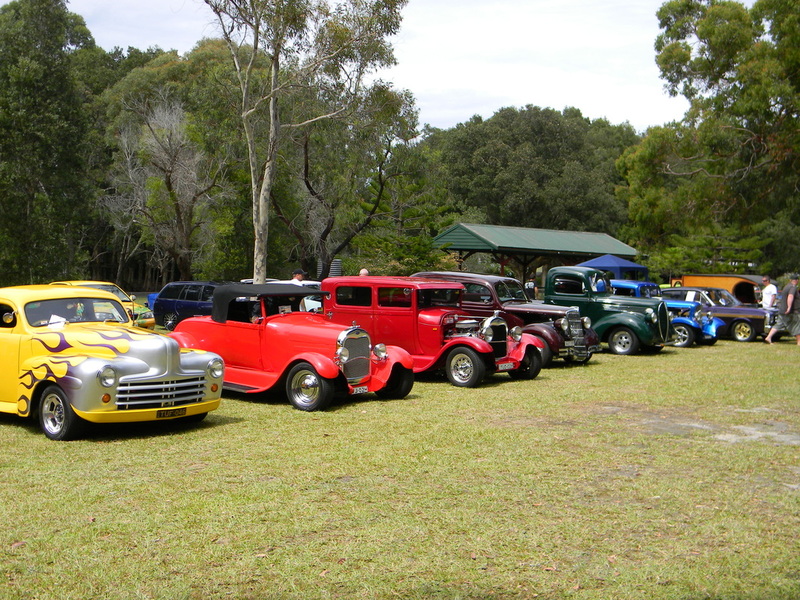 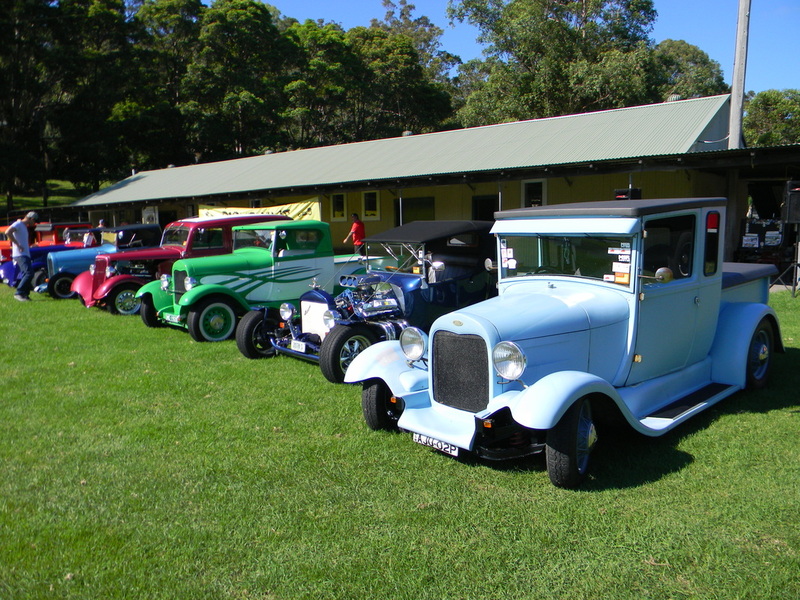 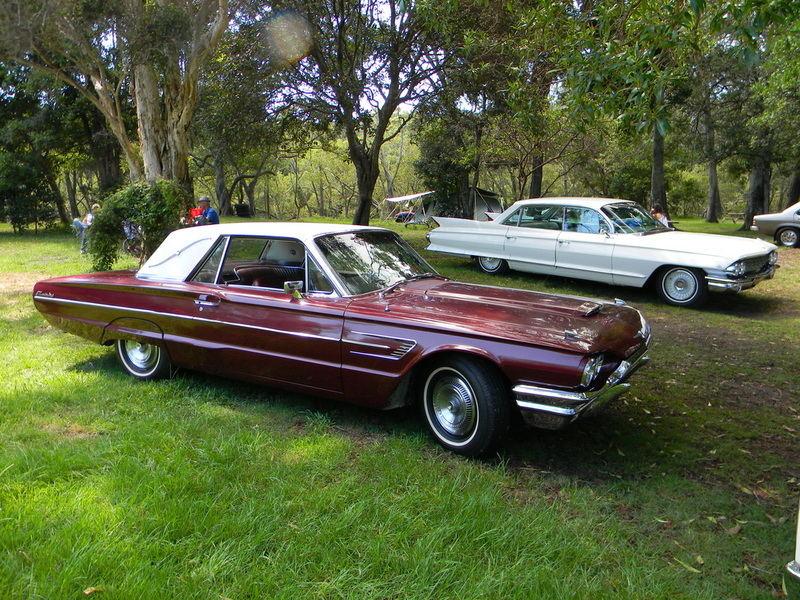 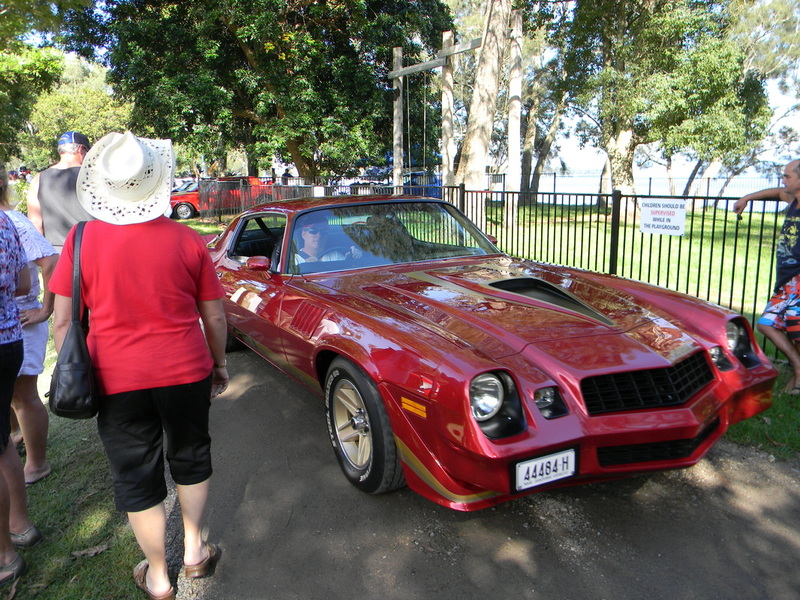 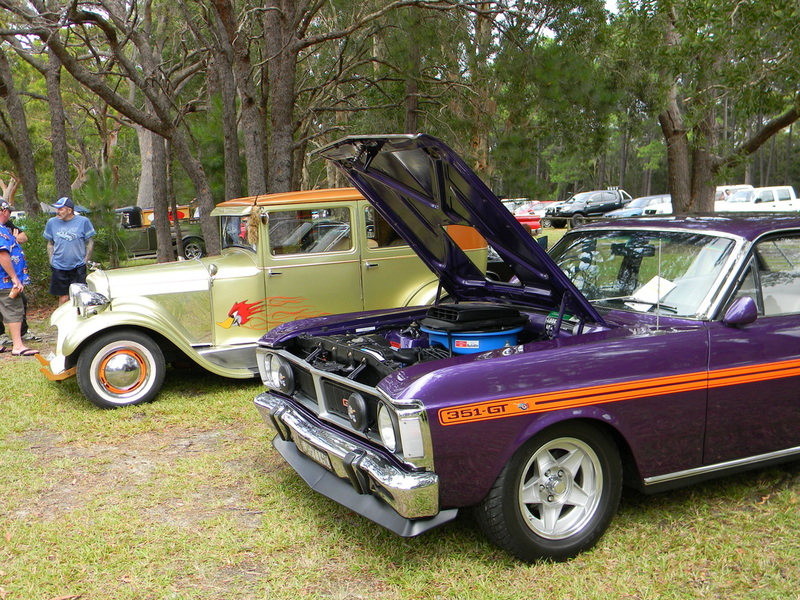 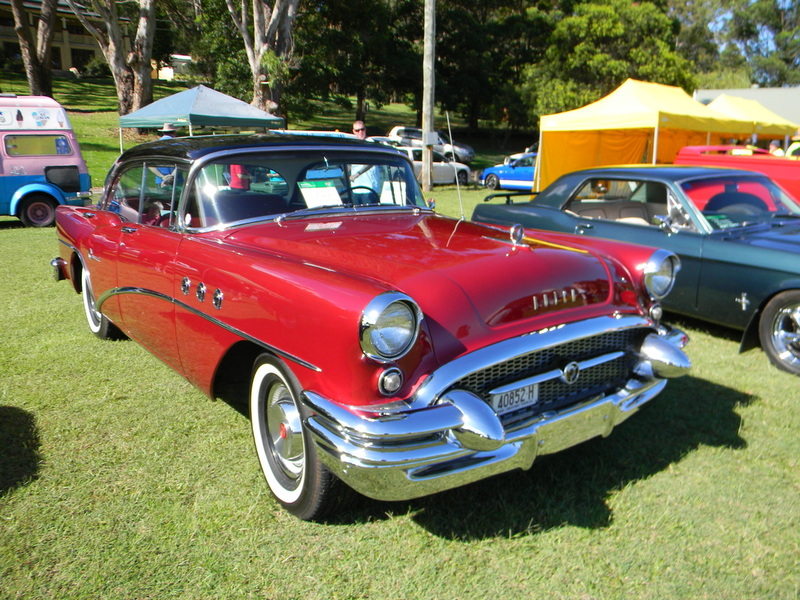 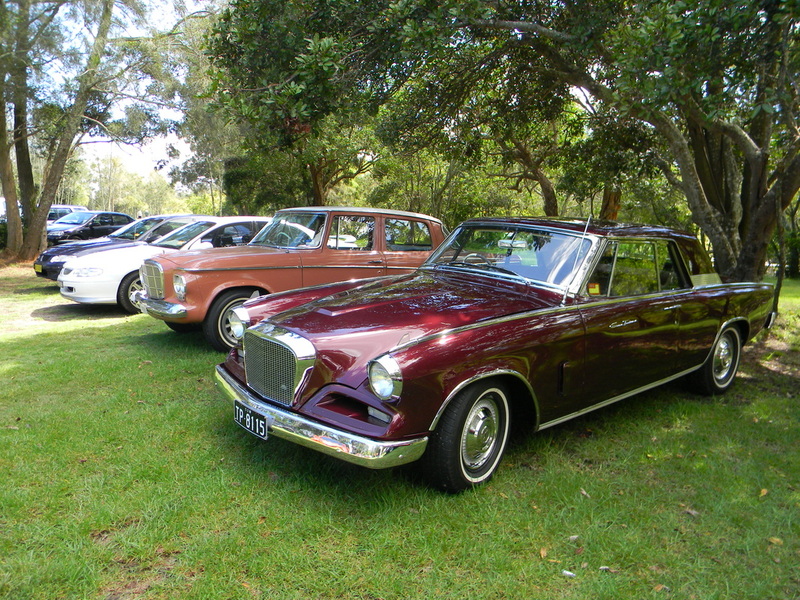 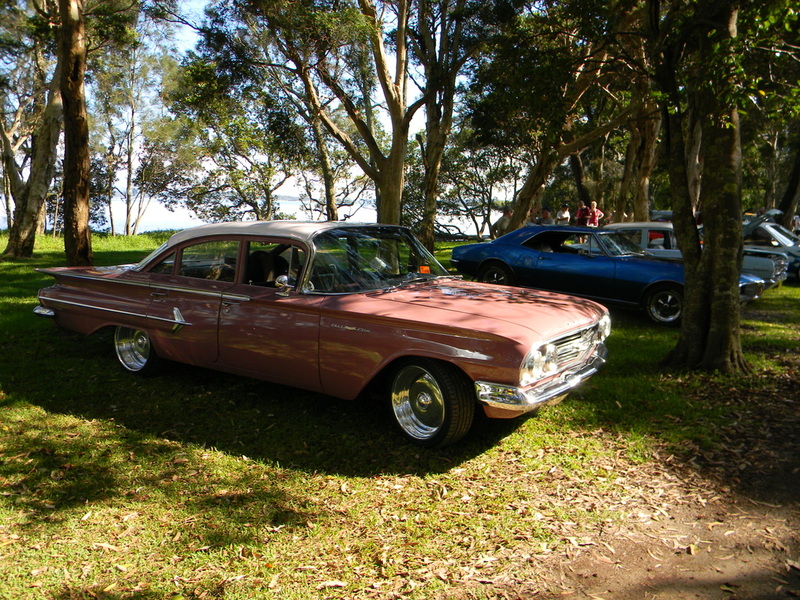 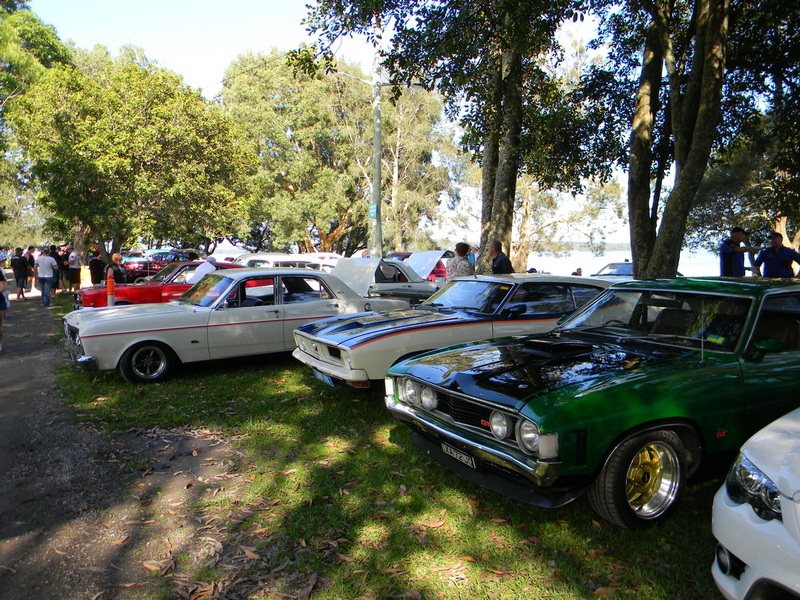 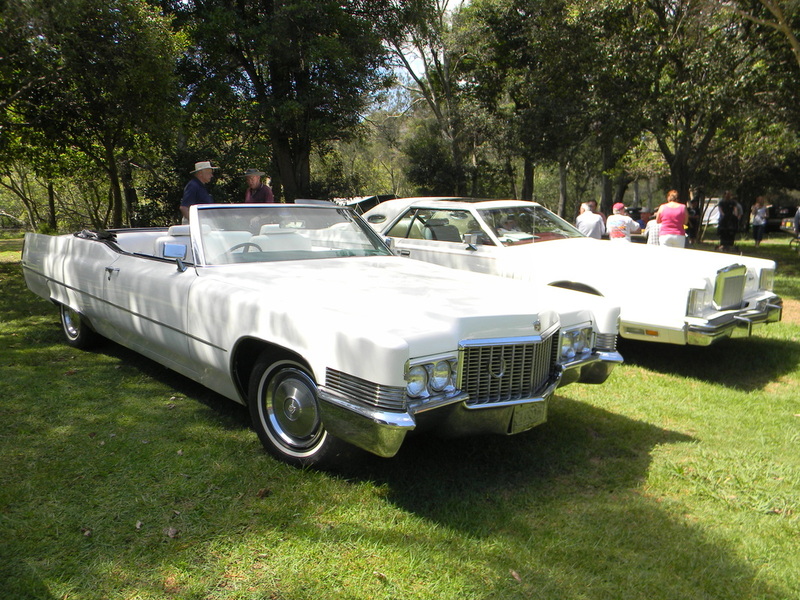 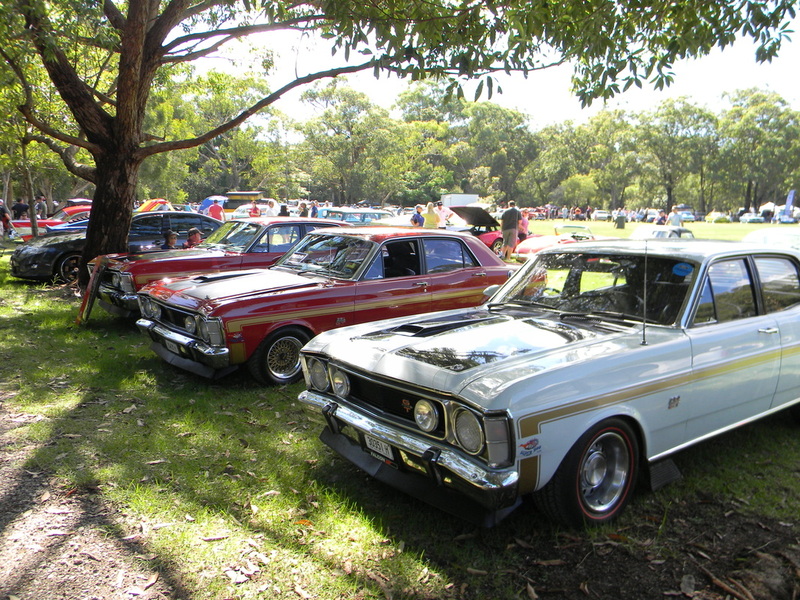 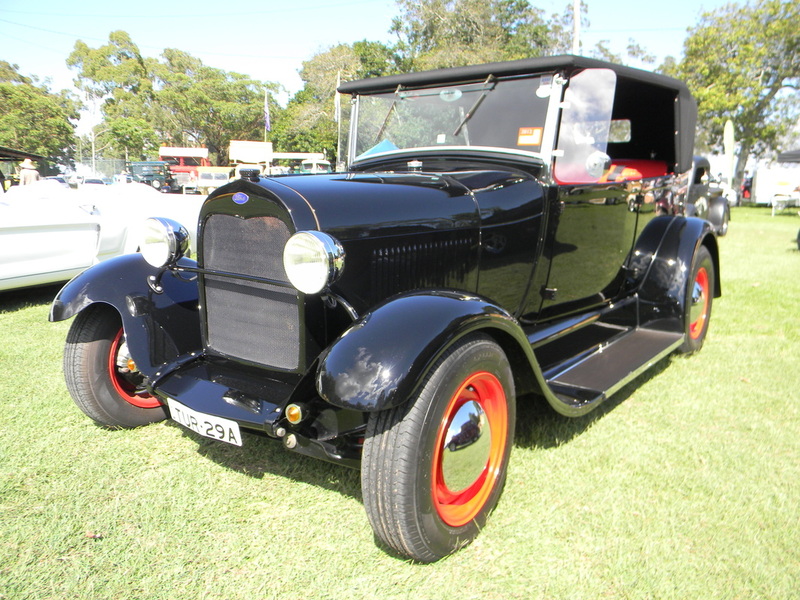 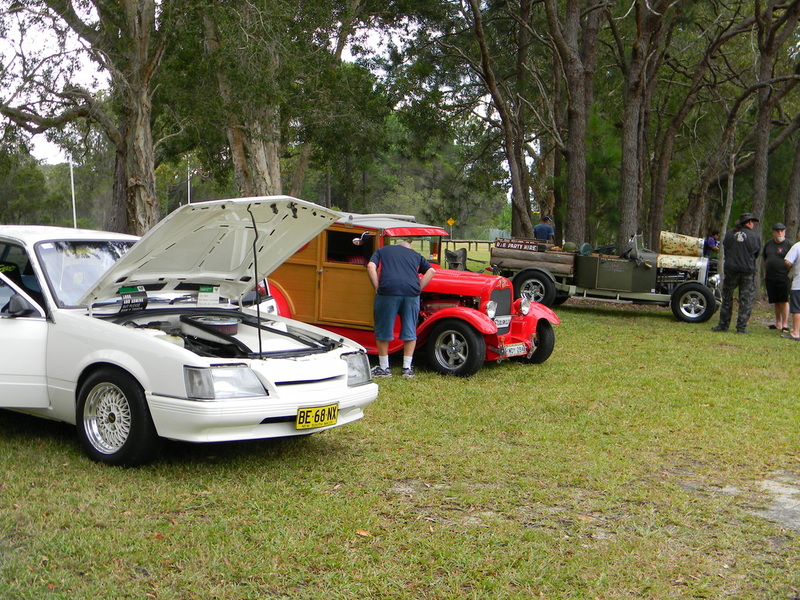 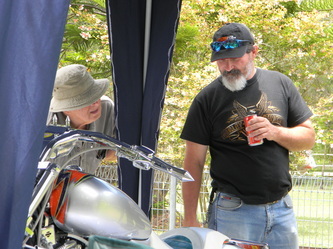 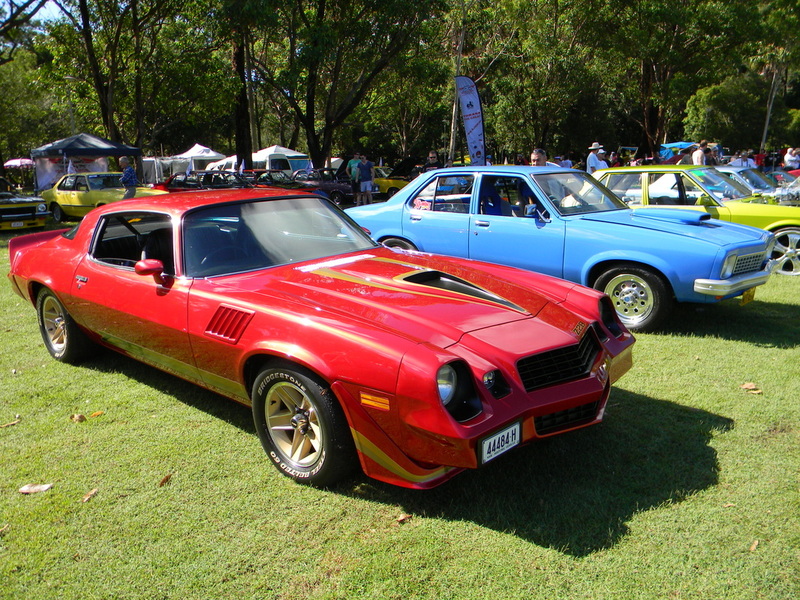 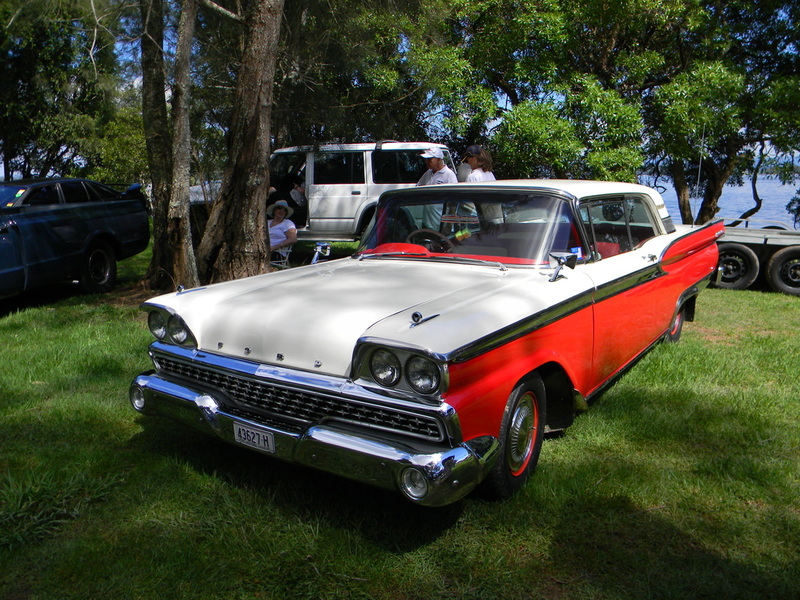 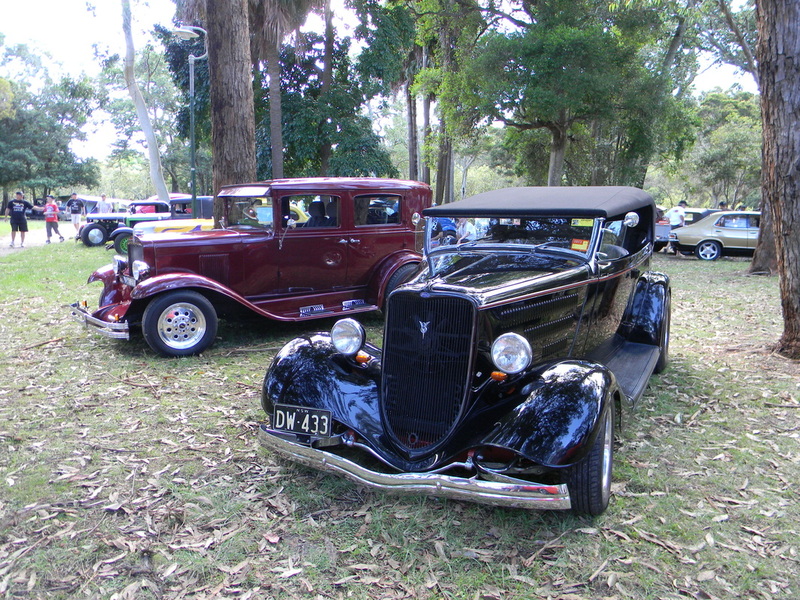 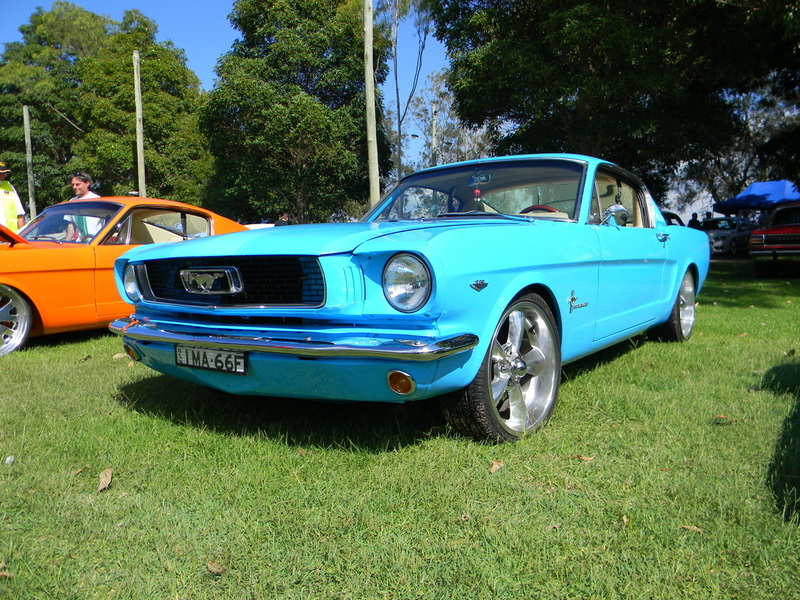 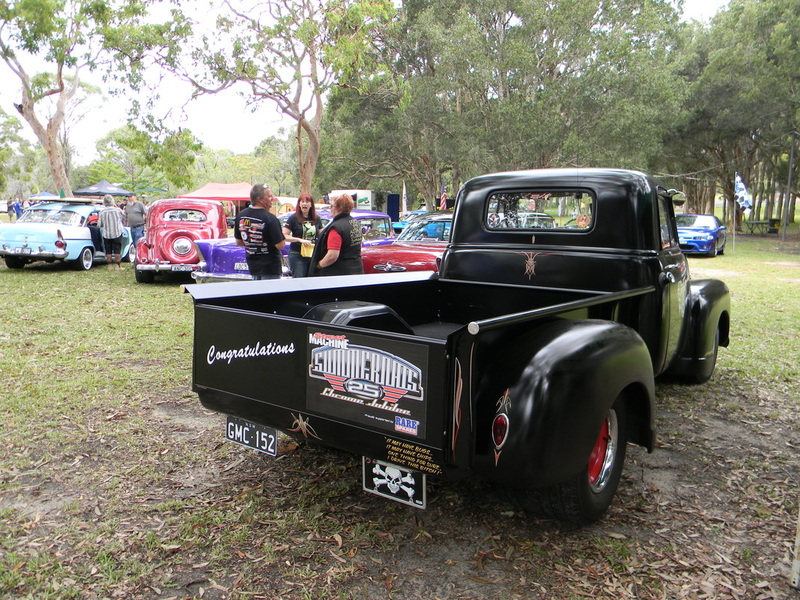 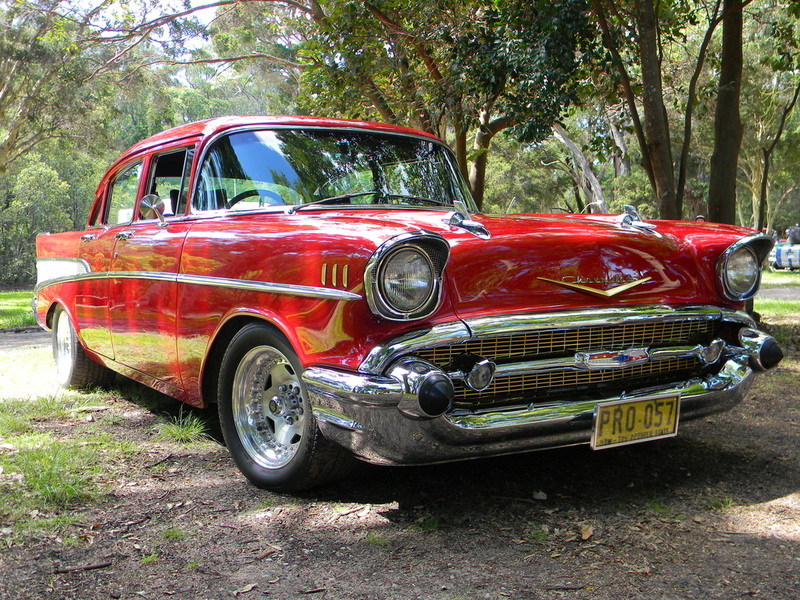 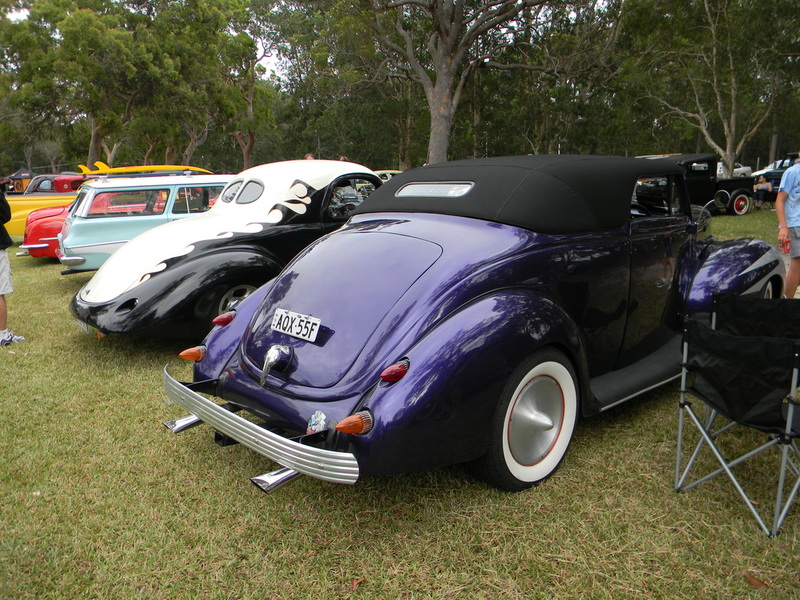 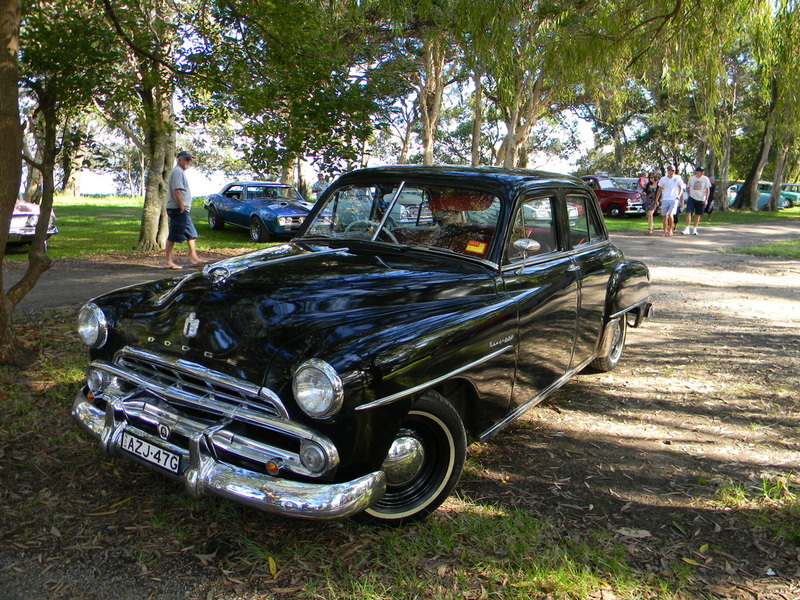 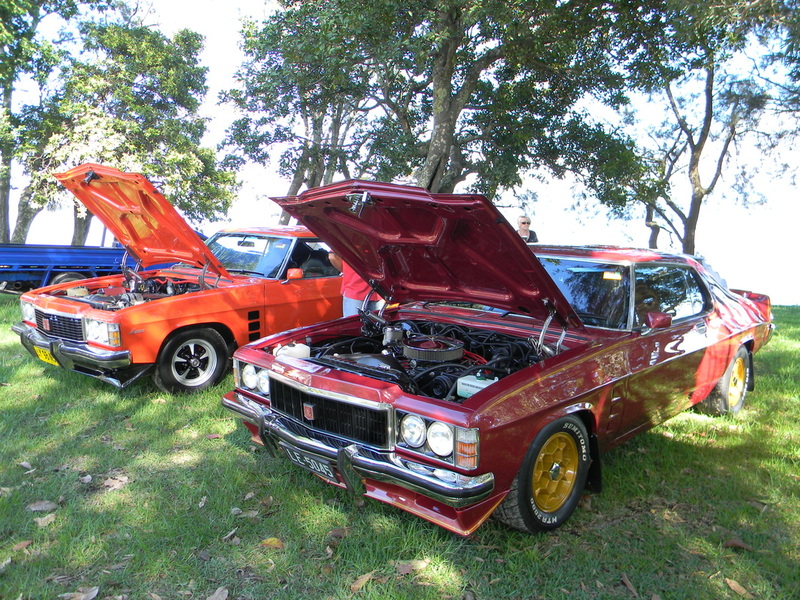 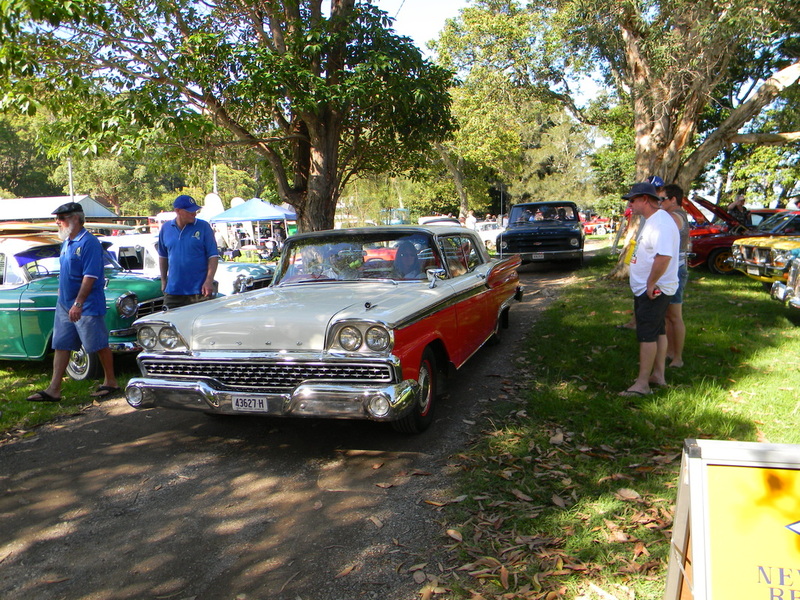 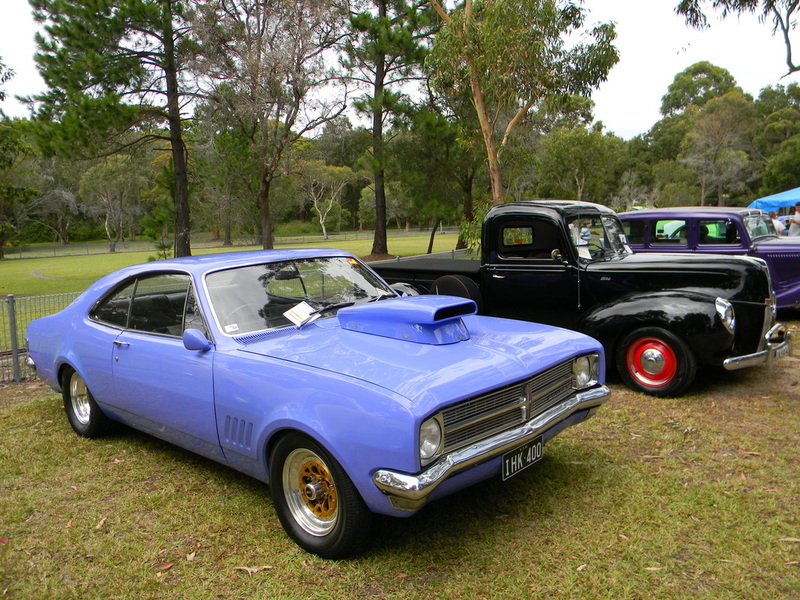 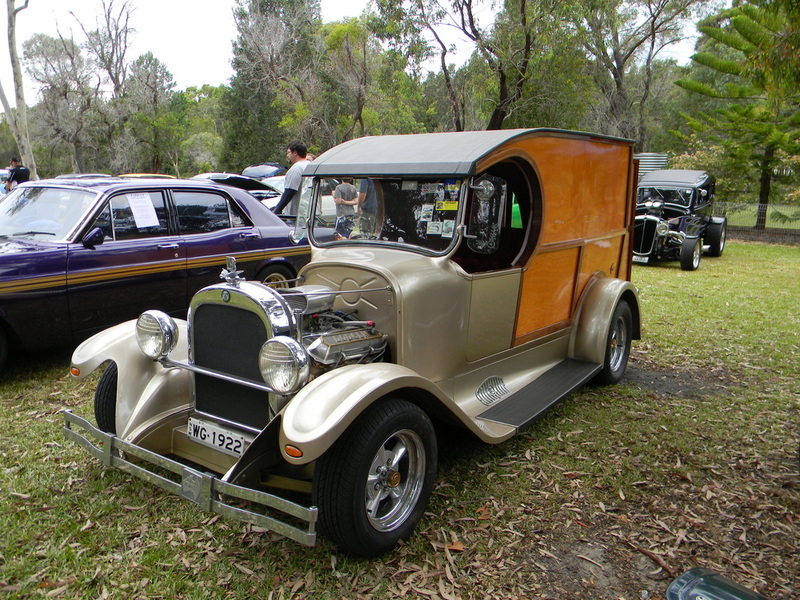 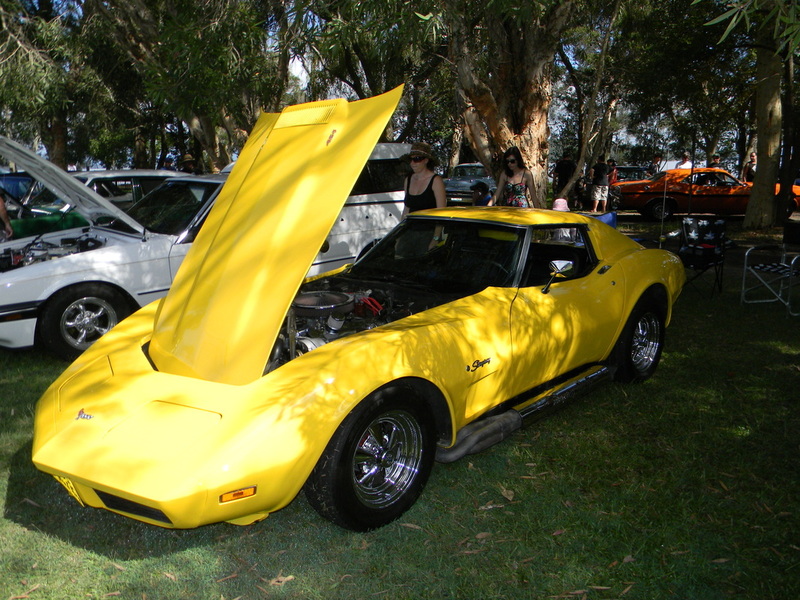 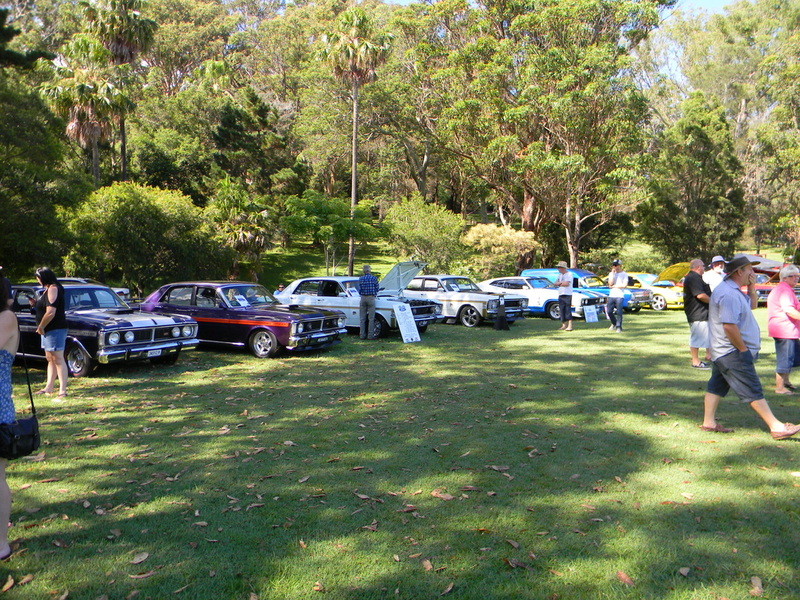 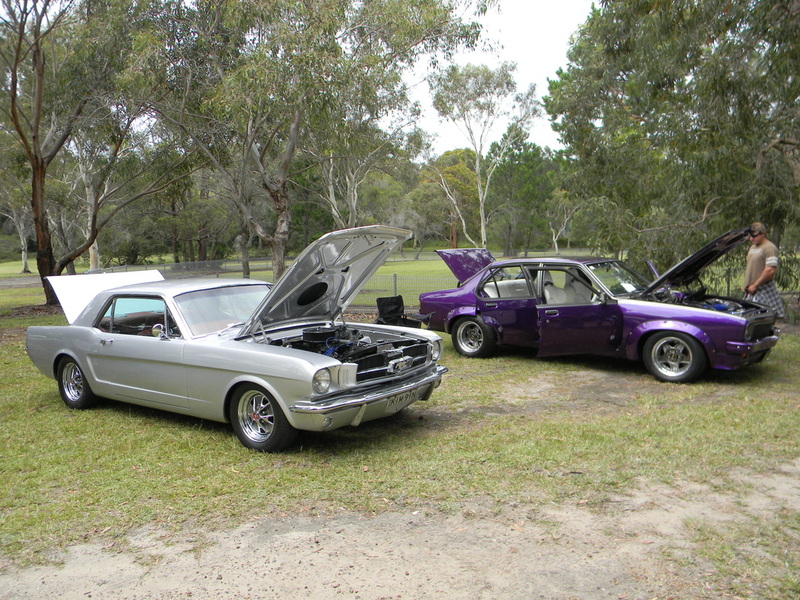 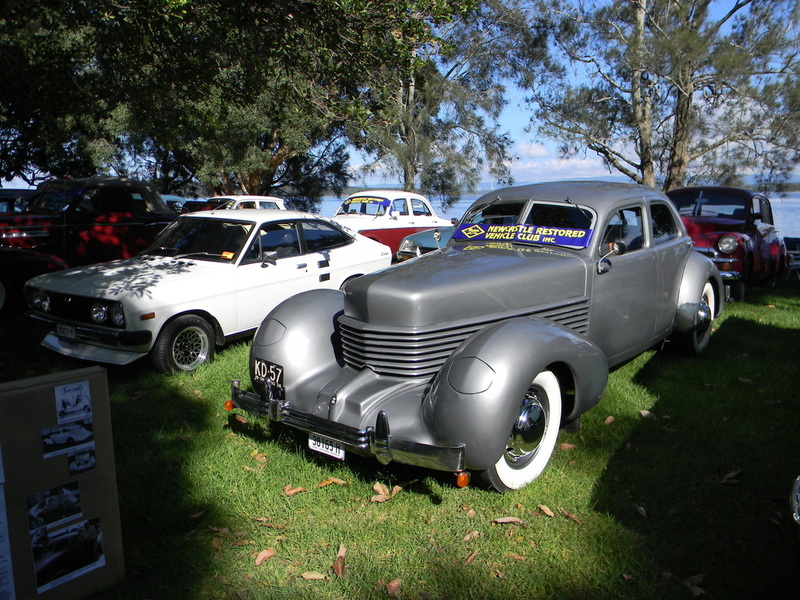 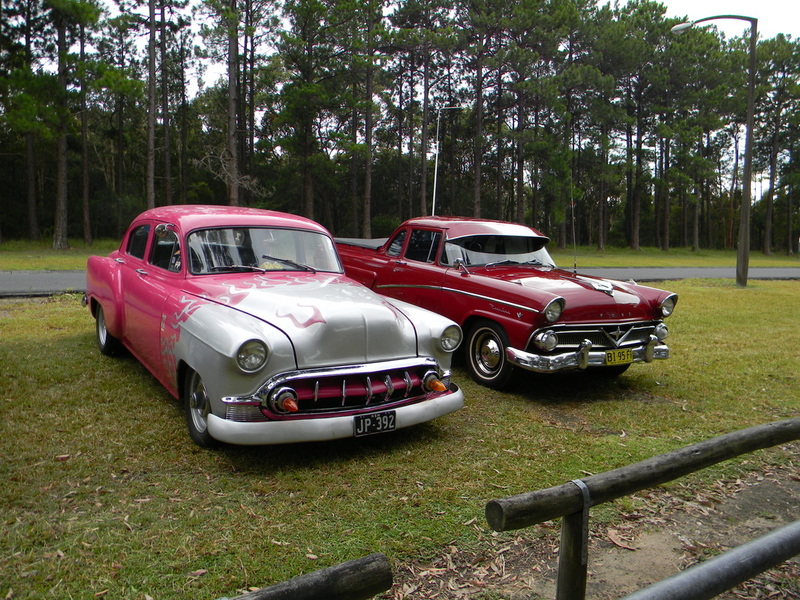 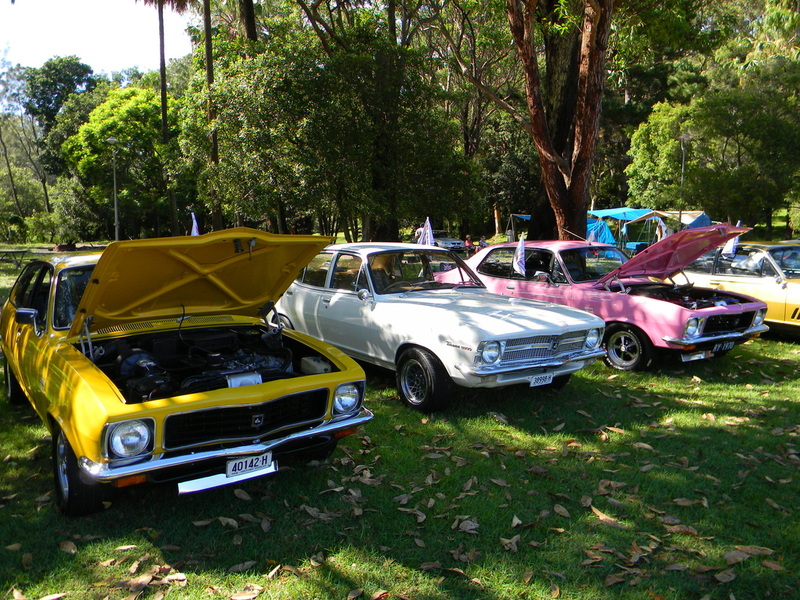 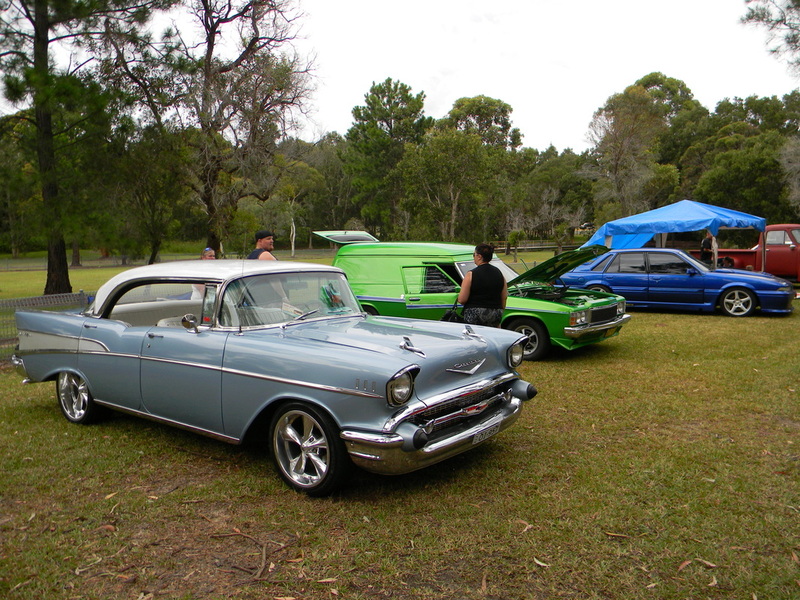 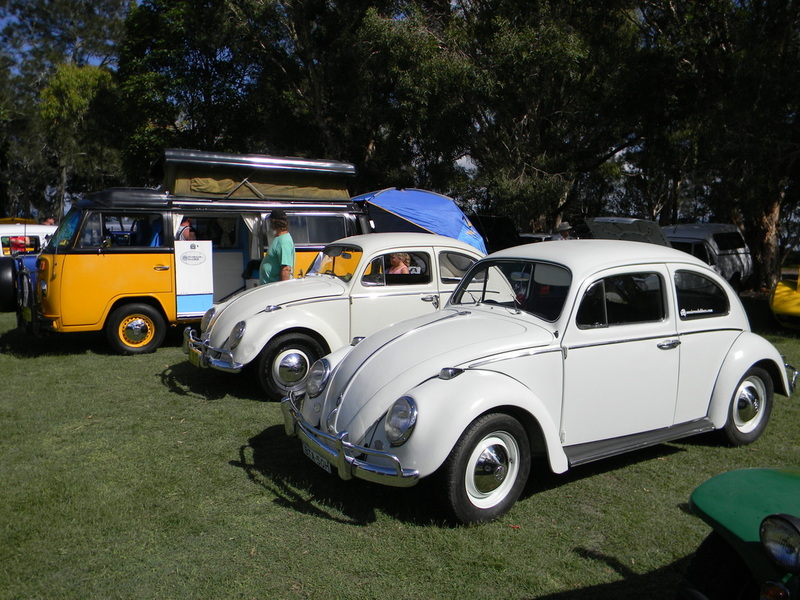 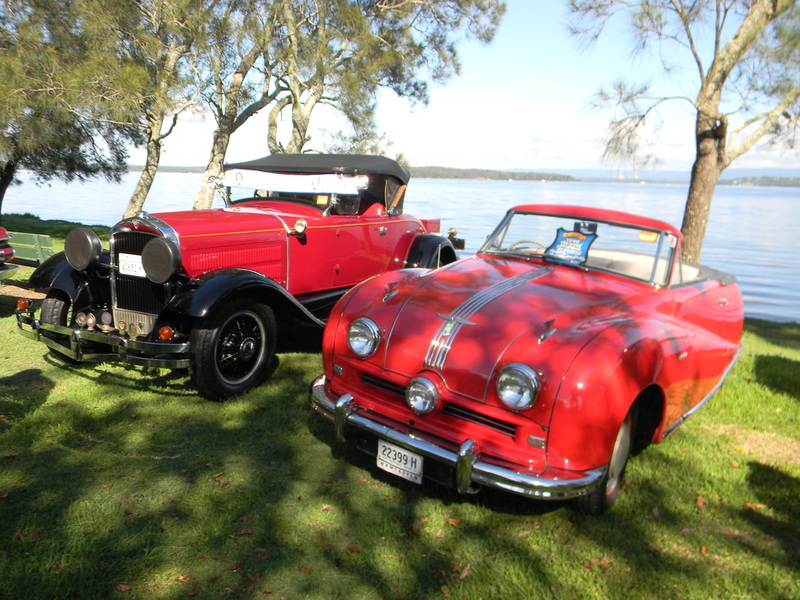 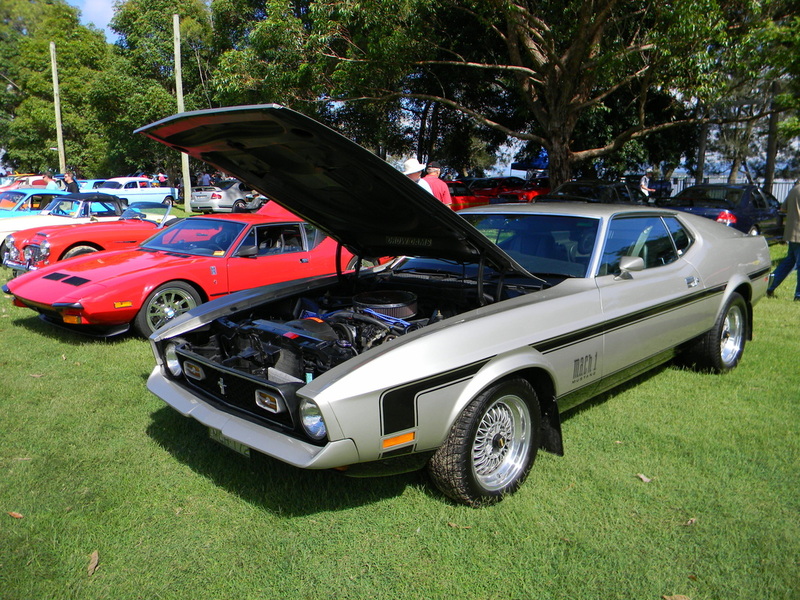 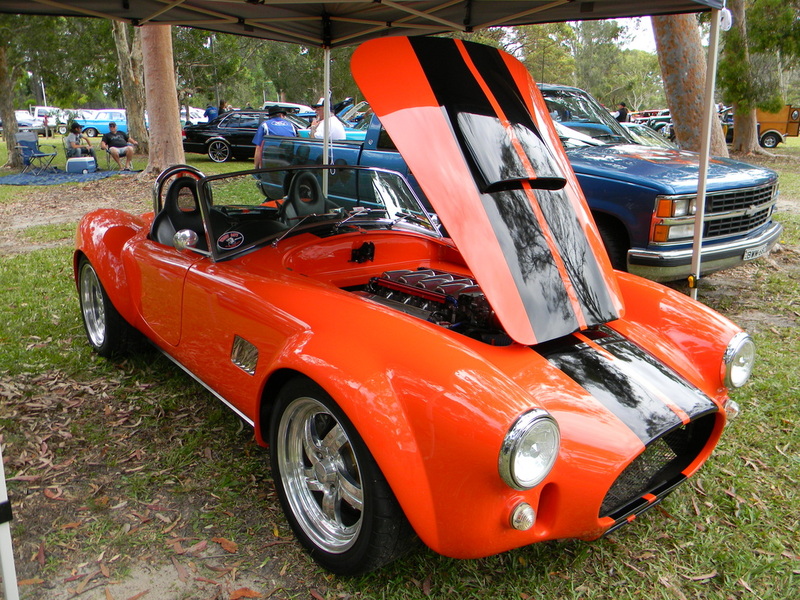 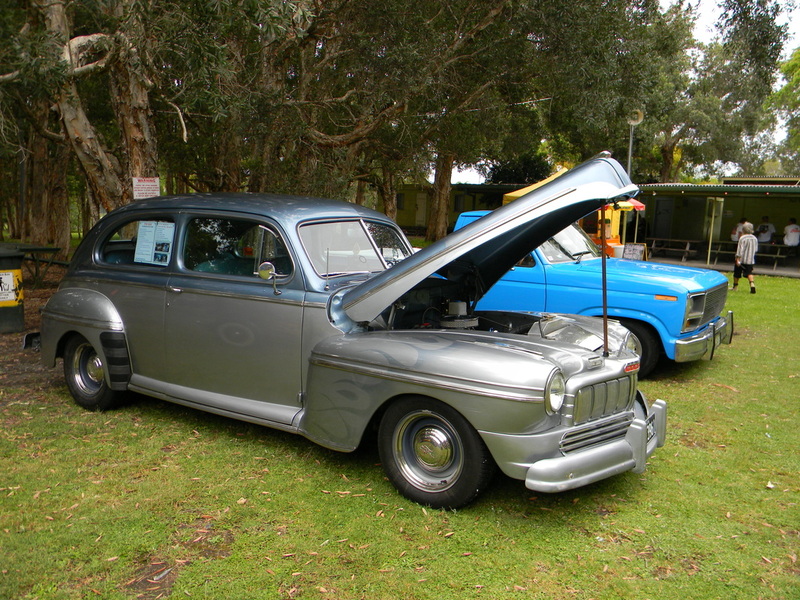 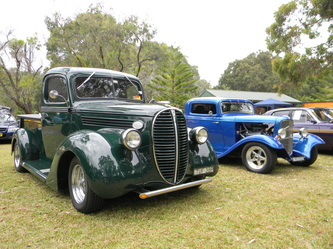 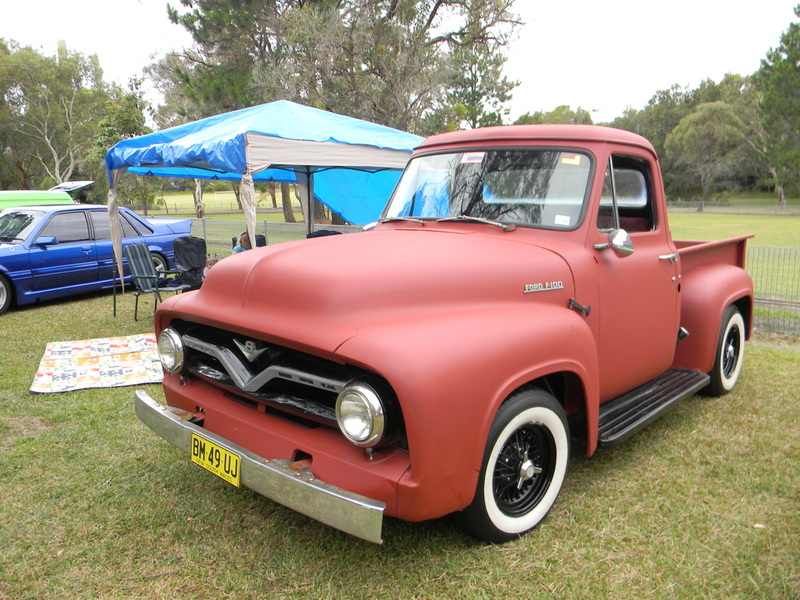 This event held on the 1st Saturday of each month is a great way to catch up with friends and meet new people who have a common love of all types of Motor Vehicles. 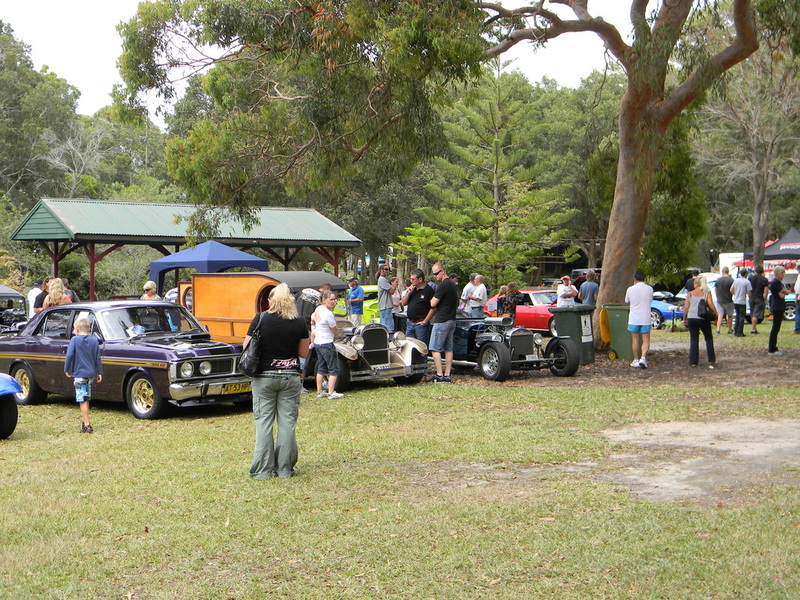 If the numbers keep increasing the organisers will need to find a bigger parking area with more food outlets. The 5th February 2012 saw us attending another M.A.D. 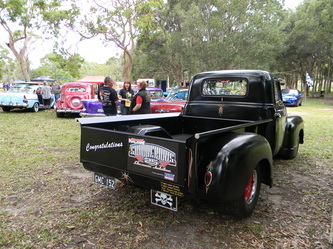 with this years numbers well ahead of last years event. 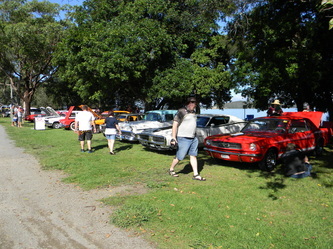 Fine weather after a week of rain brought all the vehicles out of their garages and it was a great event. 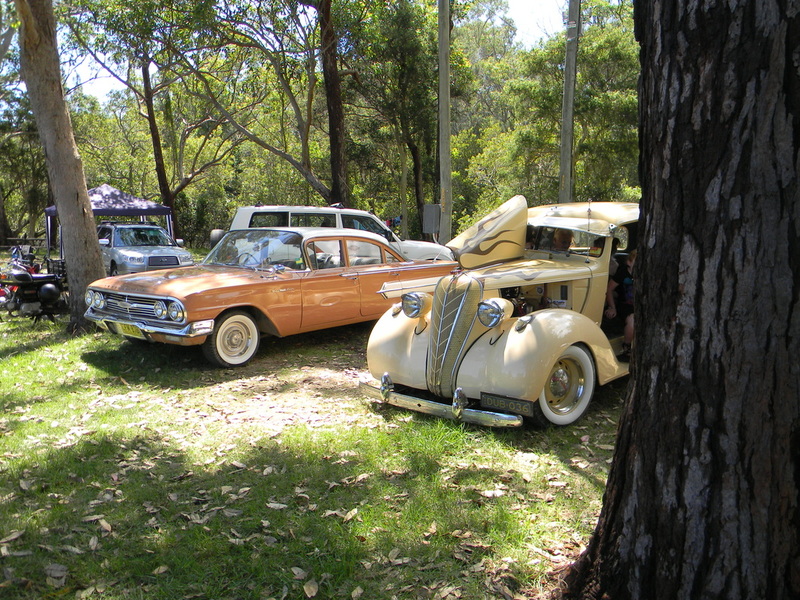 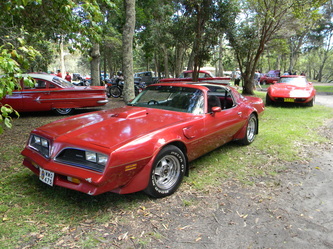 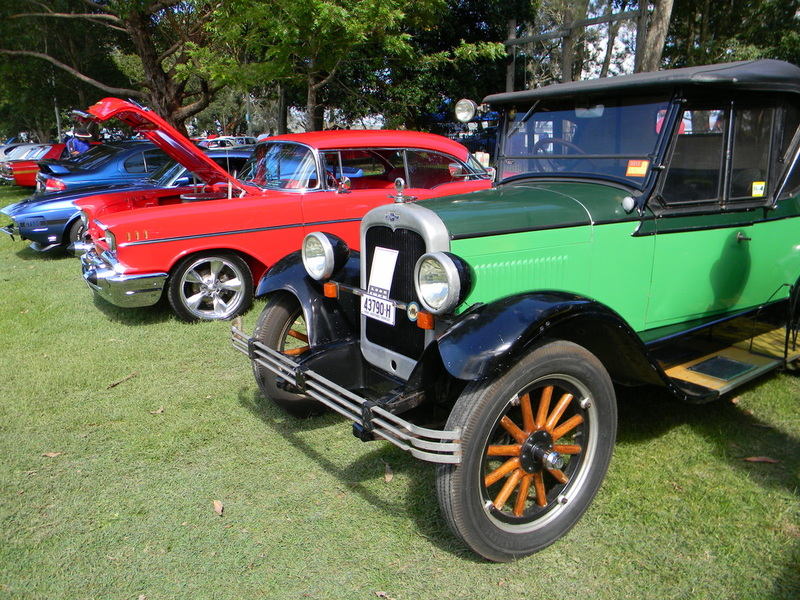 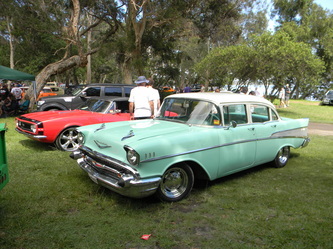 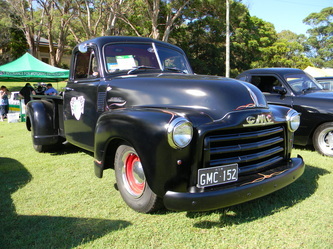 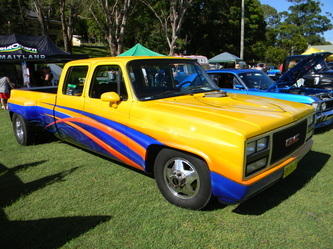 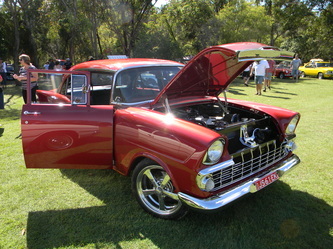 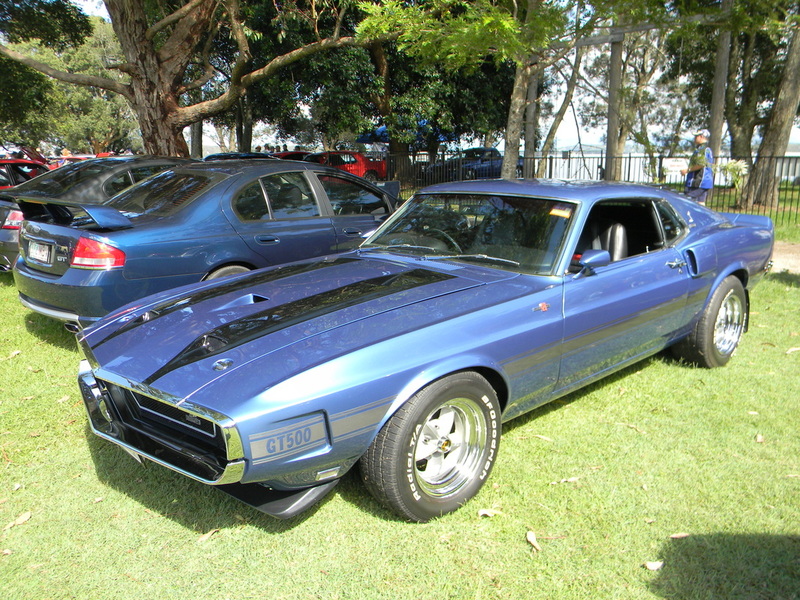 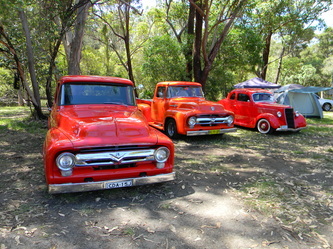 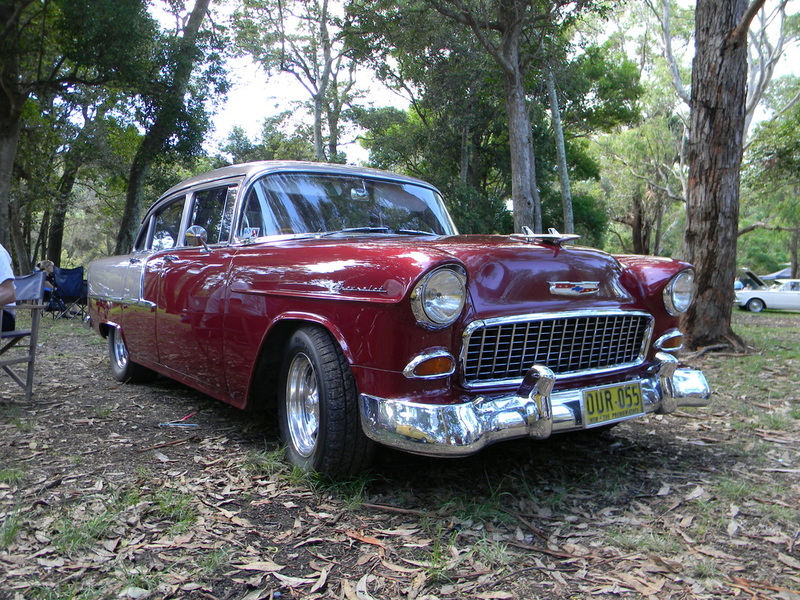 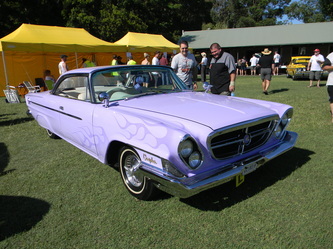 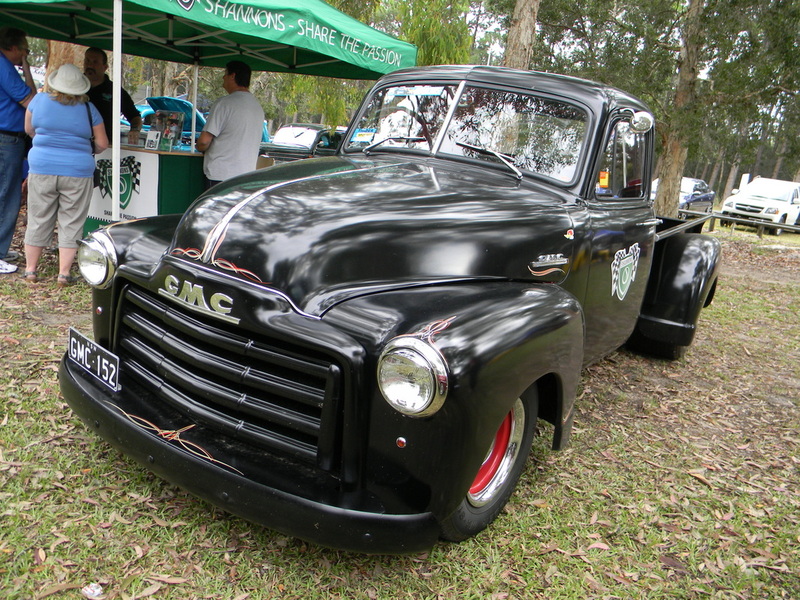 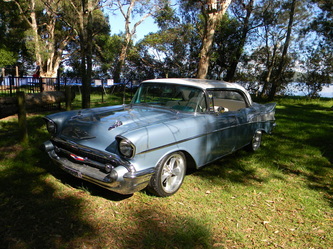 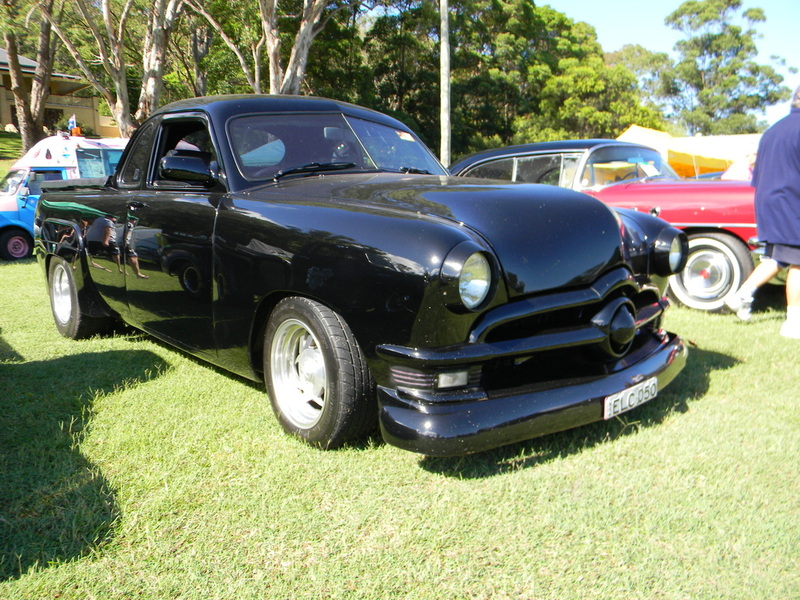 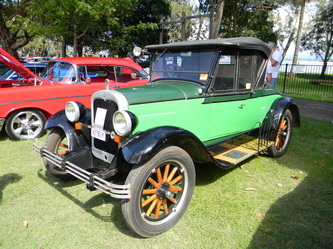 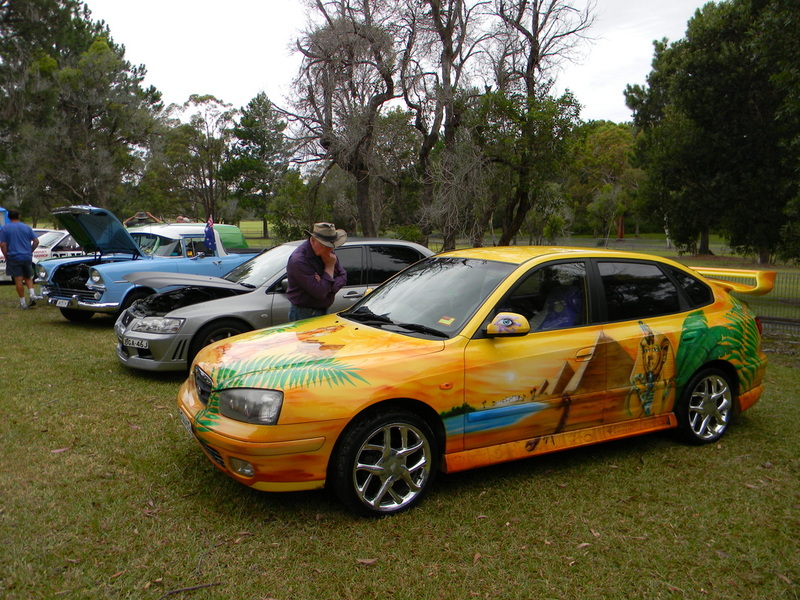 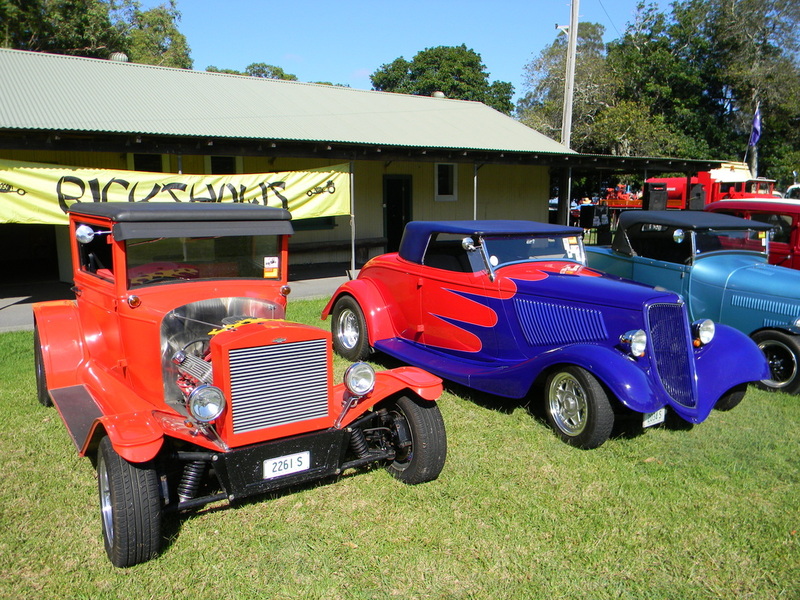 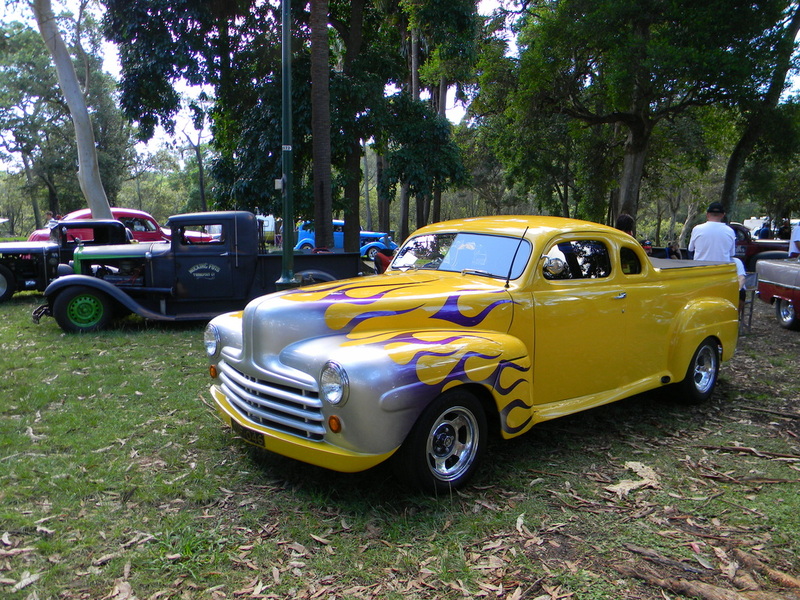 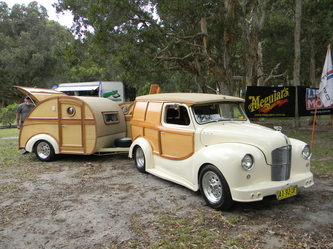 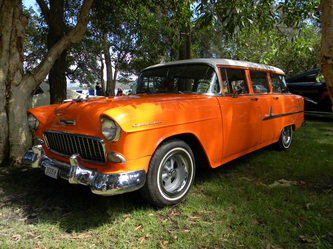 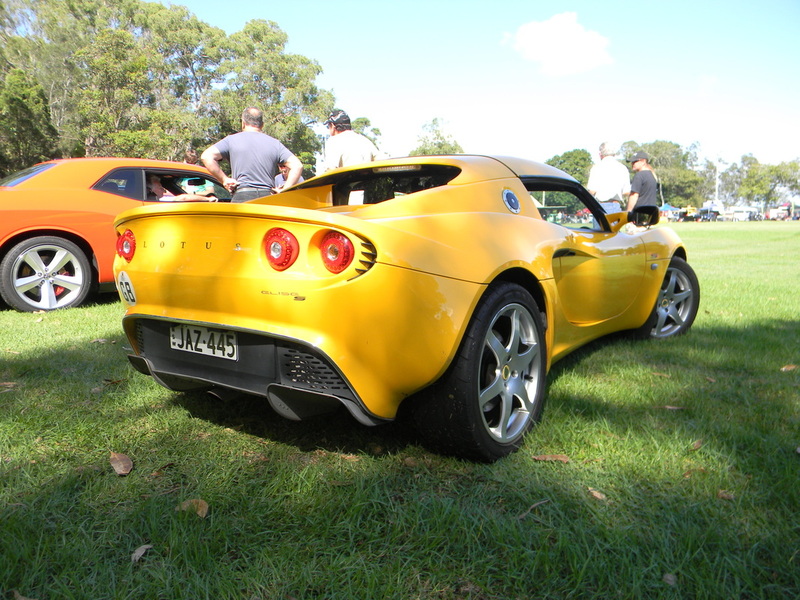 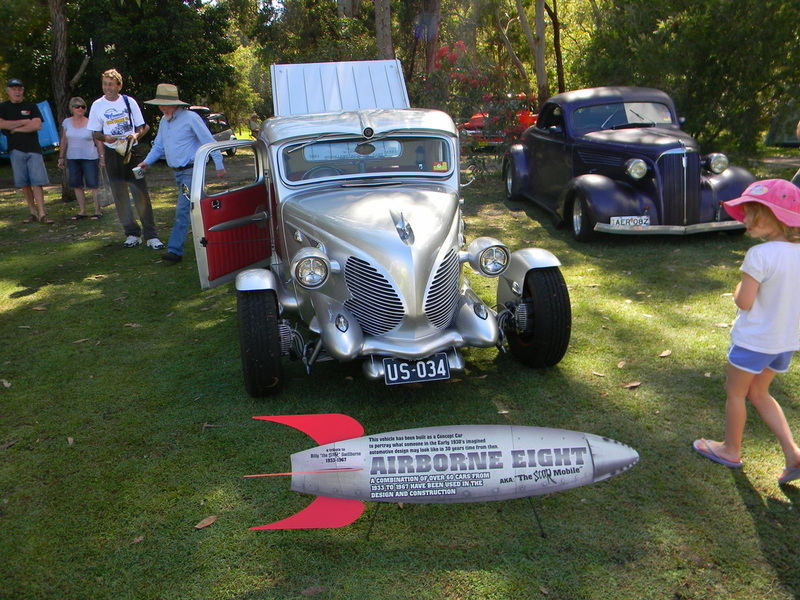 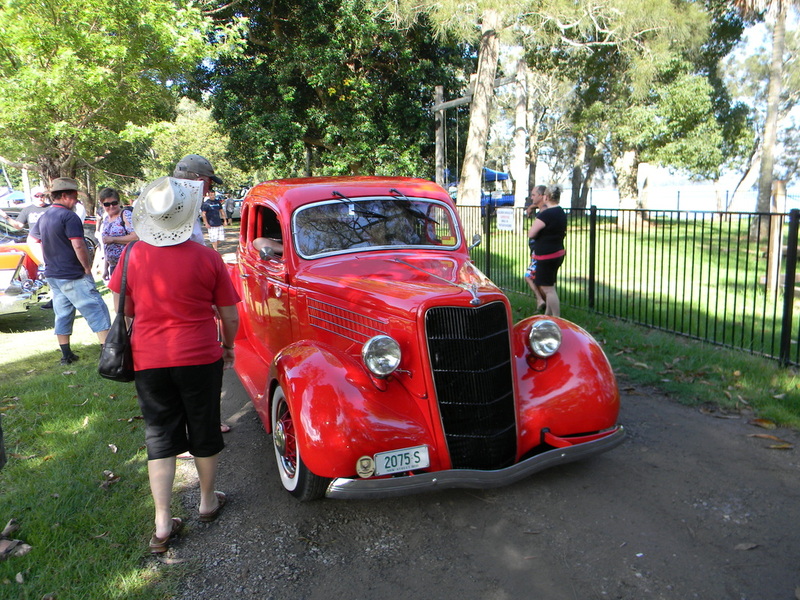 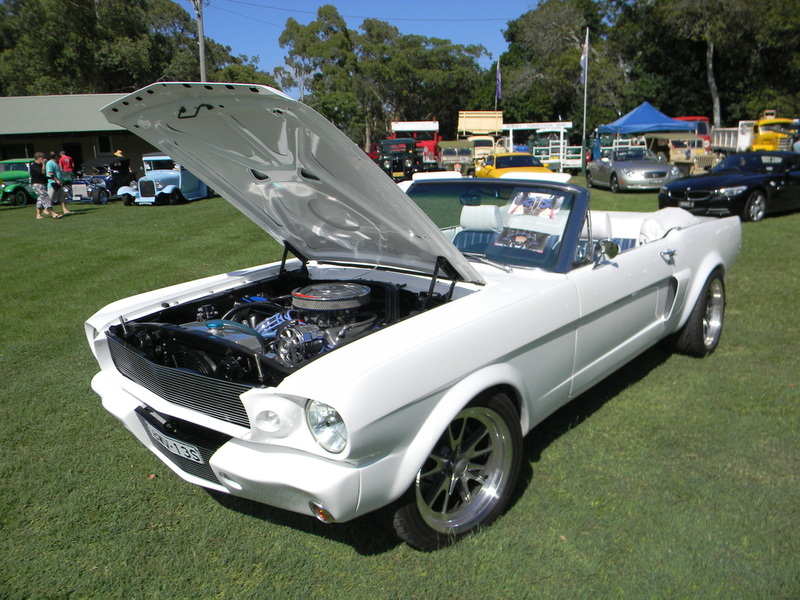 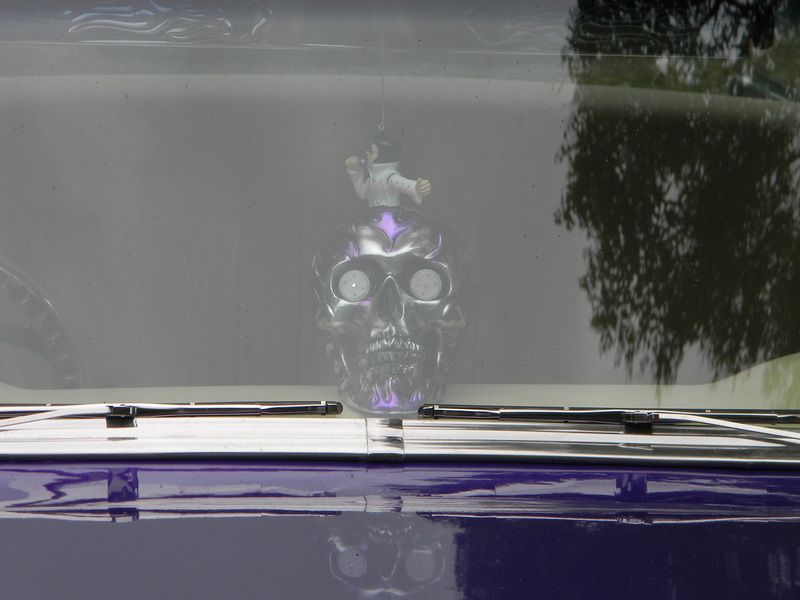 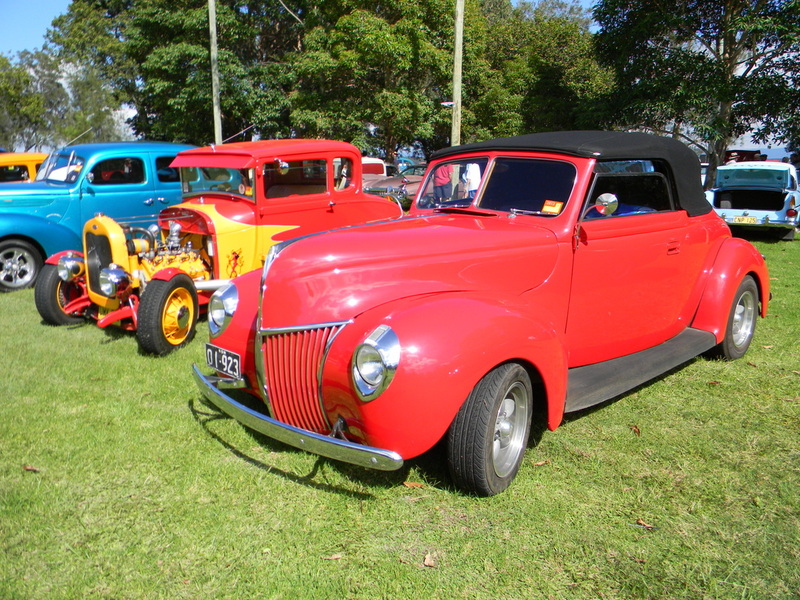 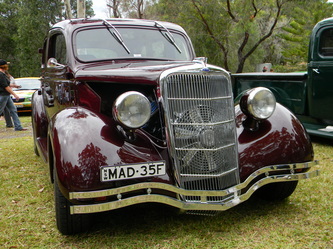 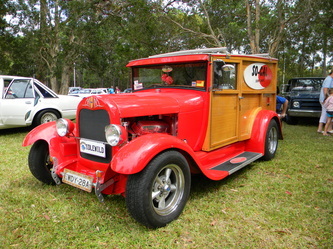 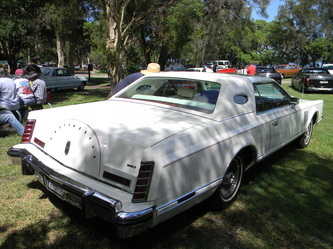 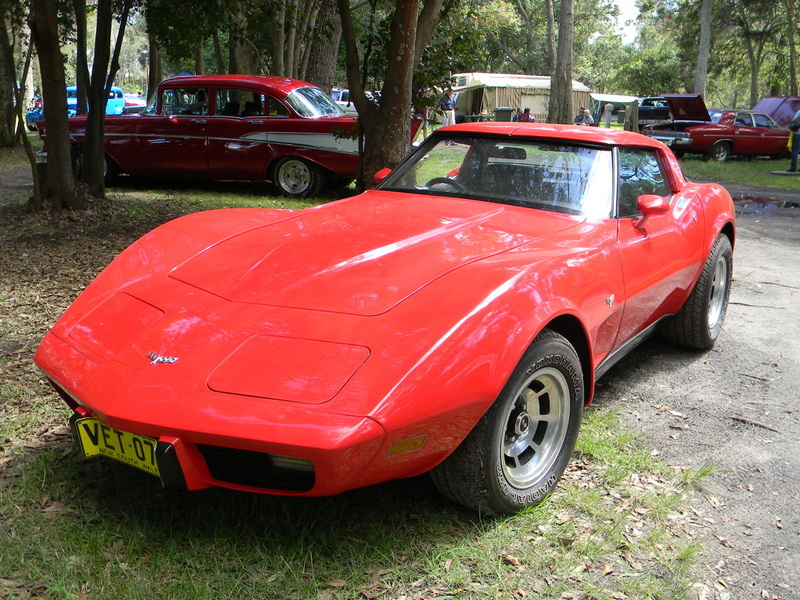 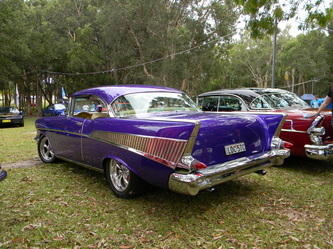 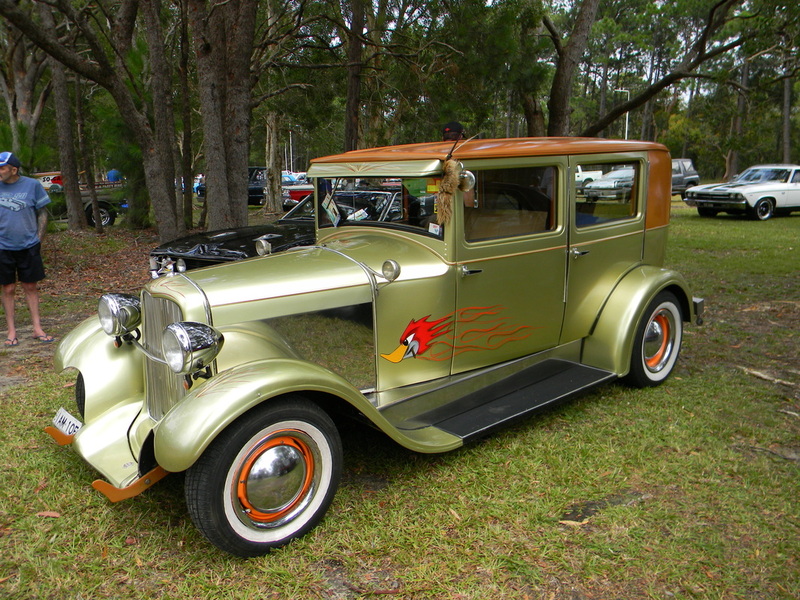 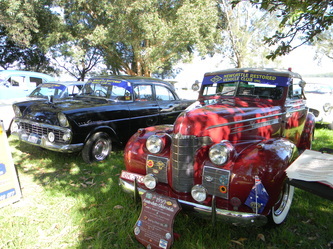 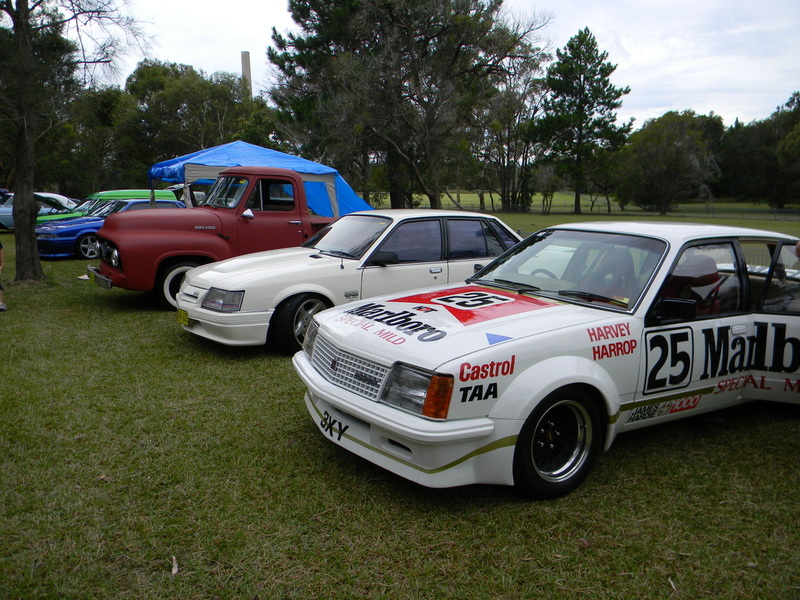 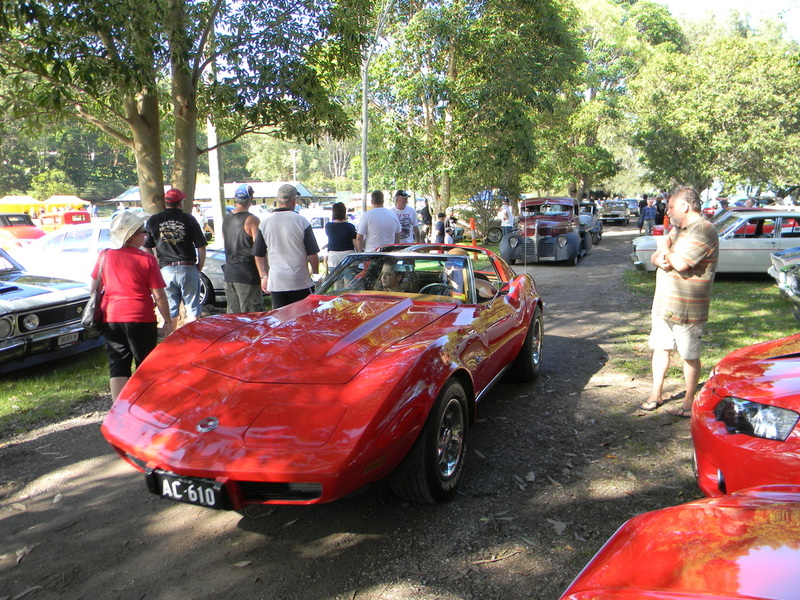 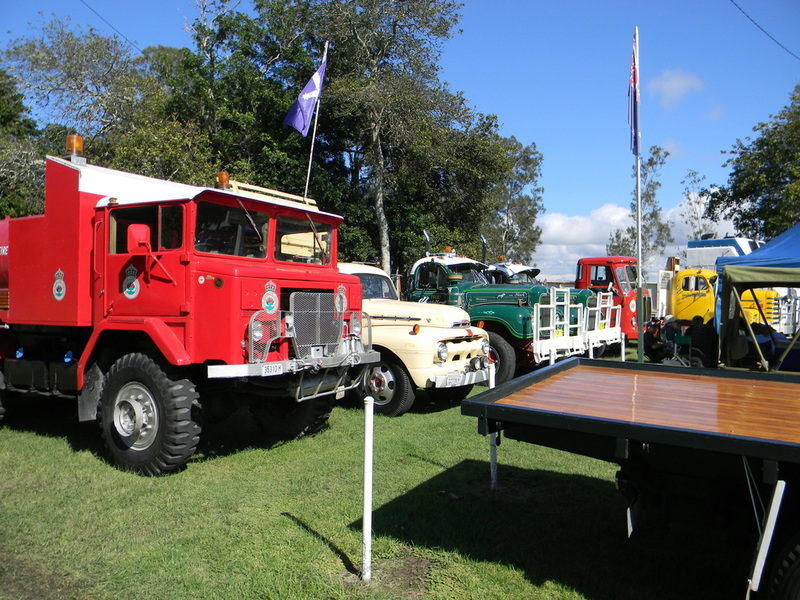 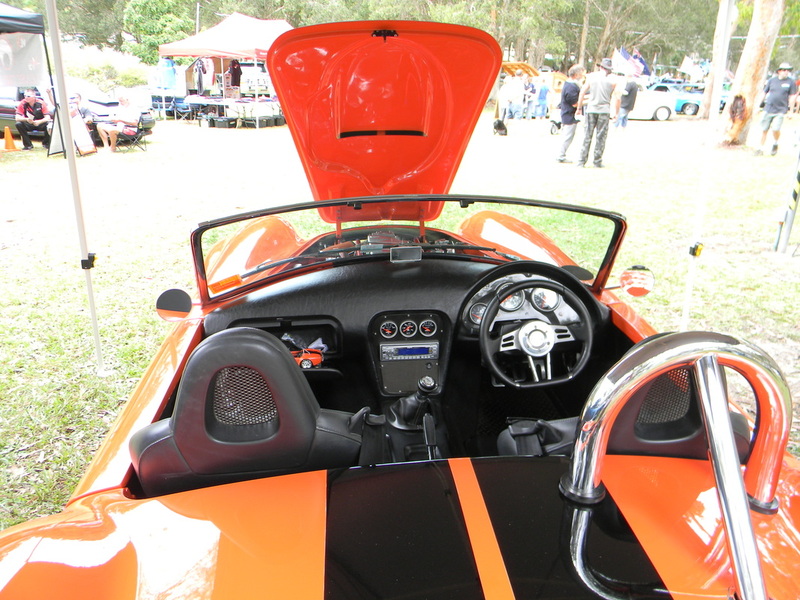 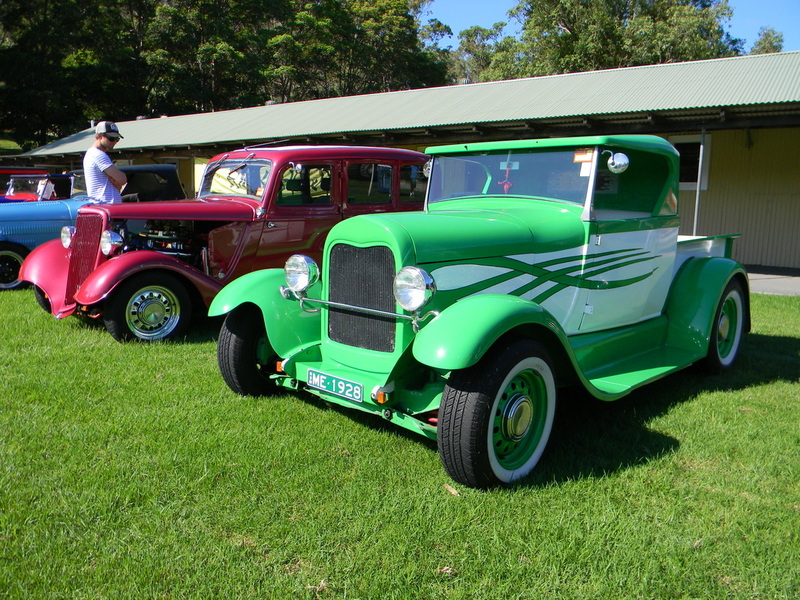 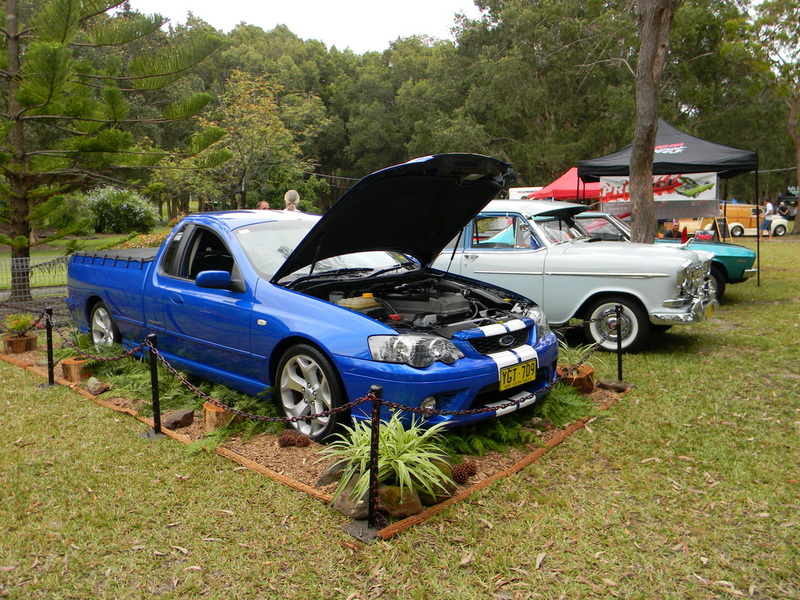 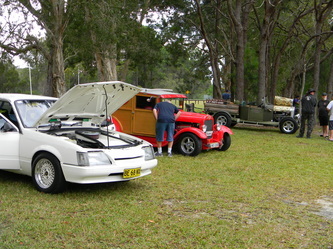 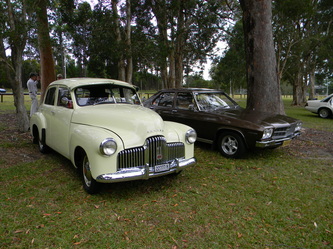 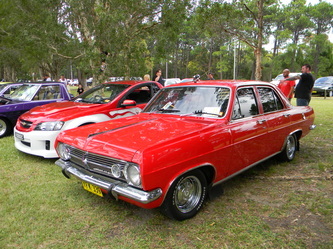 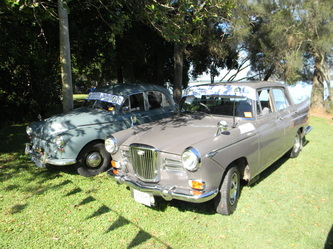 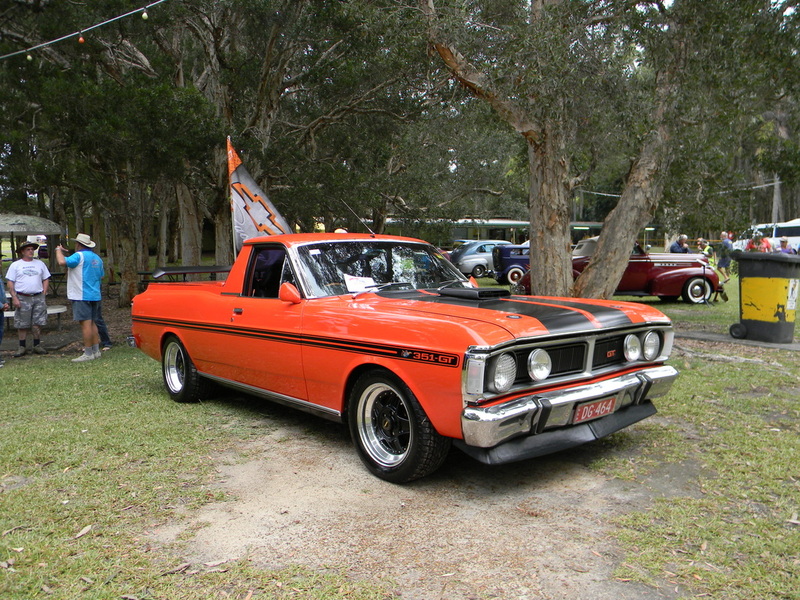 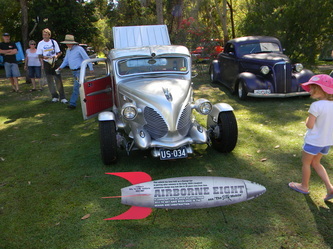 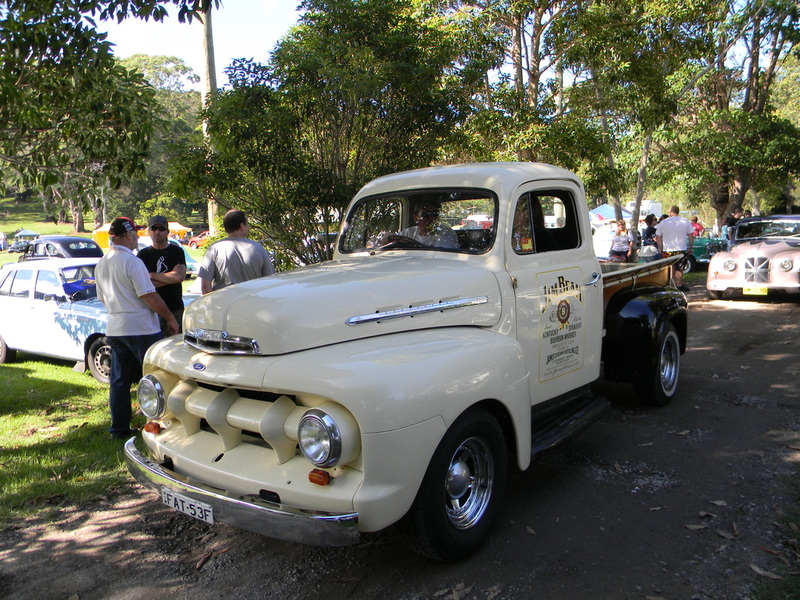 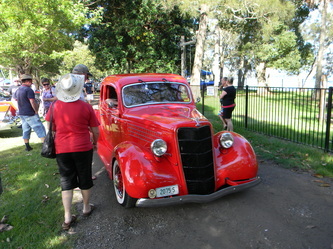 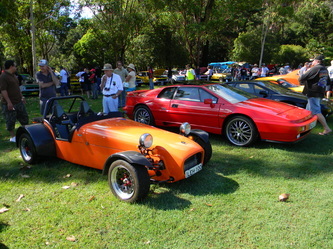 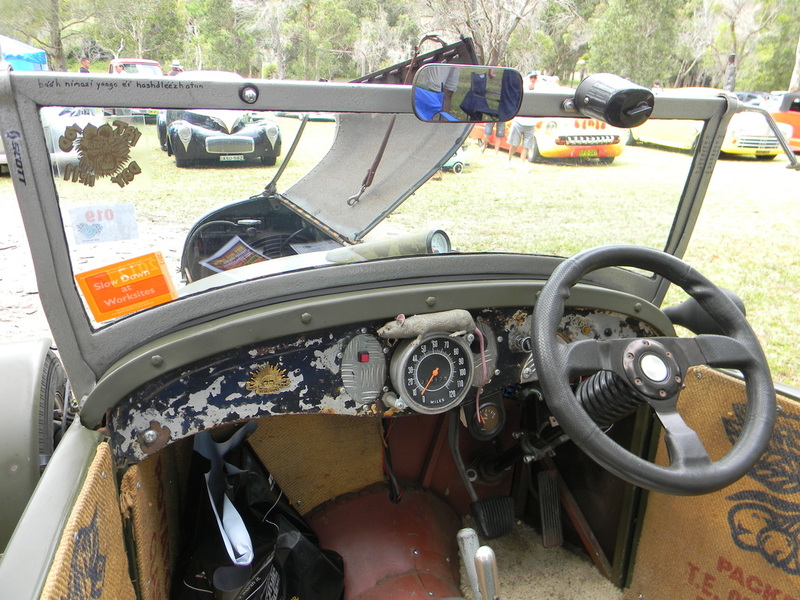 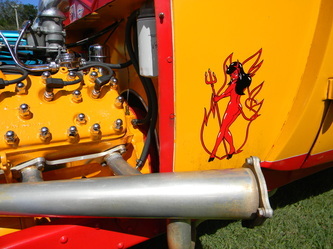 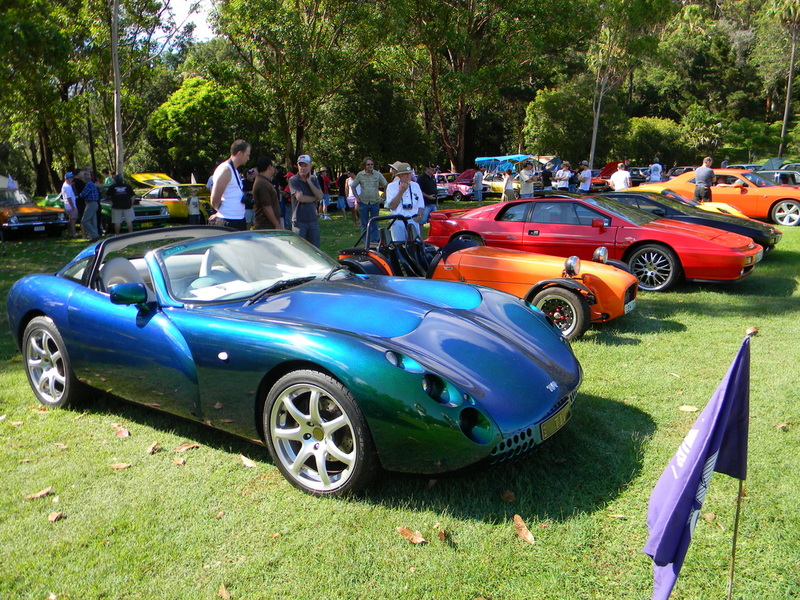 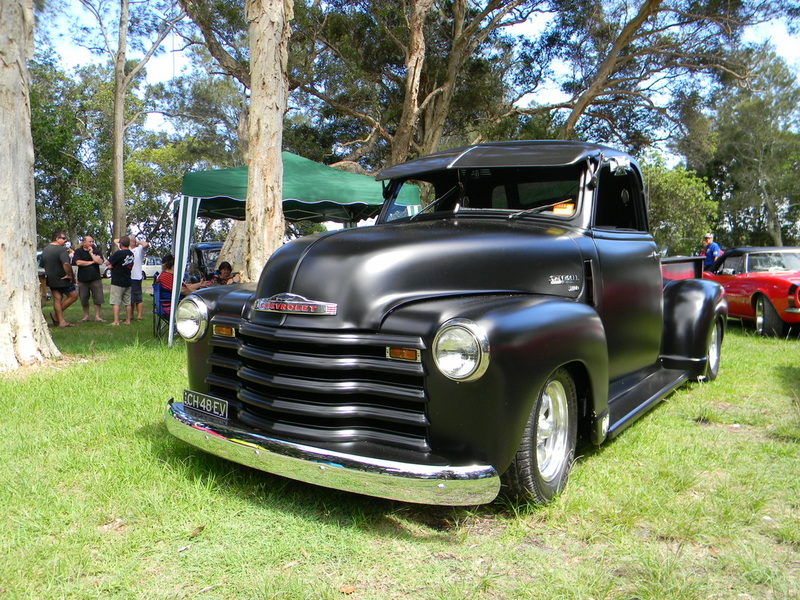 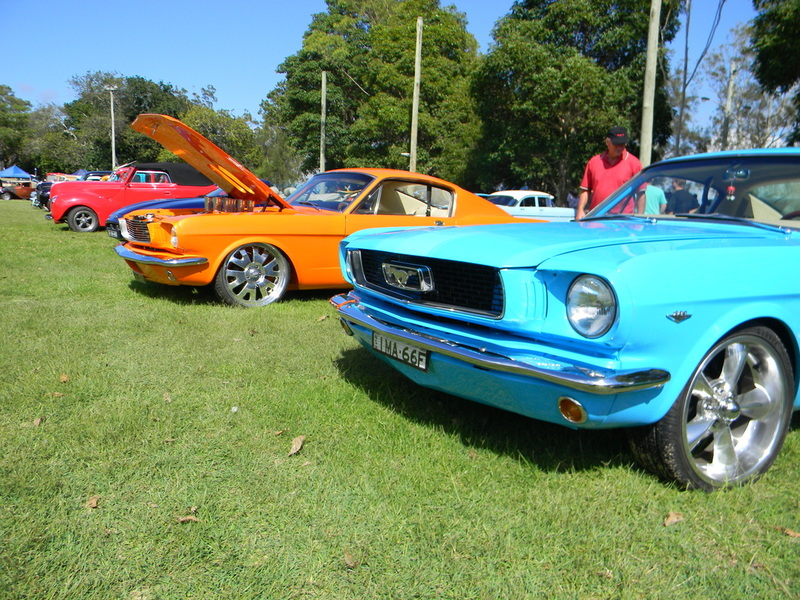 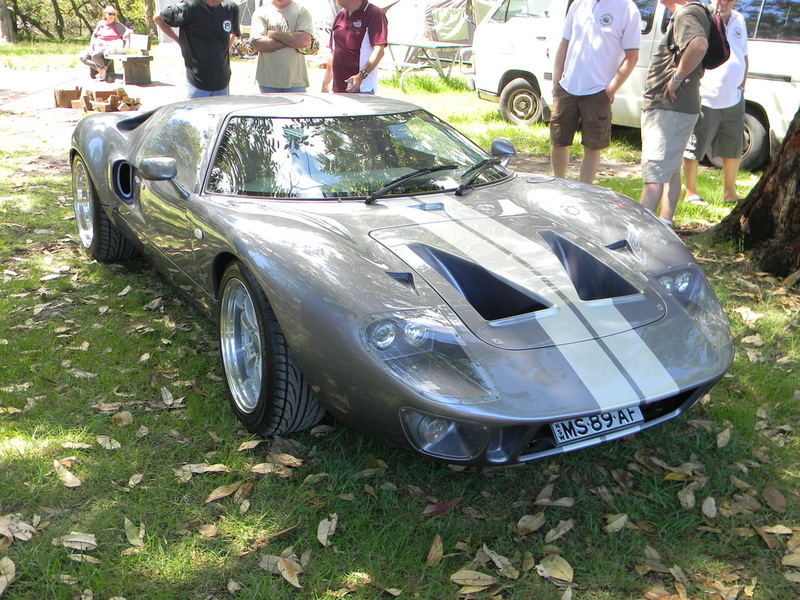 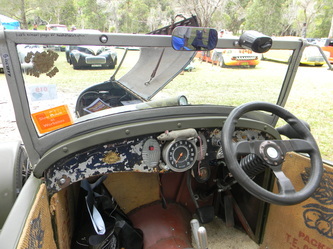 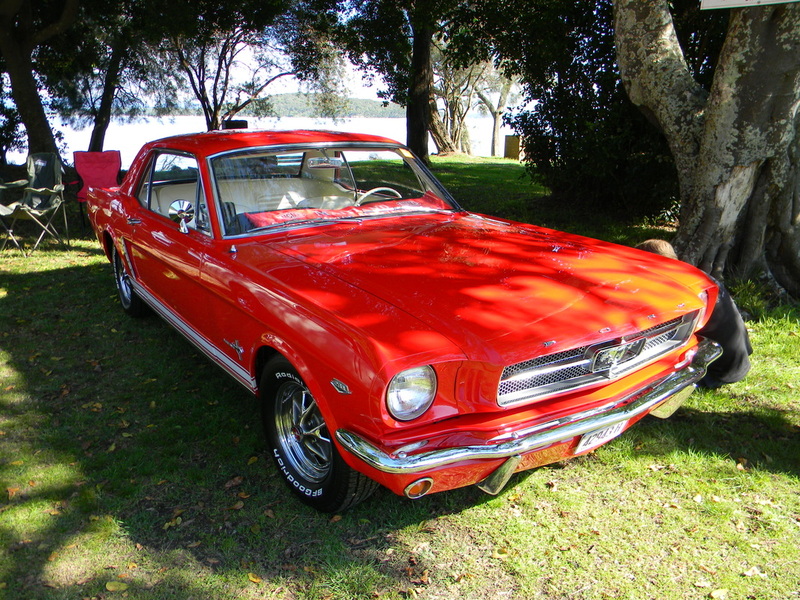 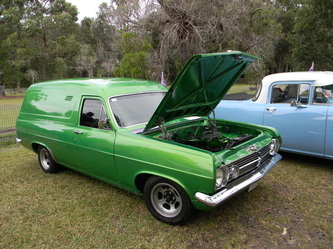 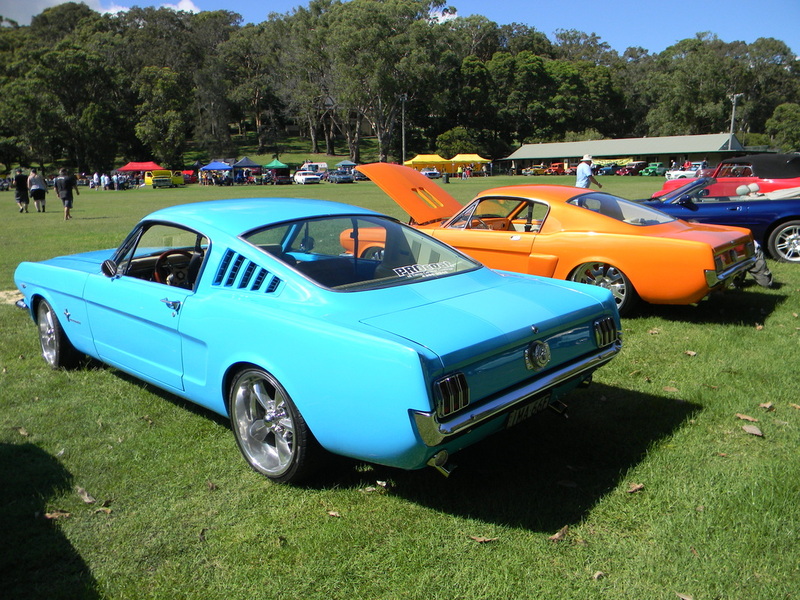 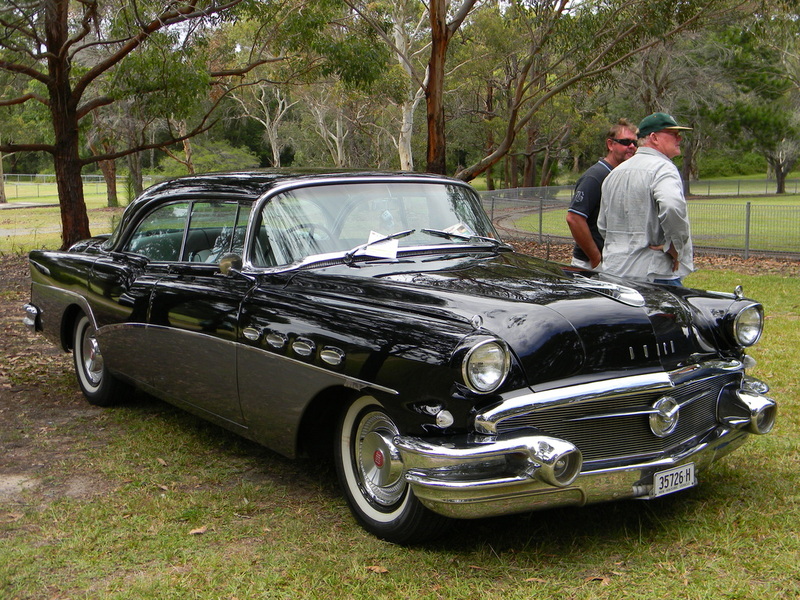 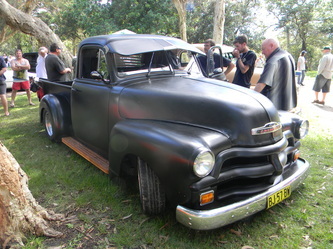 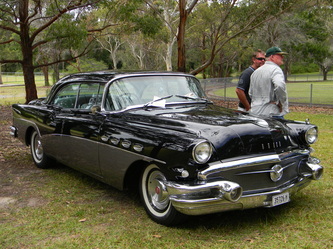 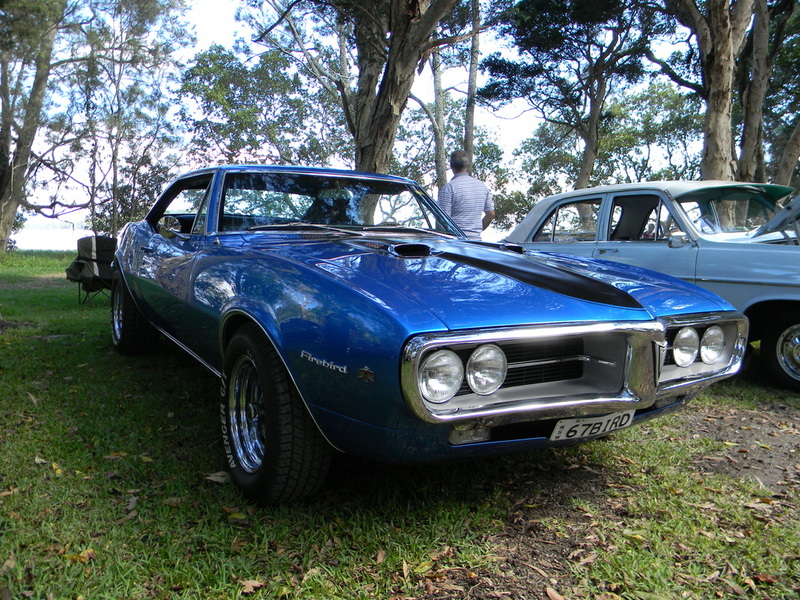 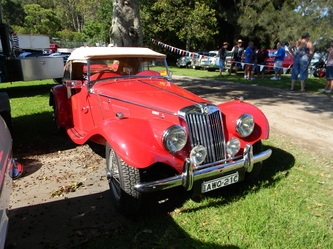 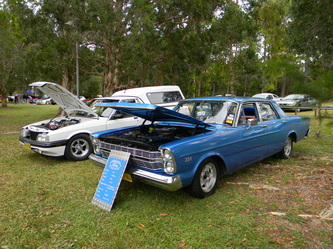 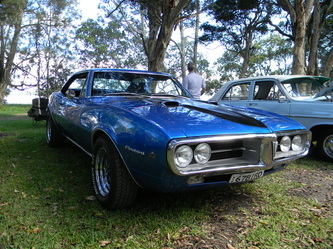 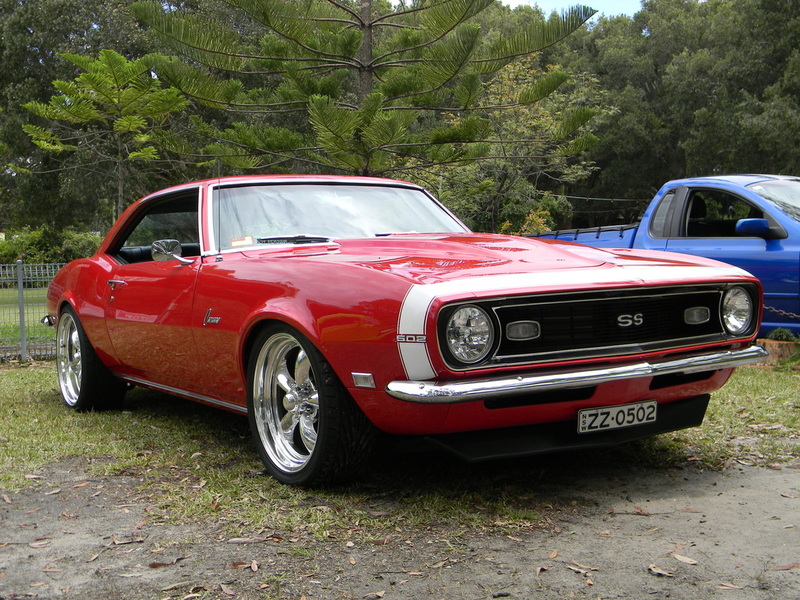 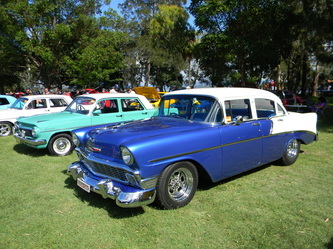 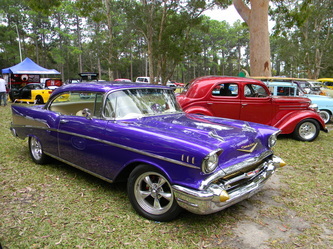 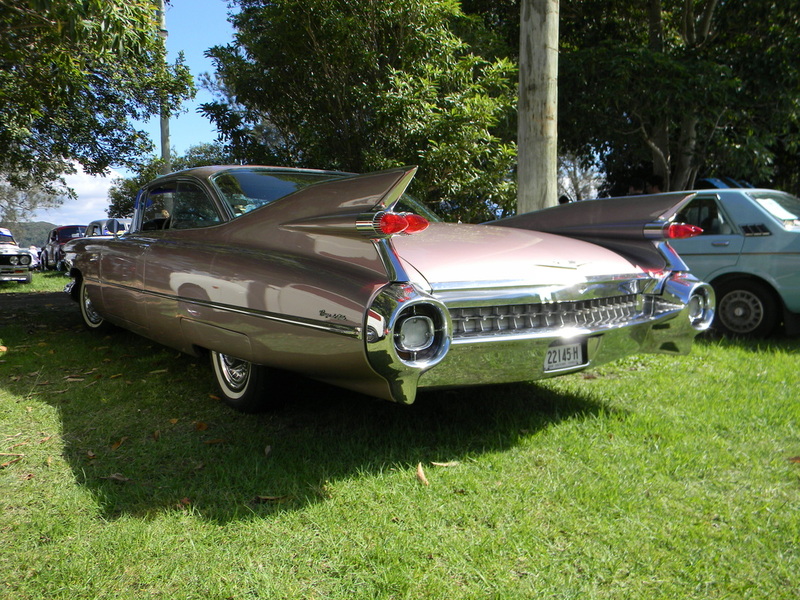 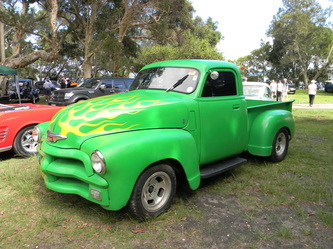 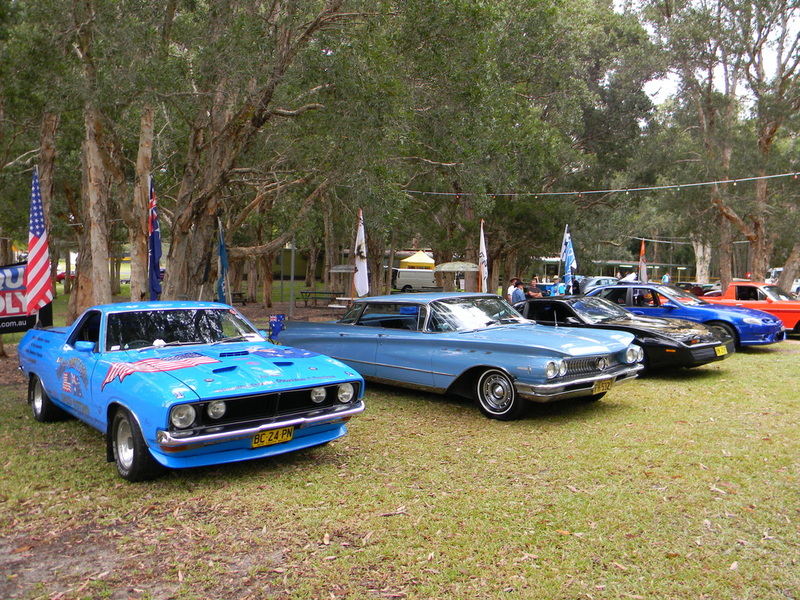 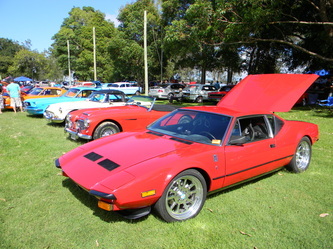 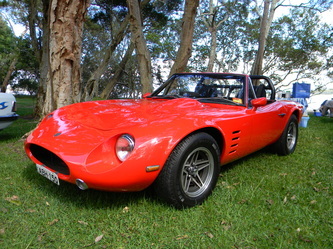 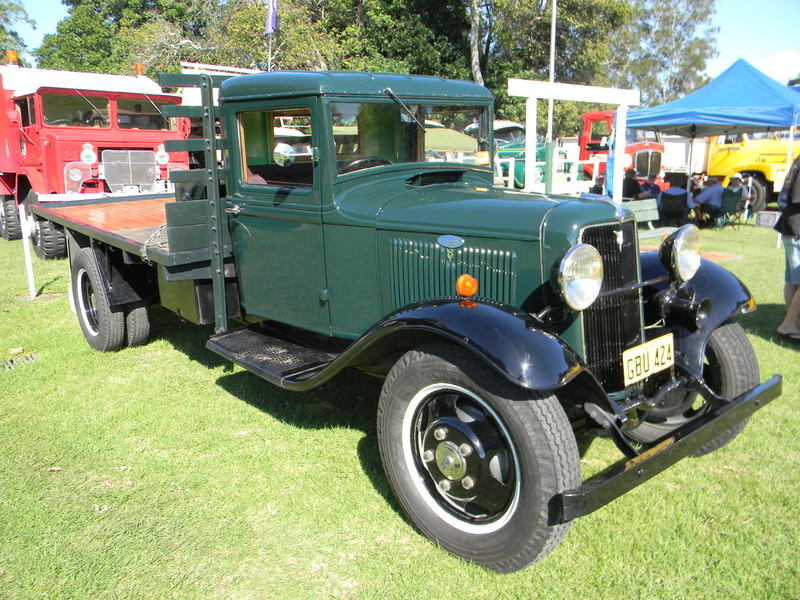 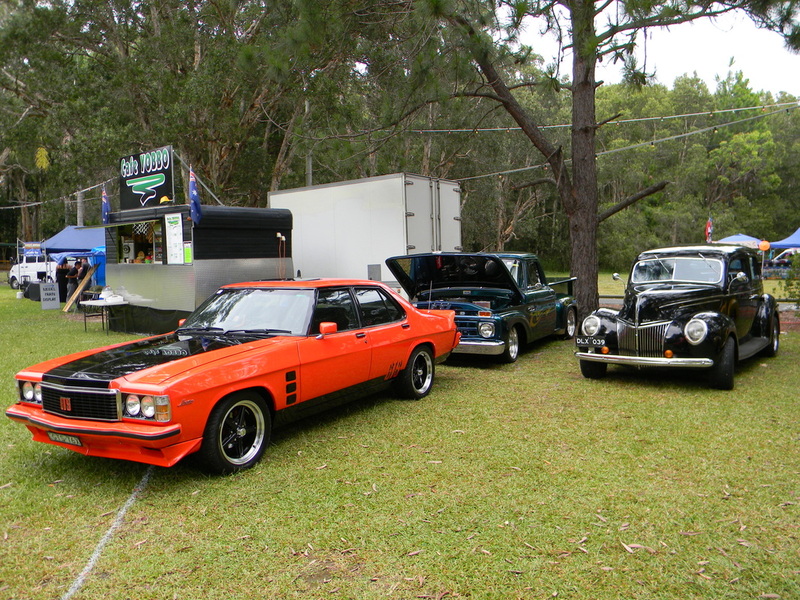 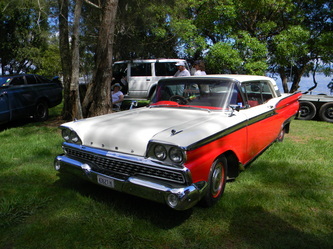 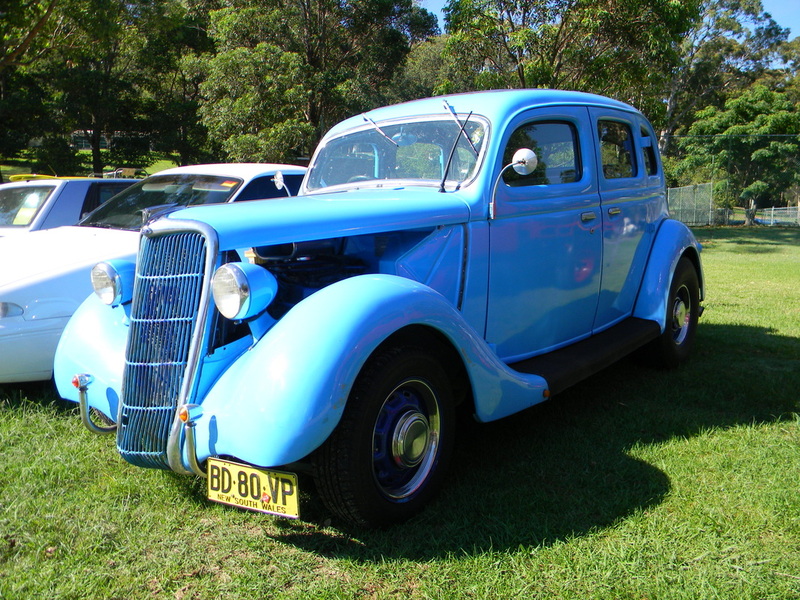 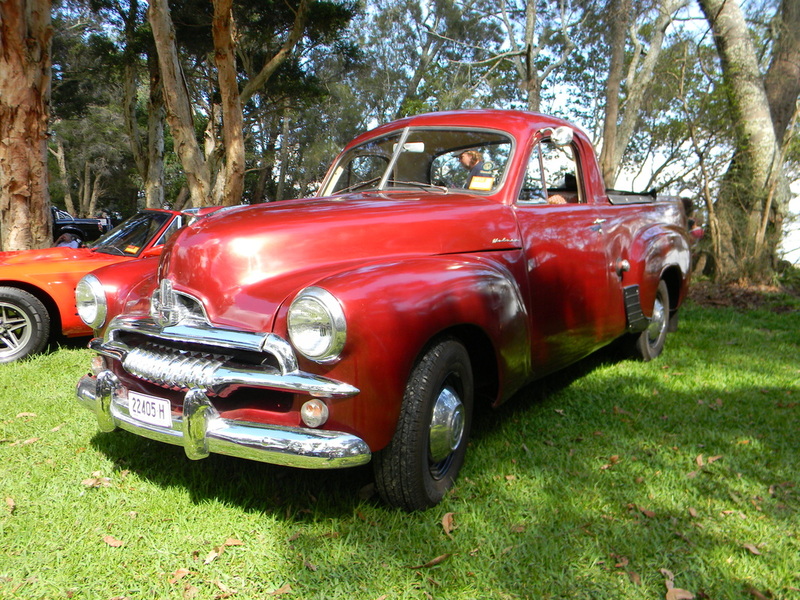 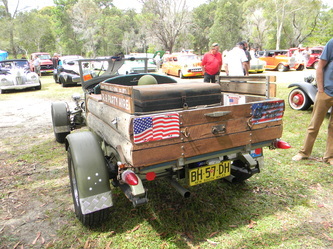 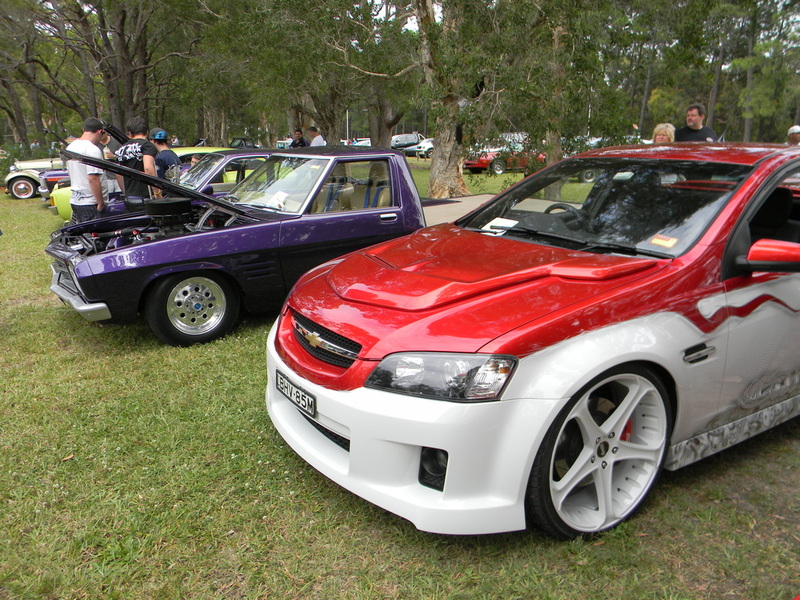 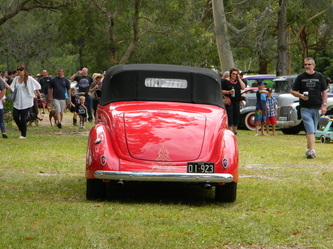 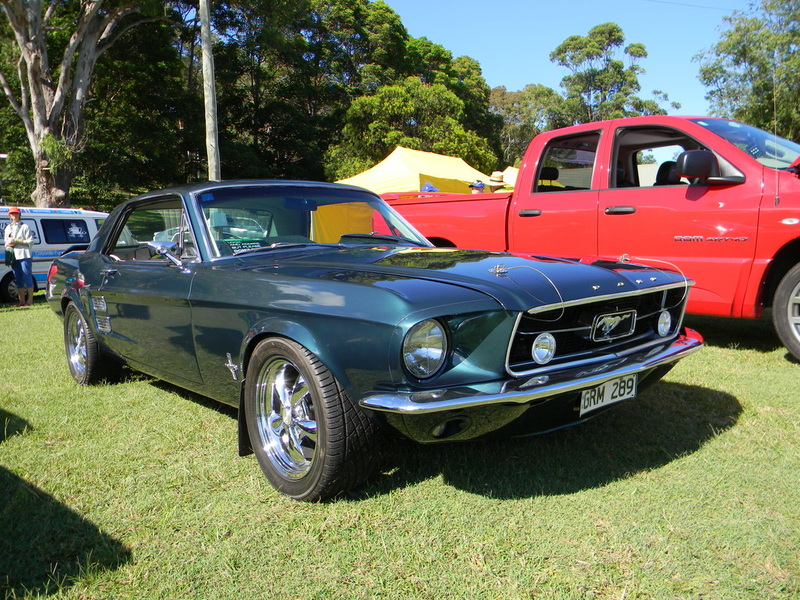 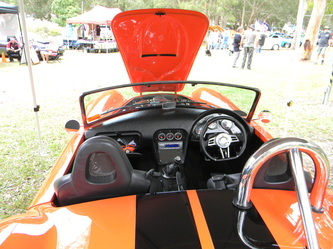 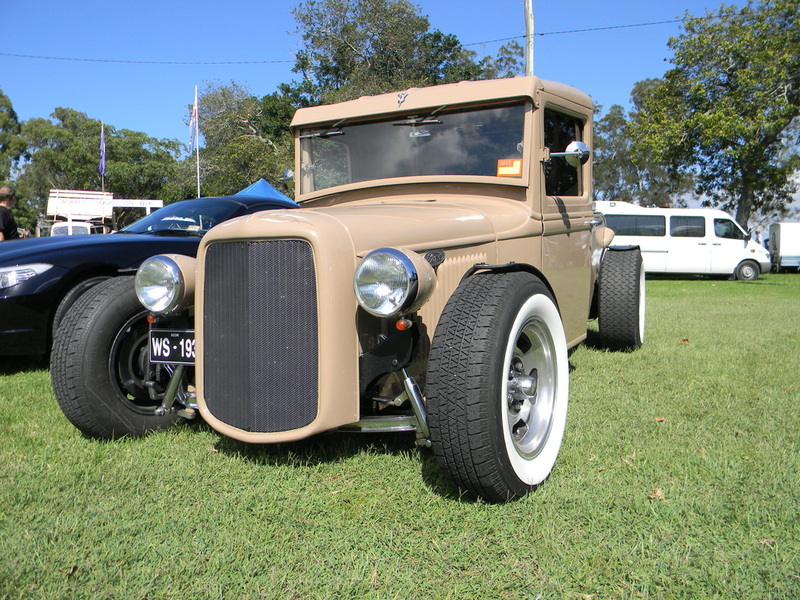 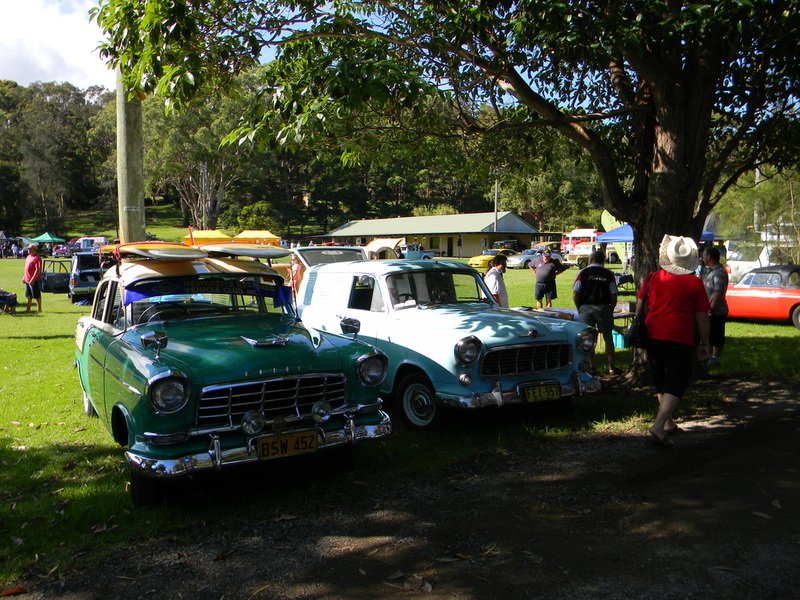 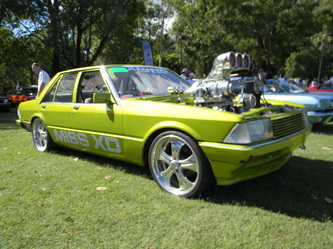 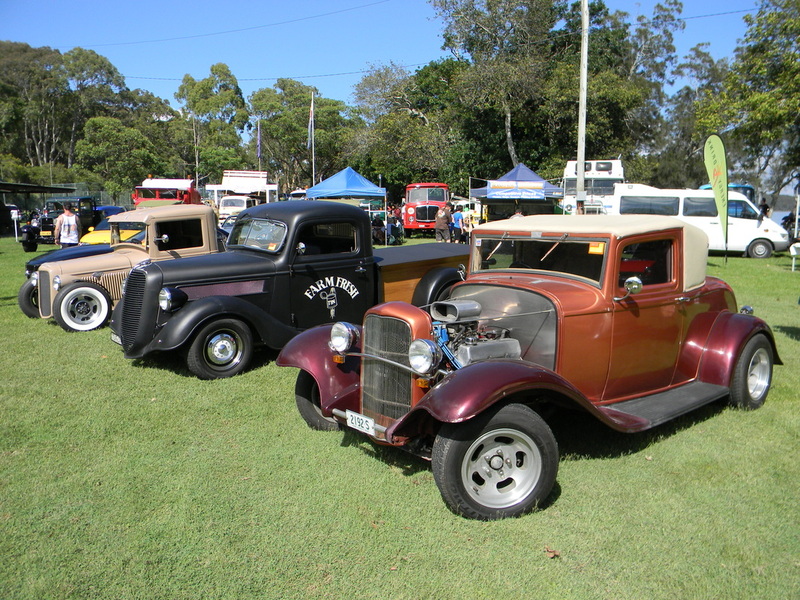 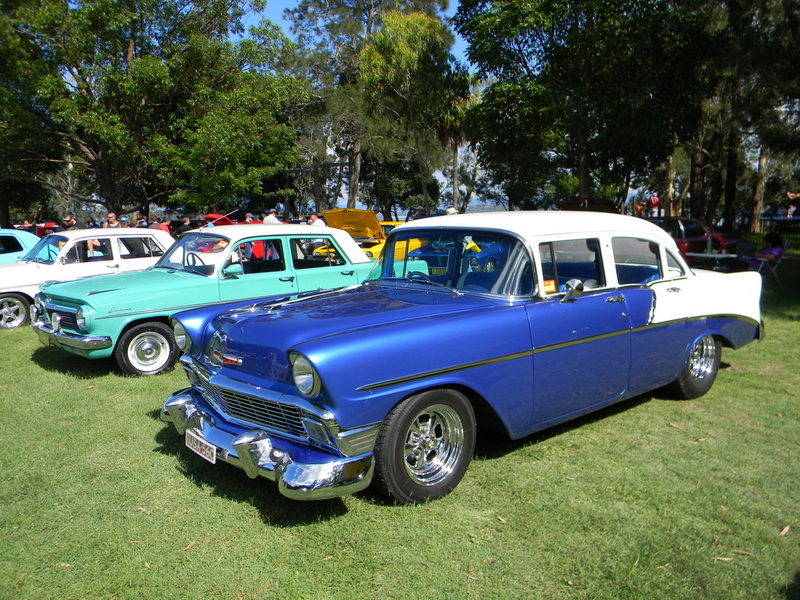 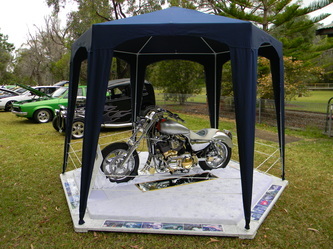 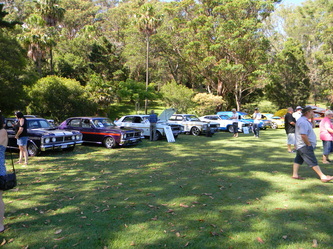 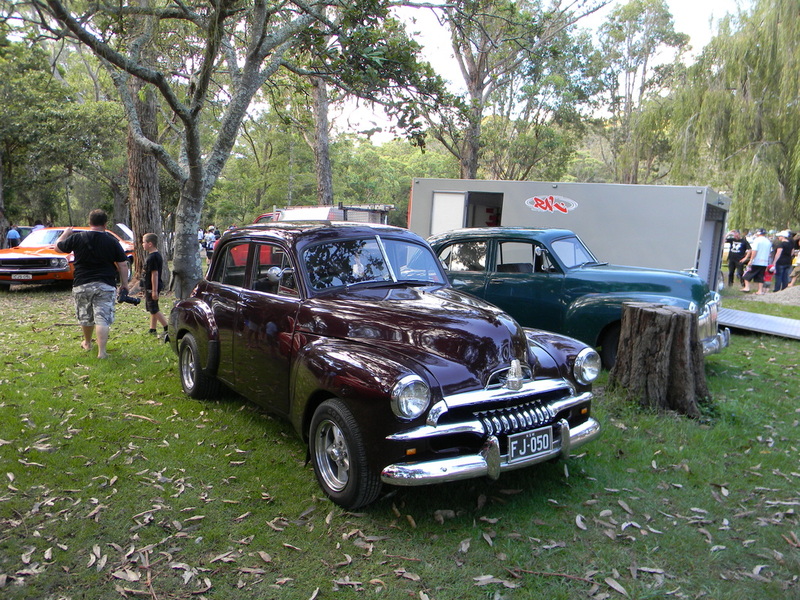 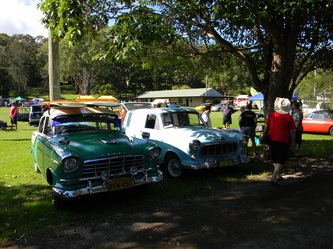 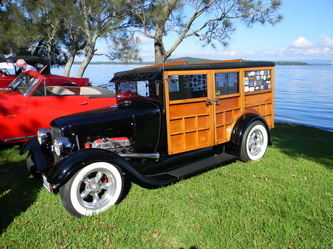 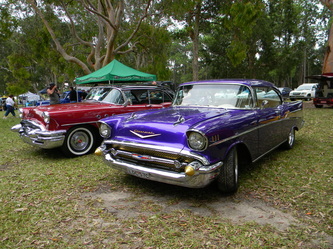 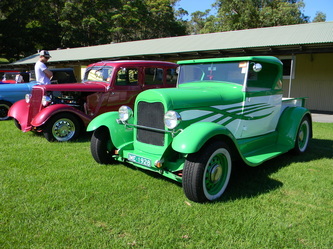 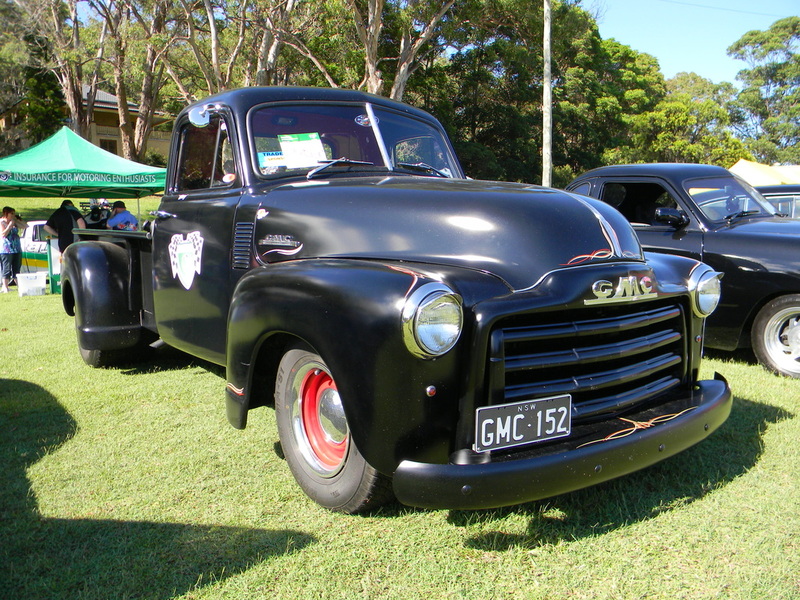 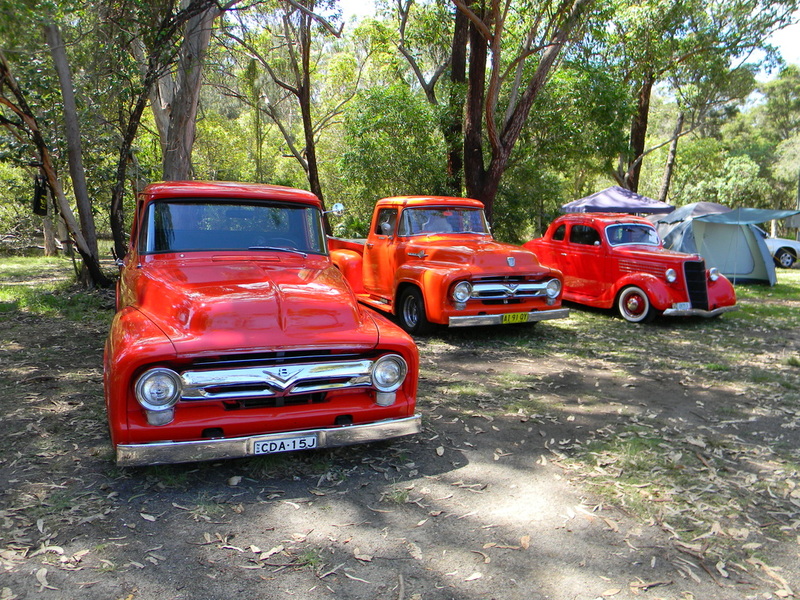 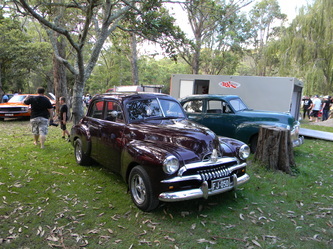 The variety of vehicles that attend this show gives everyone a good opportunity to see their favourite makes. 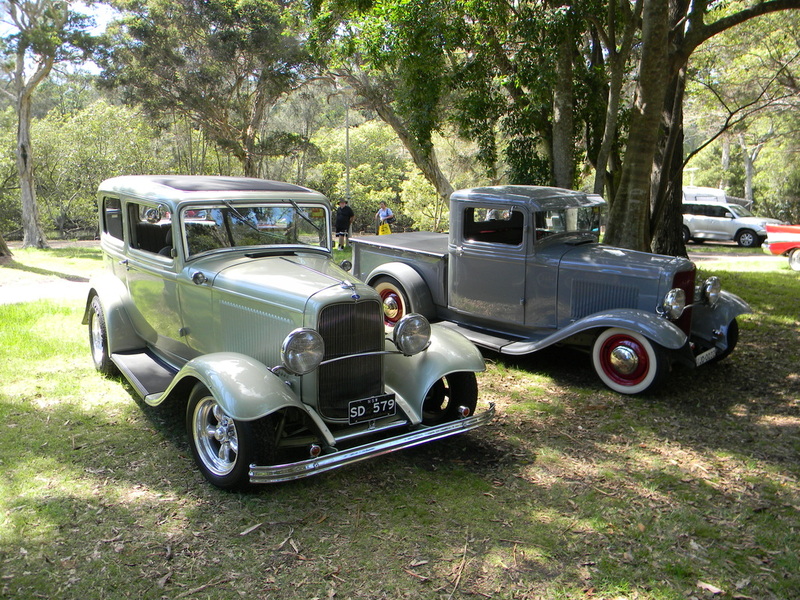 Bargoed house at Swansea is certainly a terrific place to hold a car show and you always get a breeze there to keep the temperature at a comfortable level. 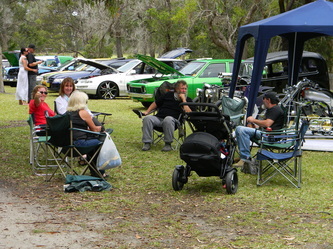 We had 10 of our club rods turn up on the day and everyone who attended had a good time catching up with friends.